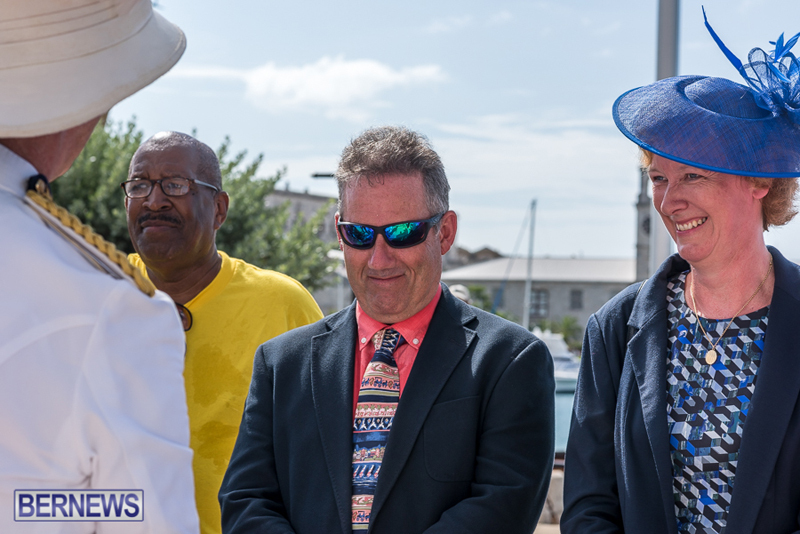 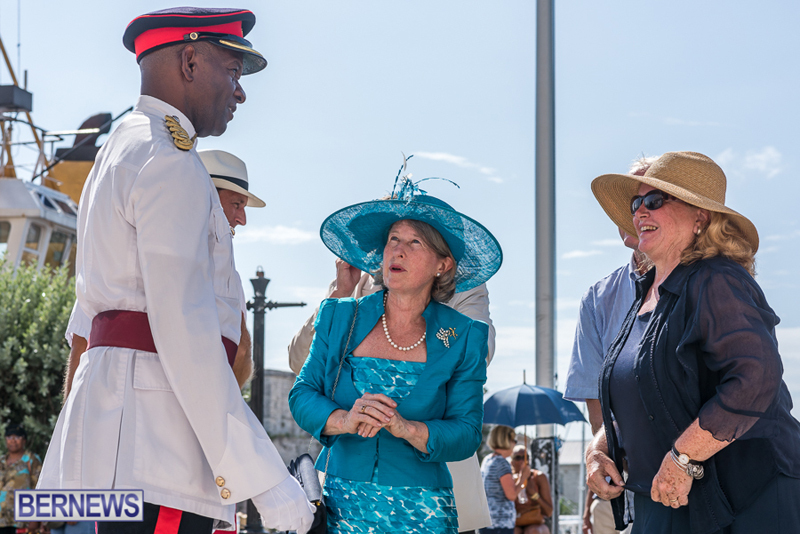 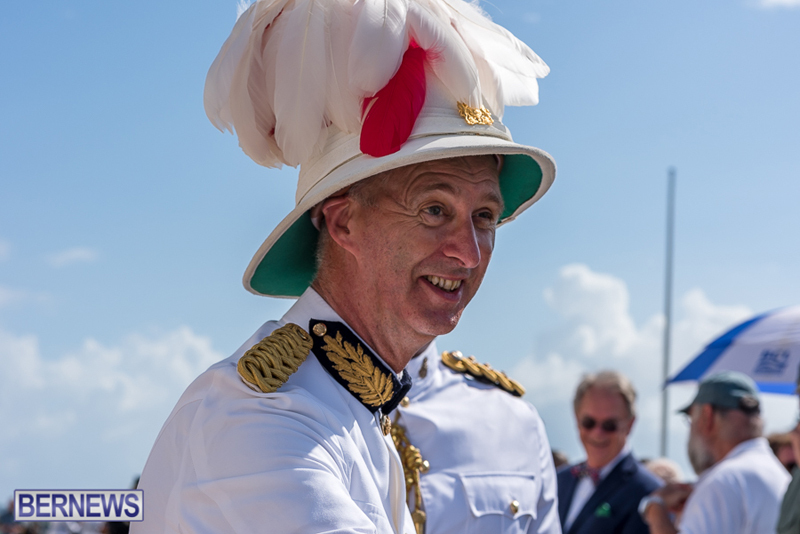 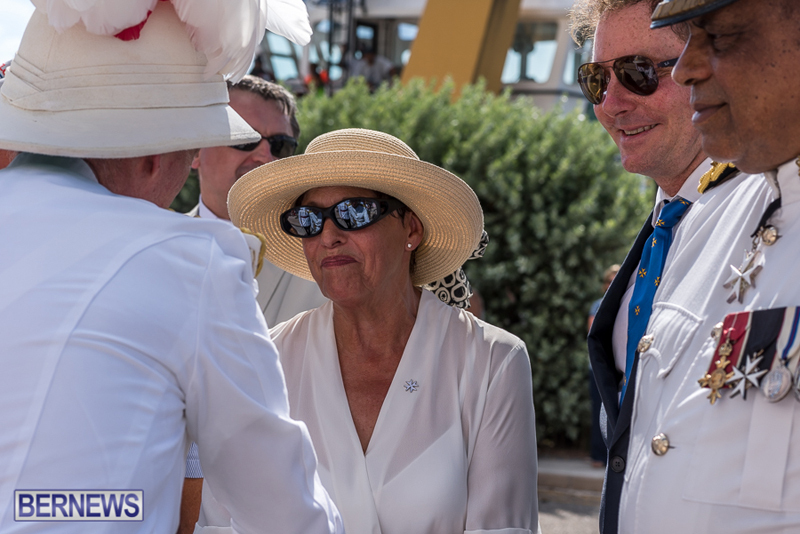 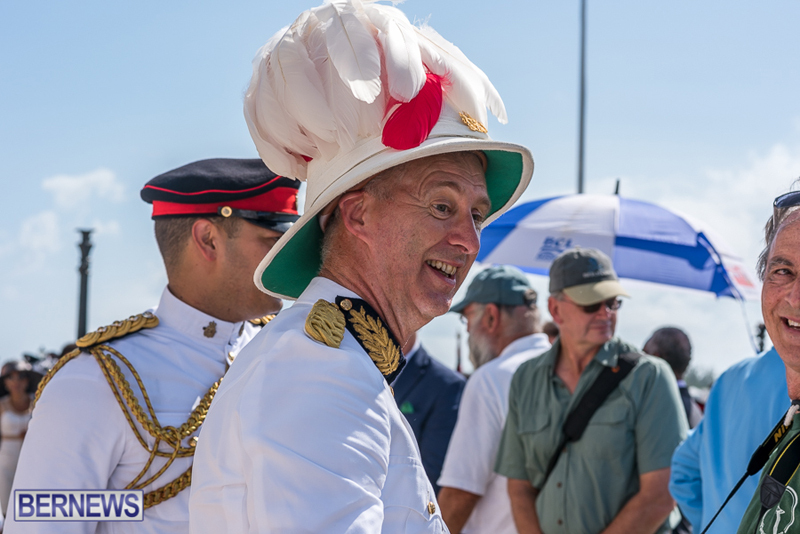 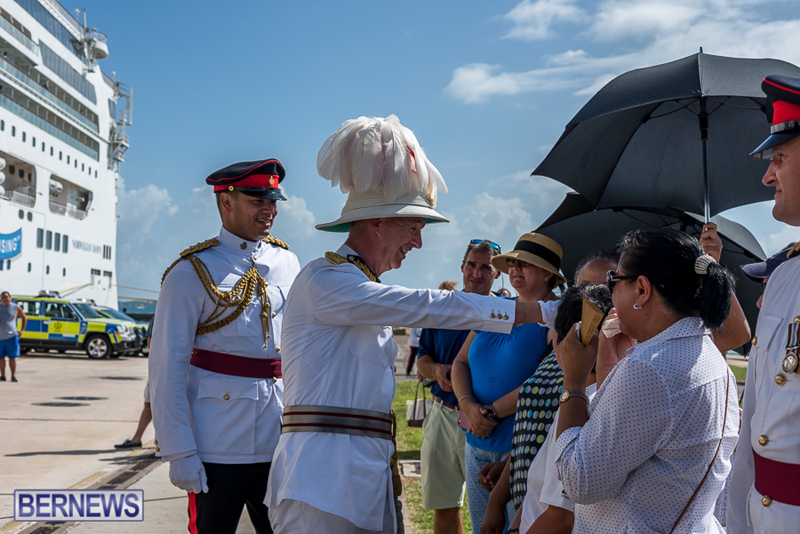 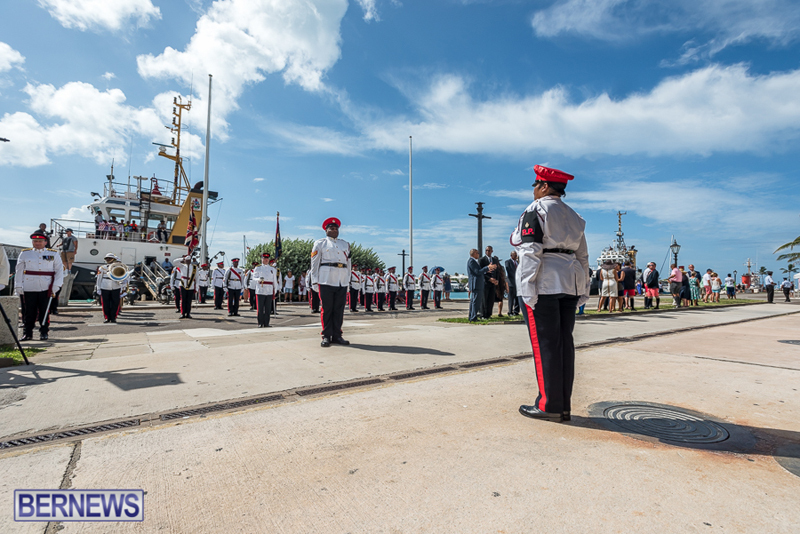 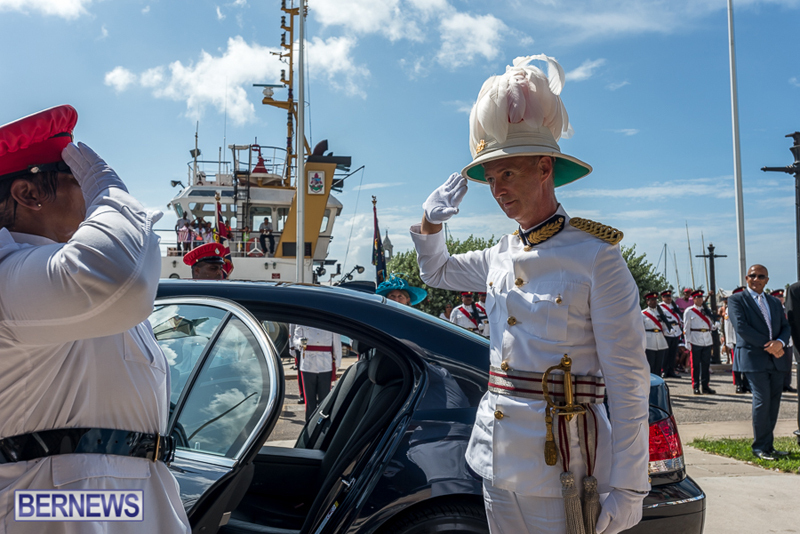 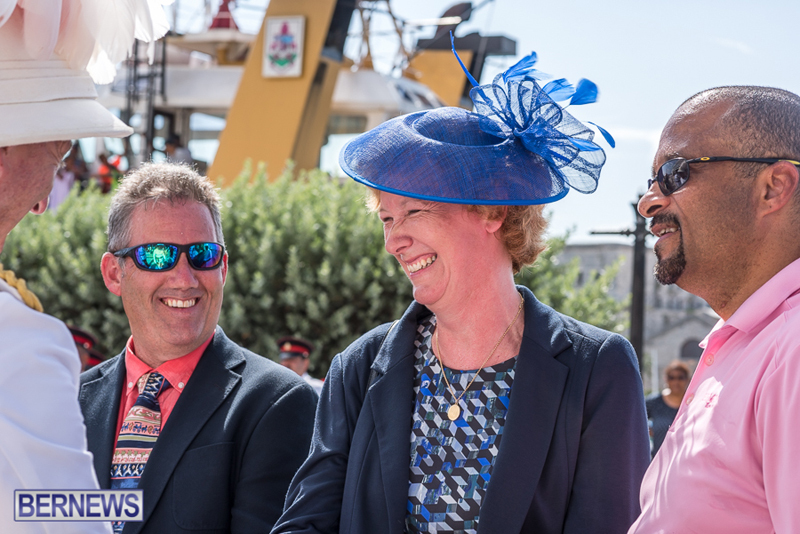 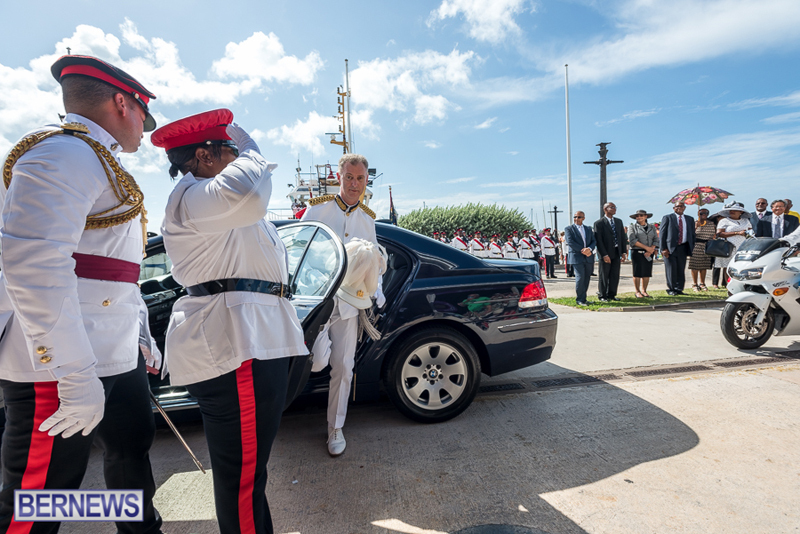 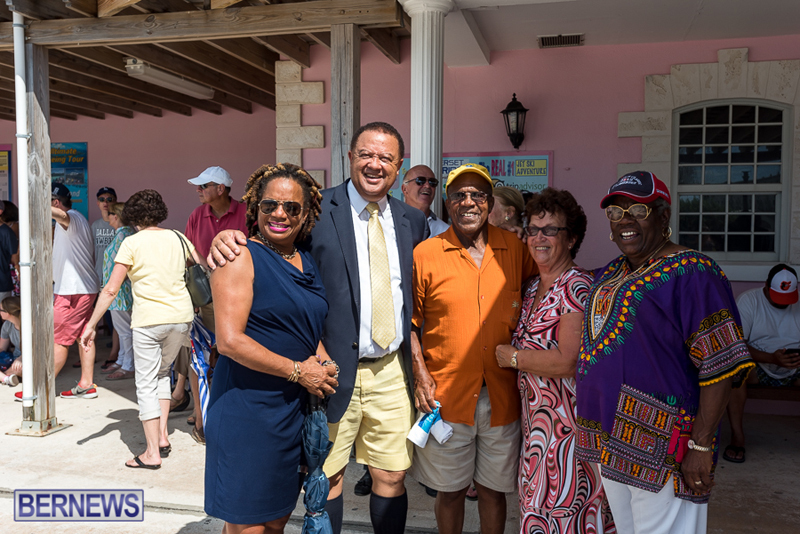 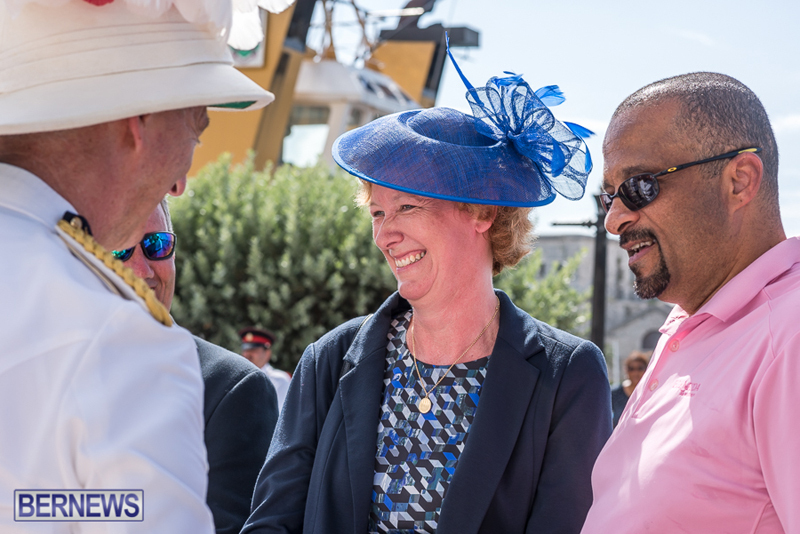 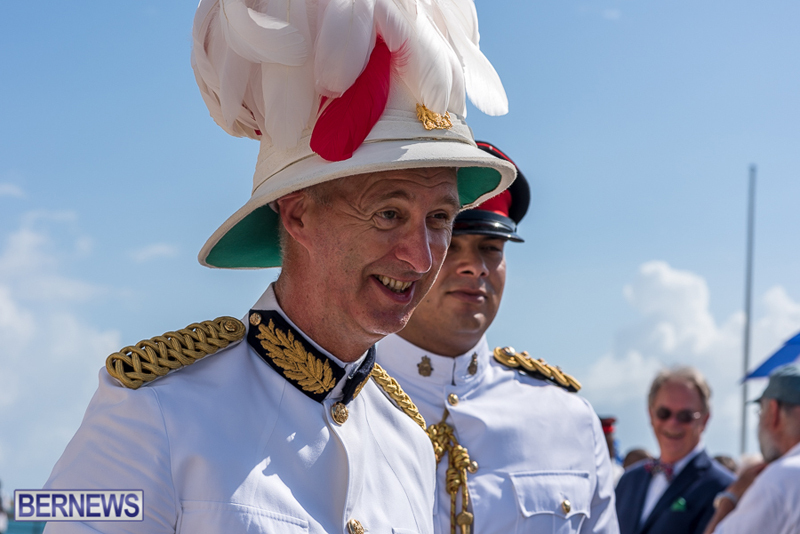 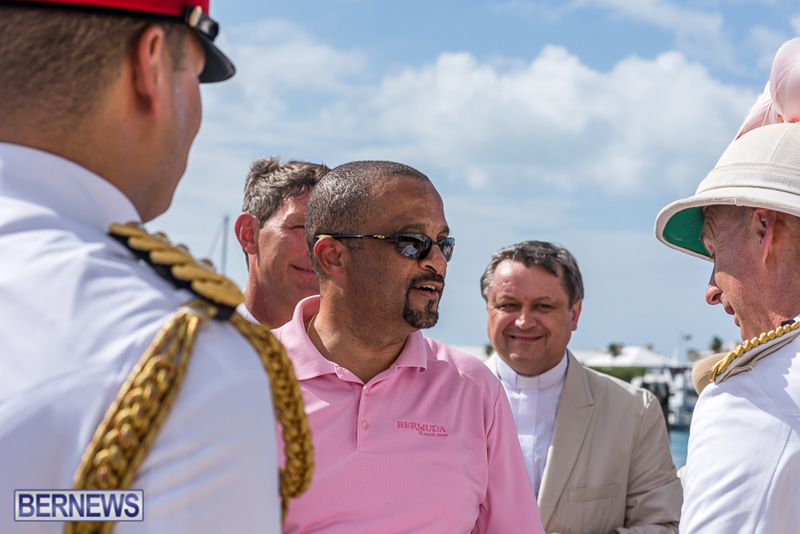 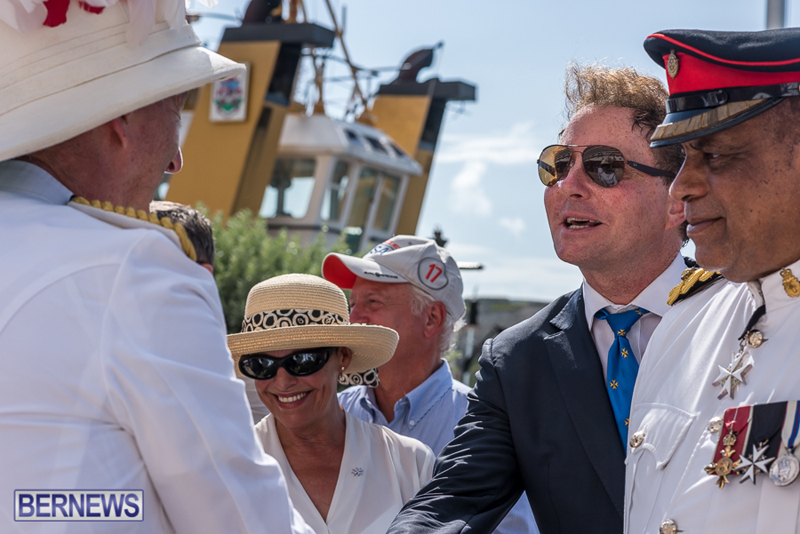 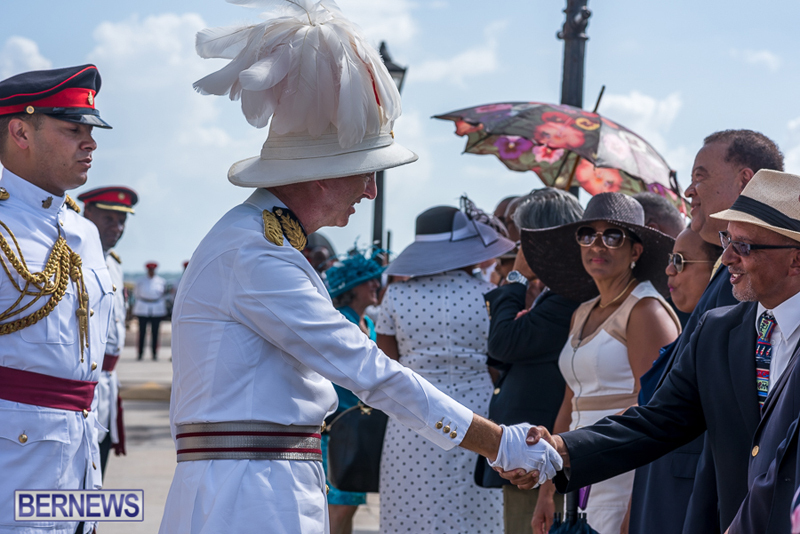 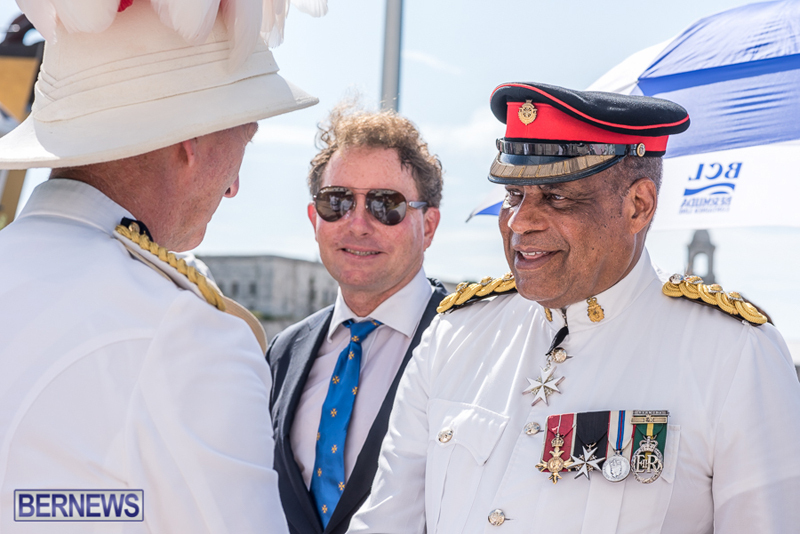 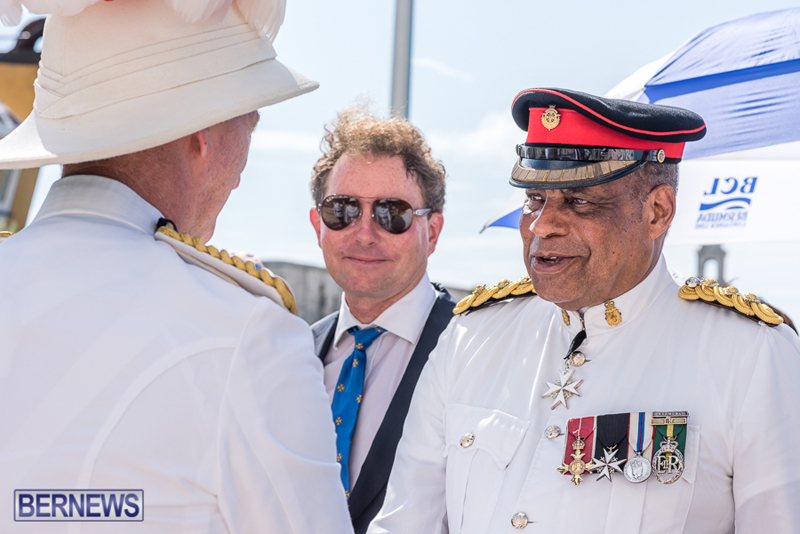 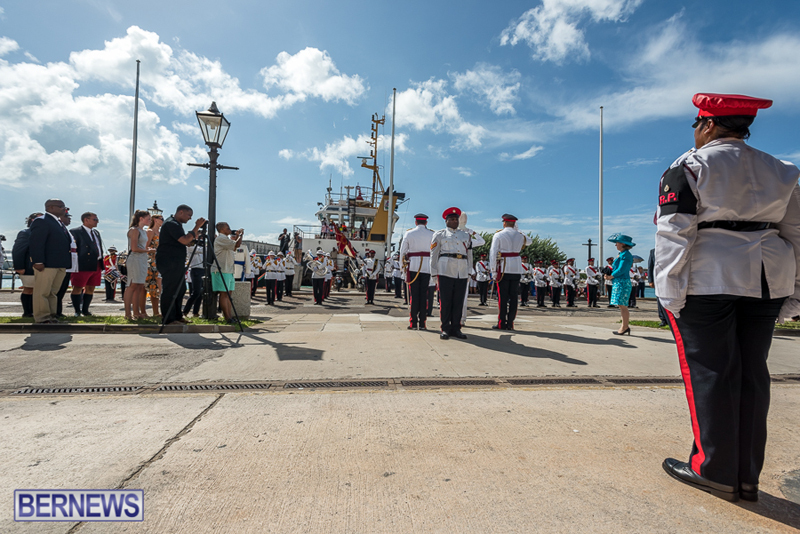 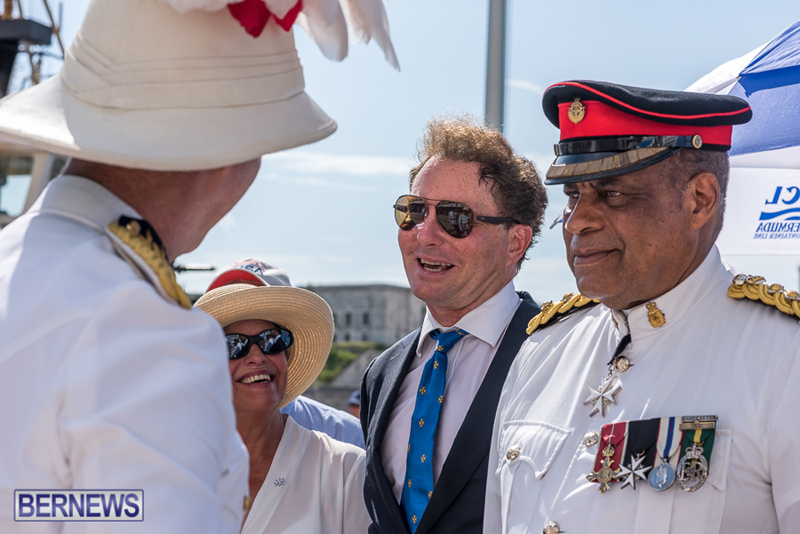 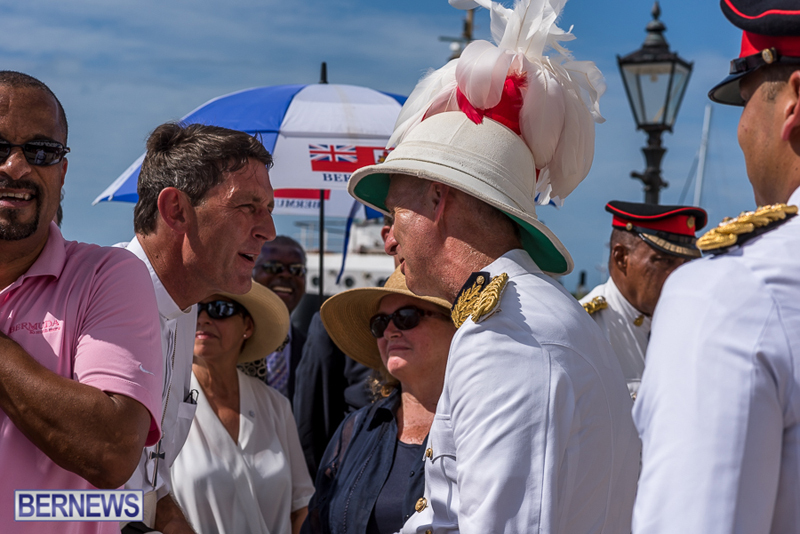 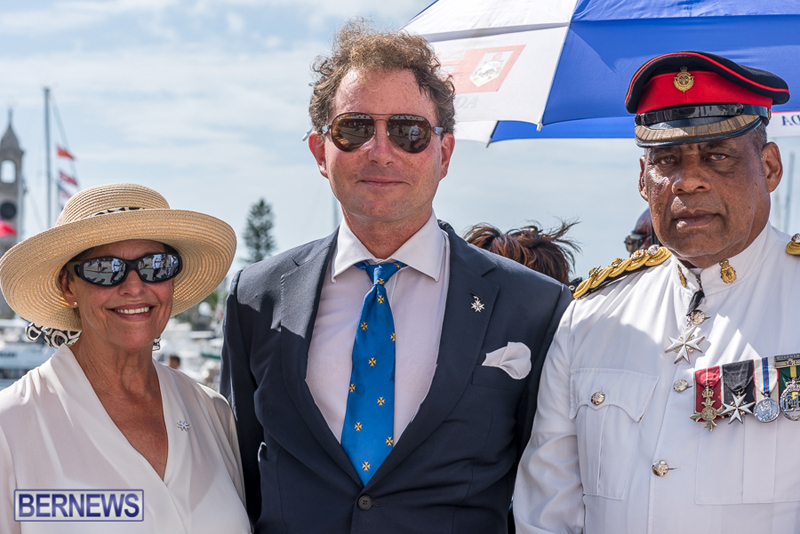 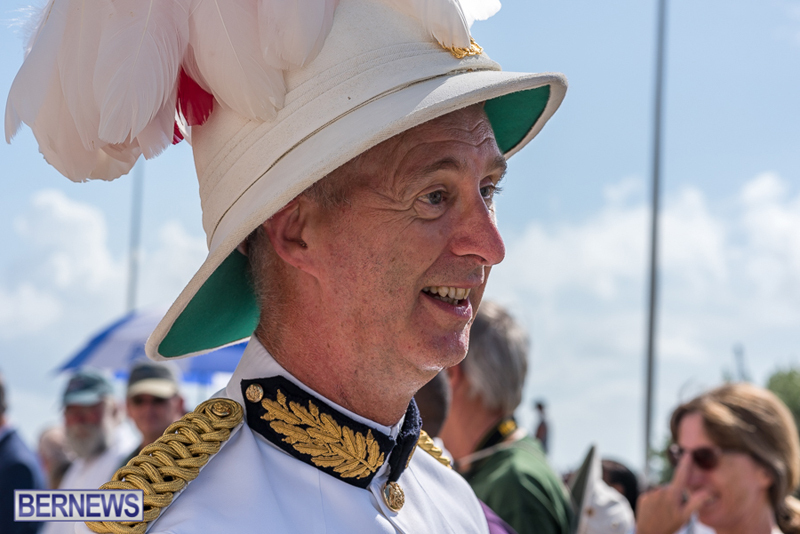 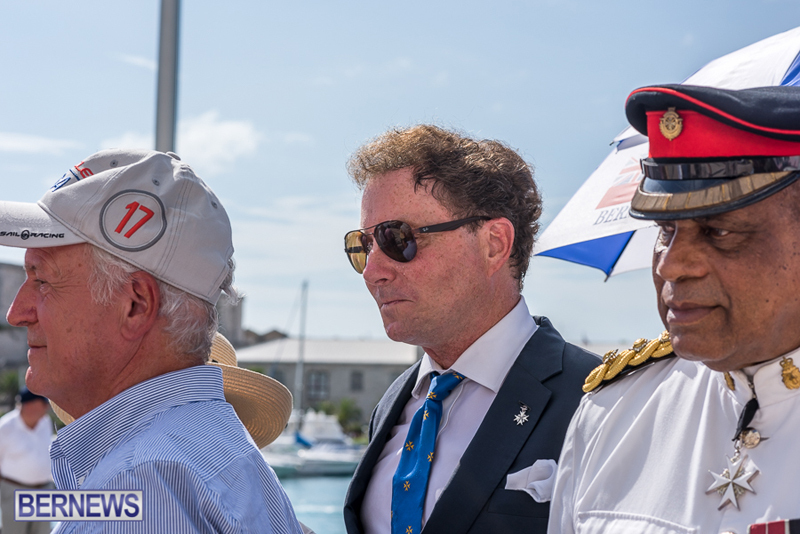 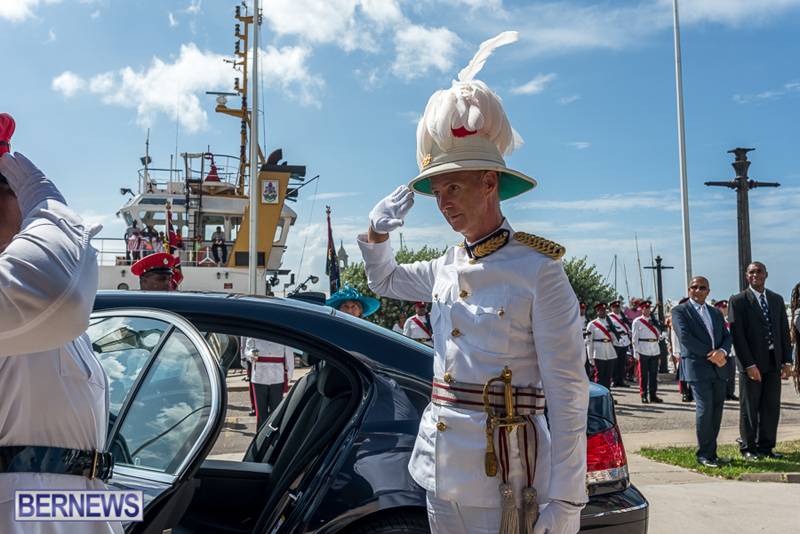 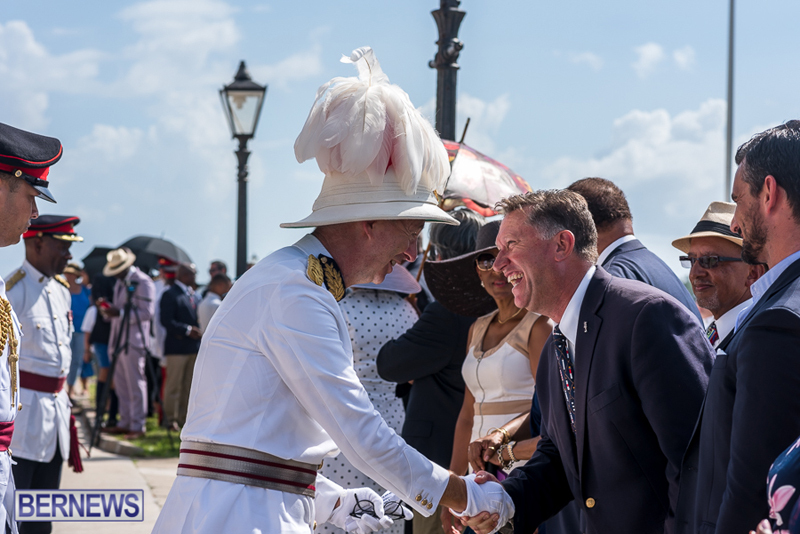 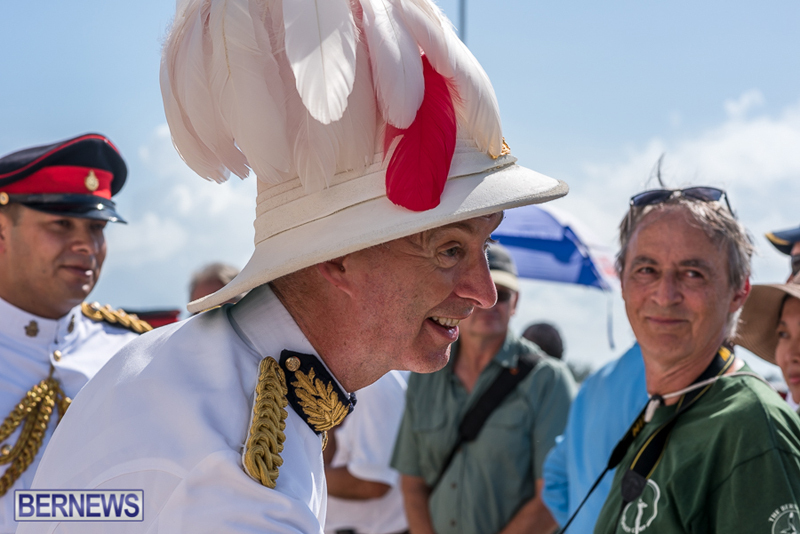 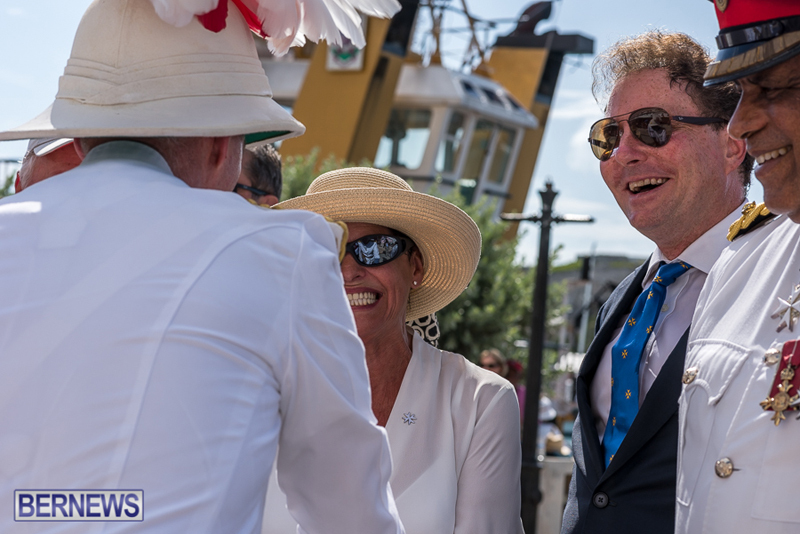 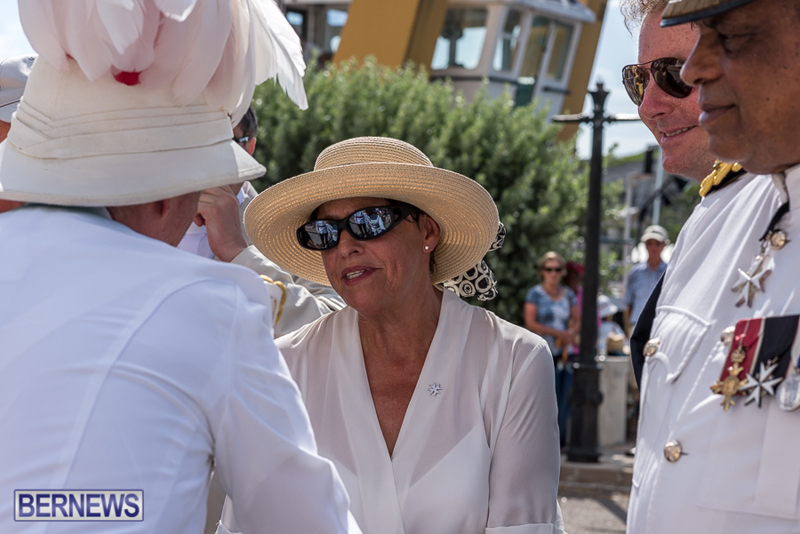 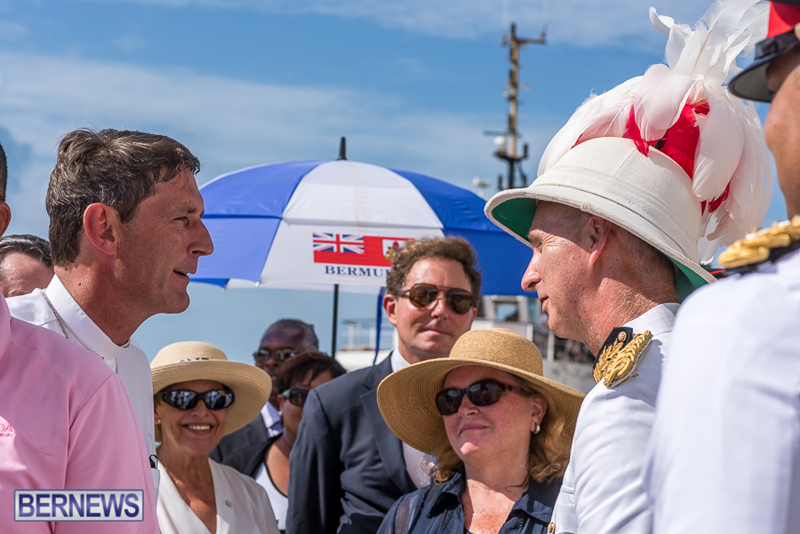 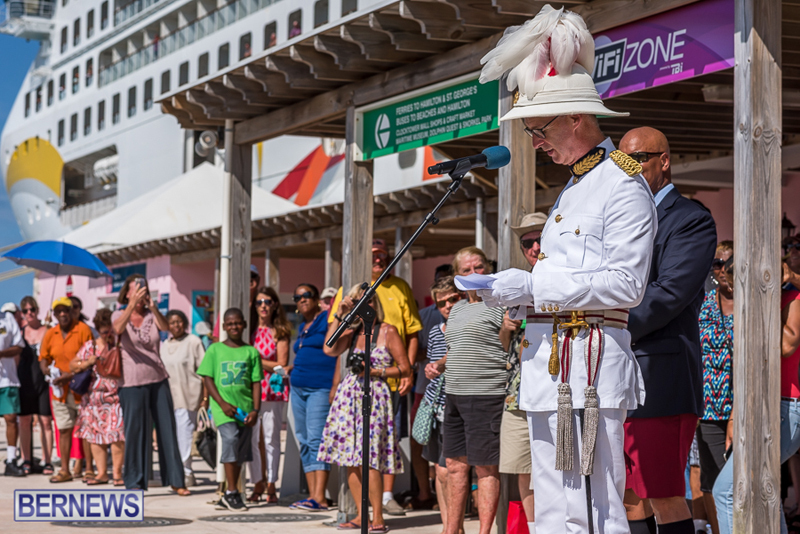 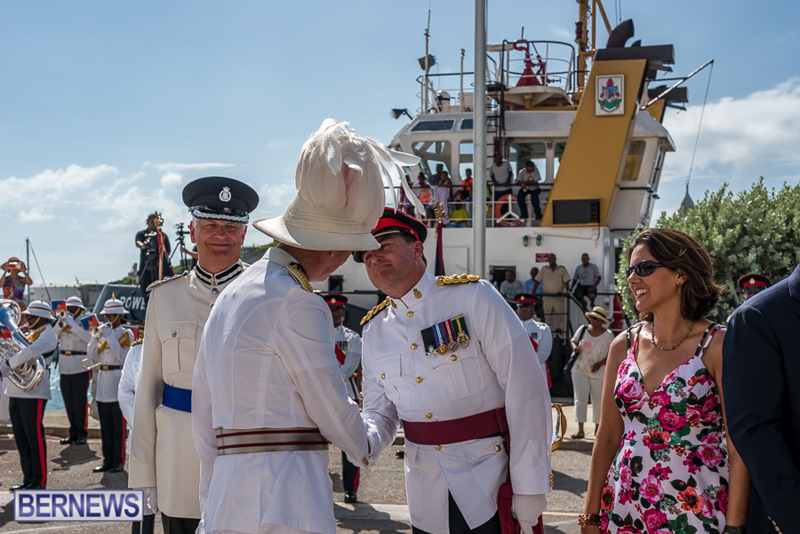 Governor George Fergusson said goodbye to the island during a farewell ceremony held yesterday afternoon [August 2] in Dockyard, noting that he will treasure the memories of his time in Bermuda even as he steps down from the position. 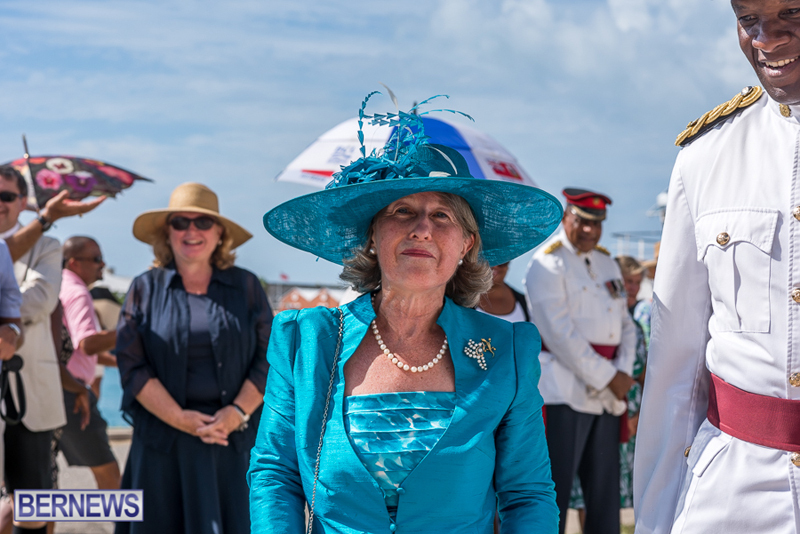 Deputy Governor Mrs Ginny Ferson will assume office as Acting Governor until the appointment of a substantive successor in the future. 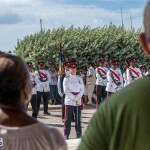 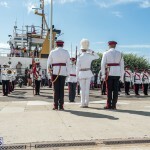 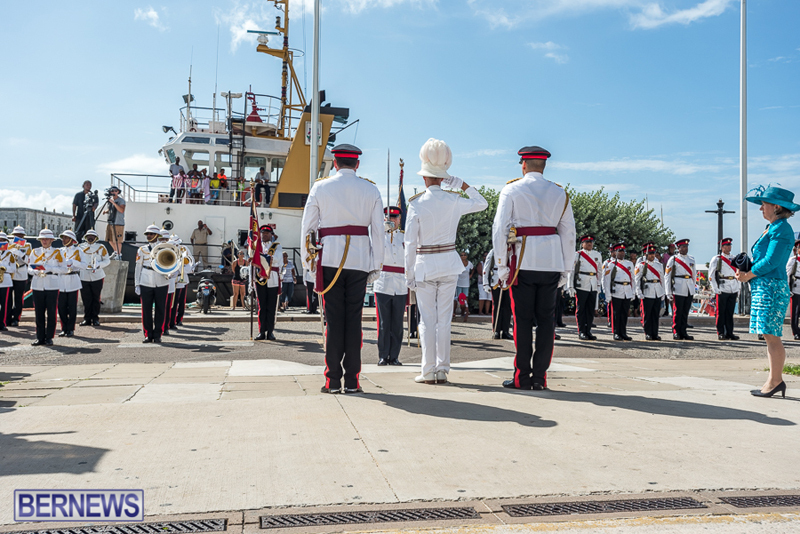 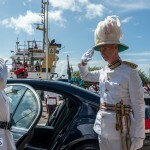 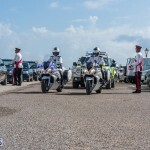 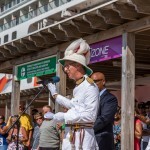 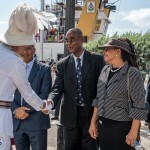 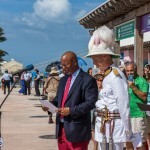 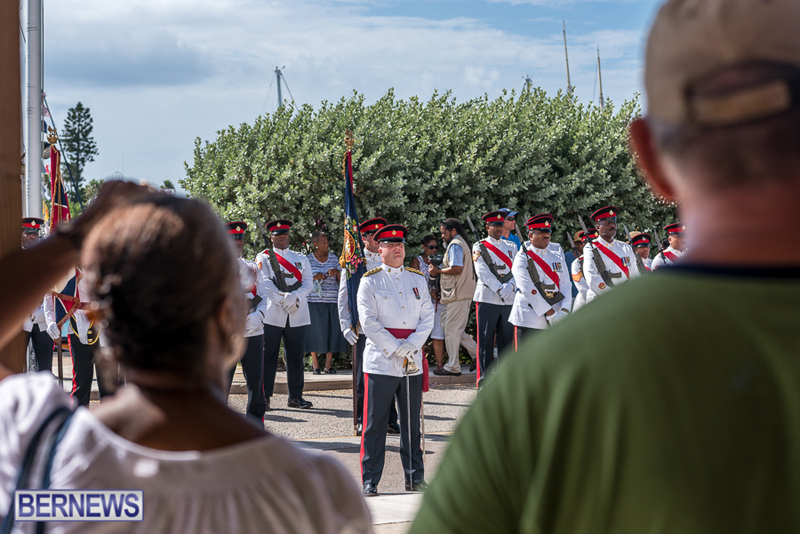 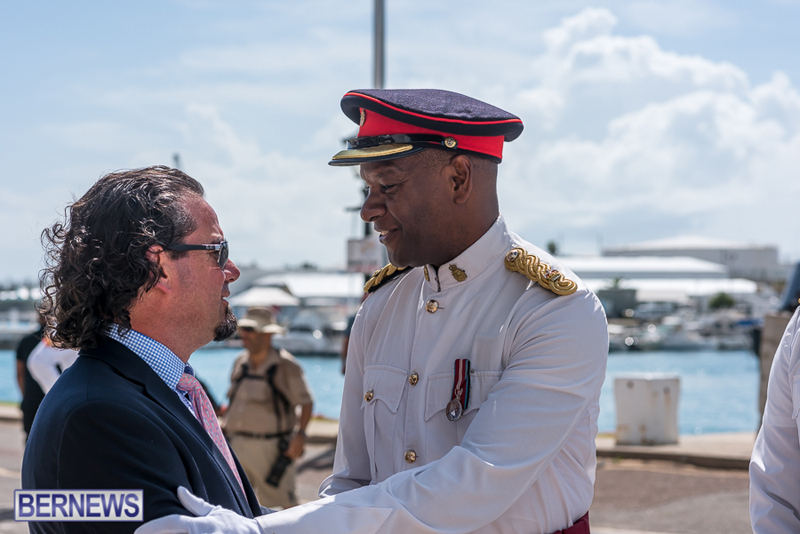 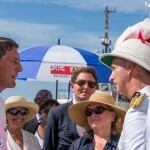 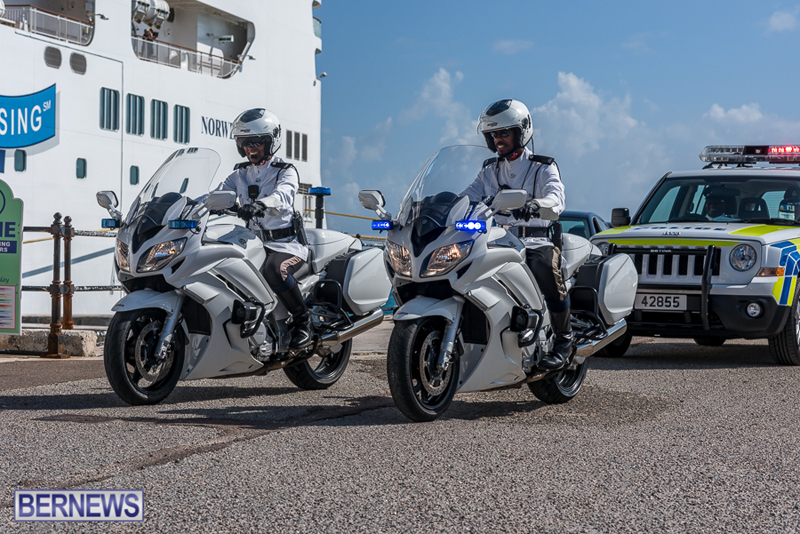 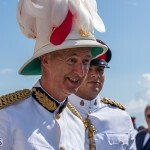 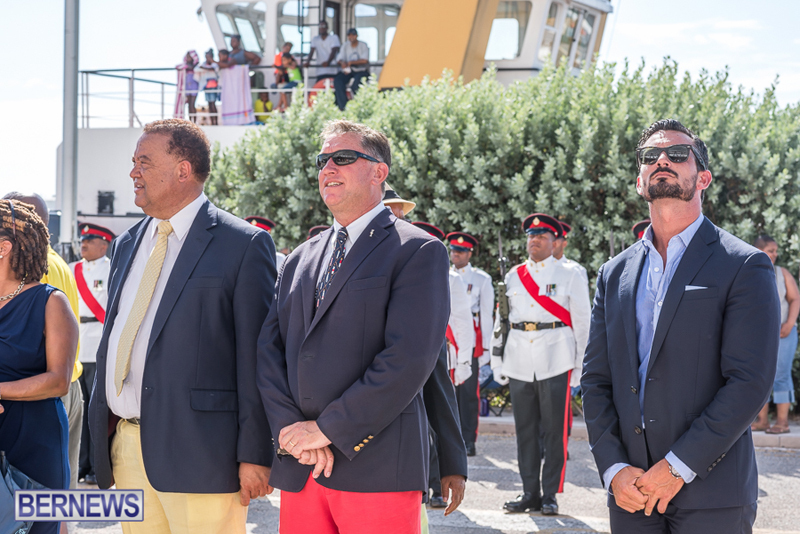 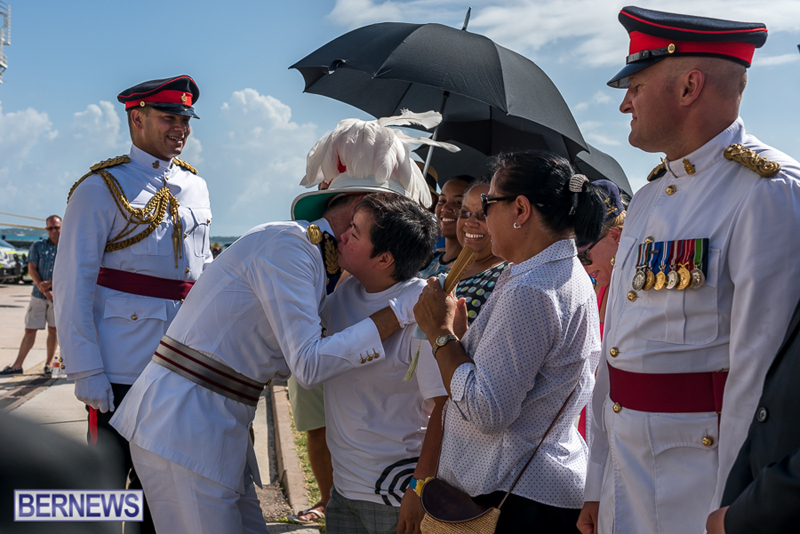 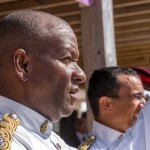 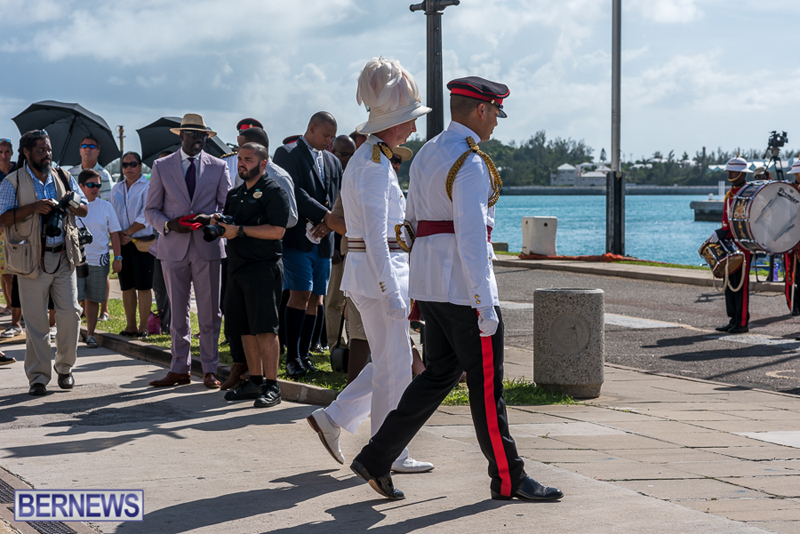 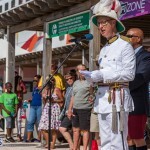 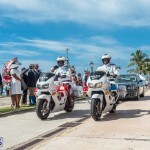 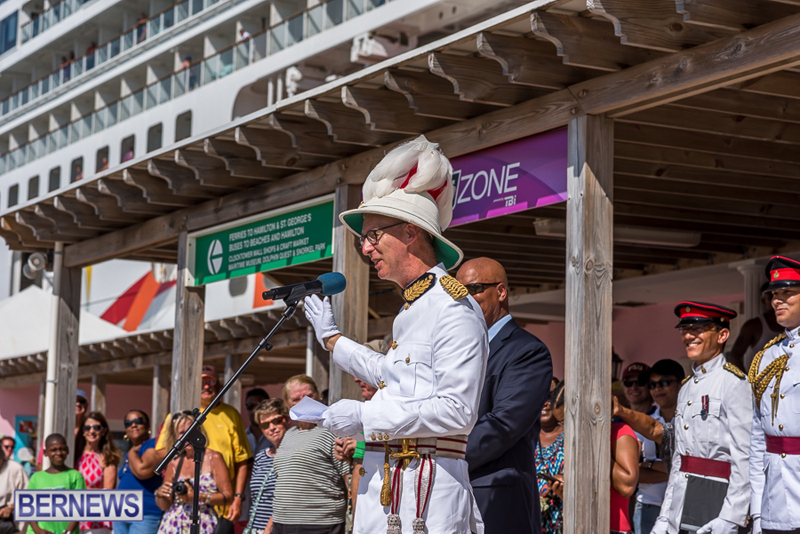 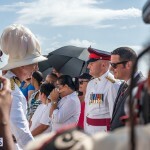 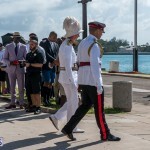 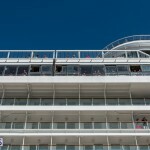 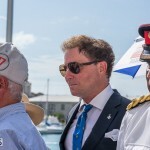 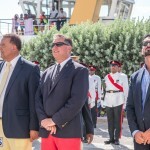 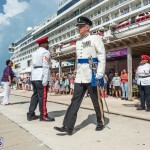 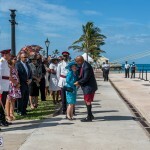 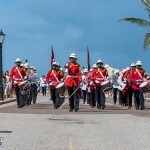 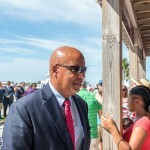 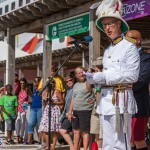 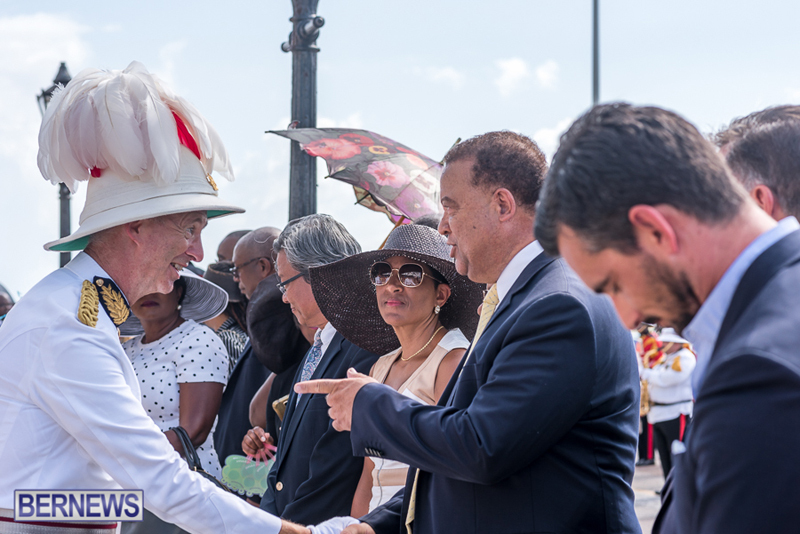 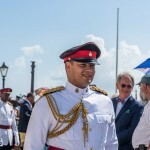 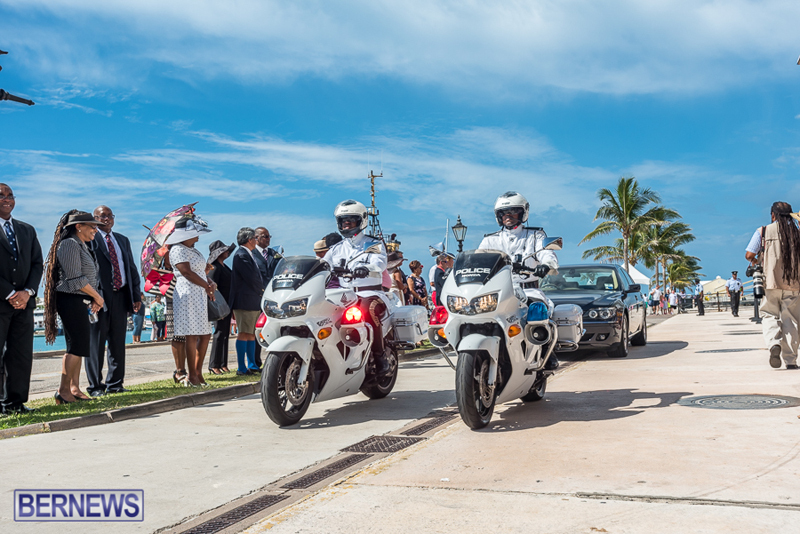 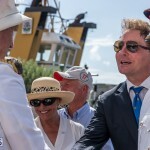 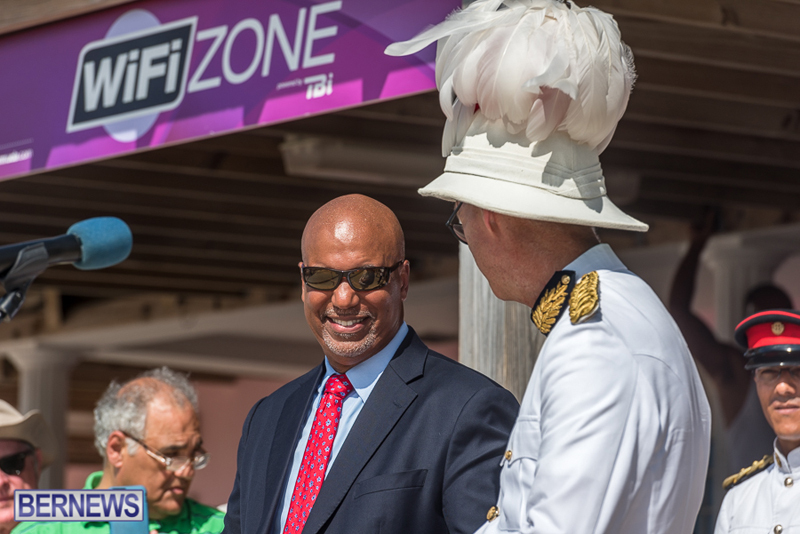 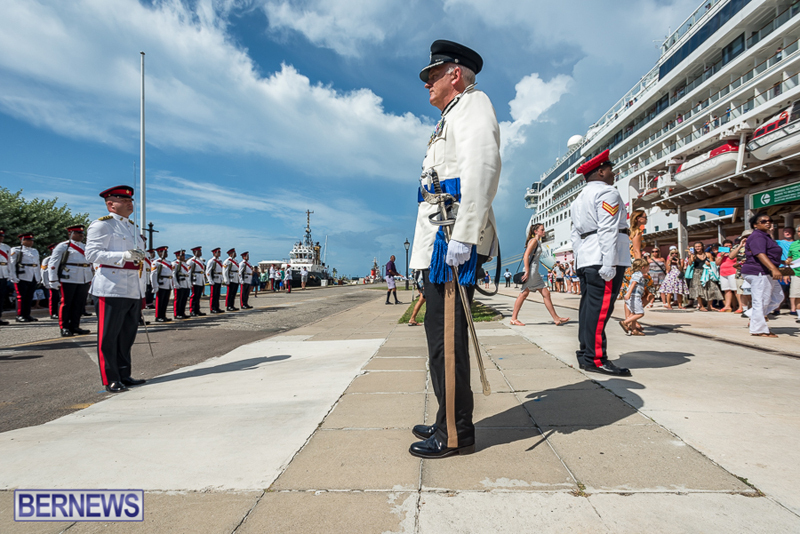 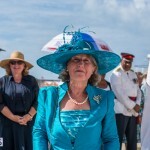 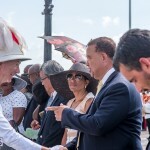 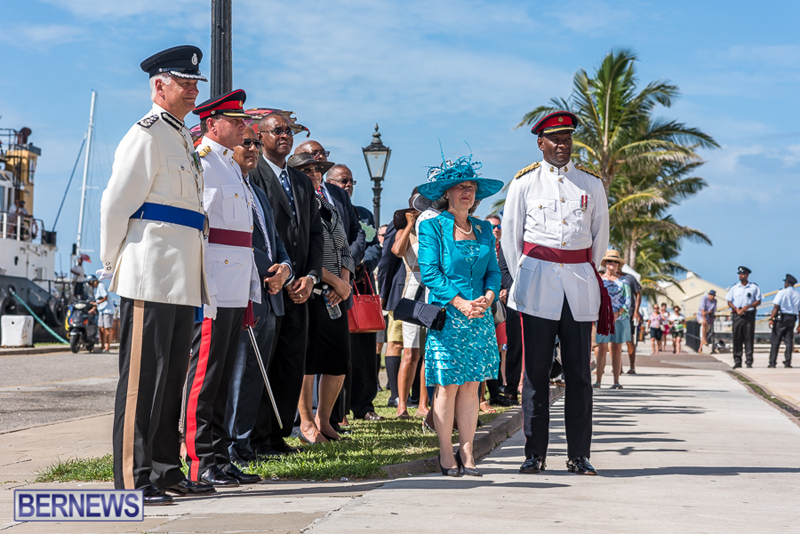 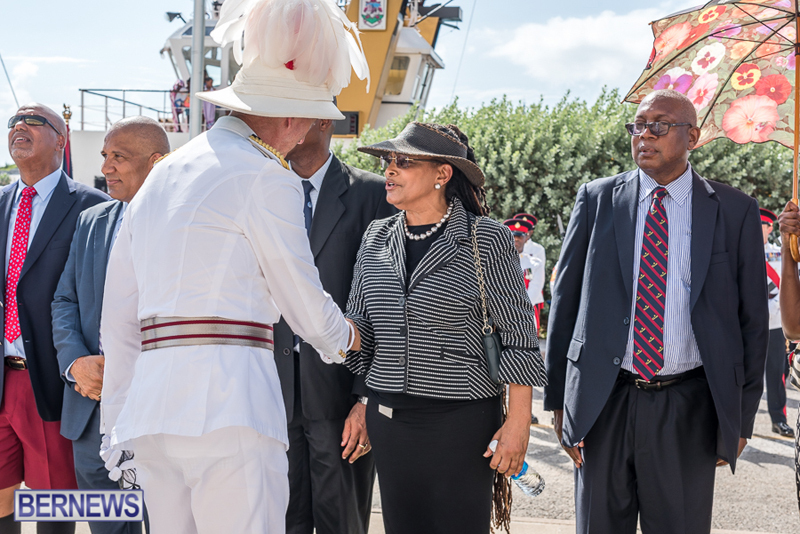 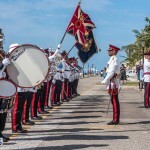 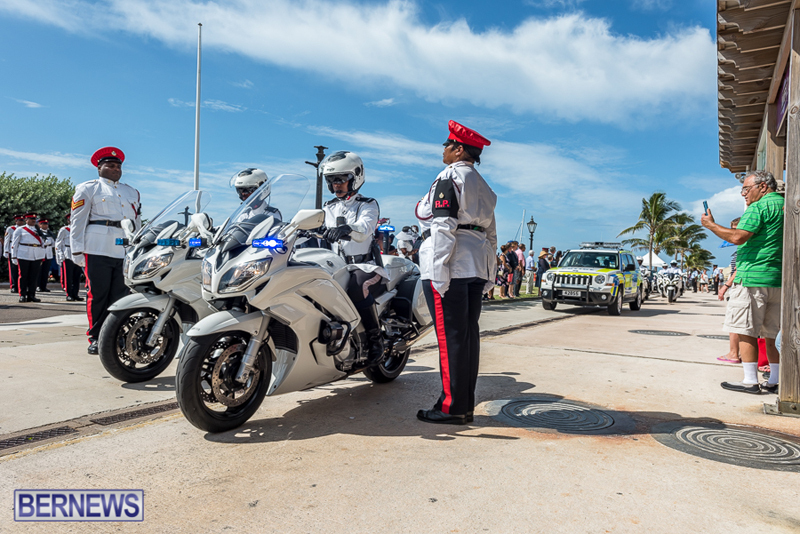 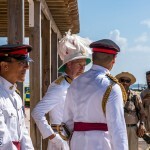 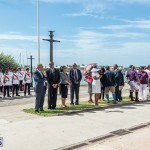 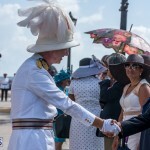 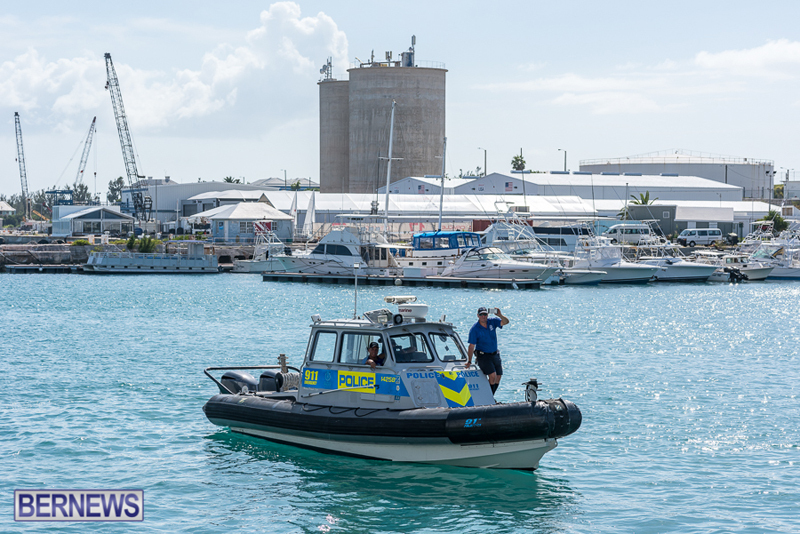 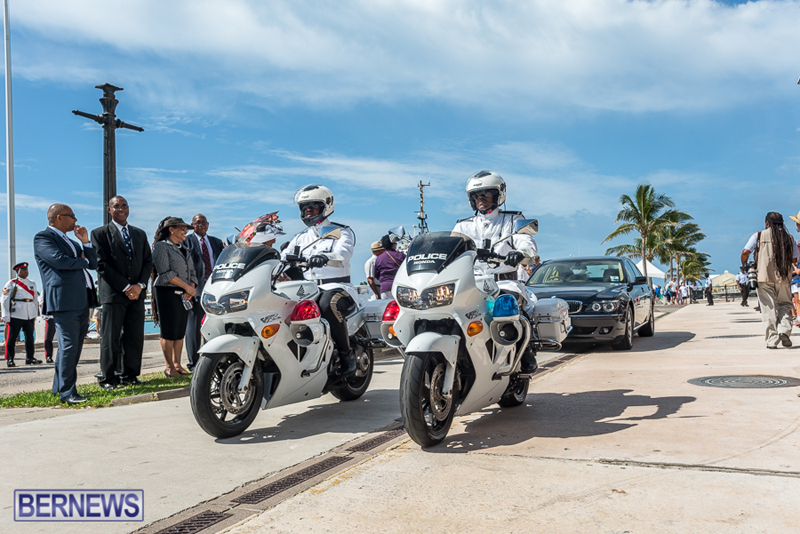 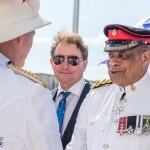 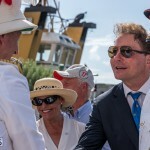 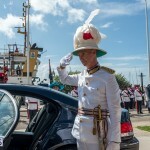 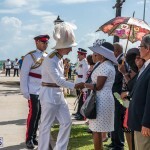 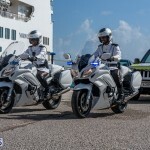 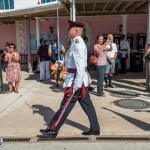 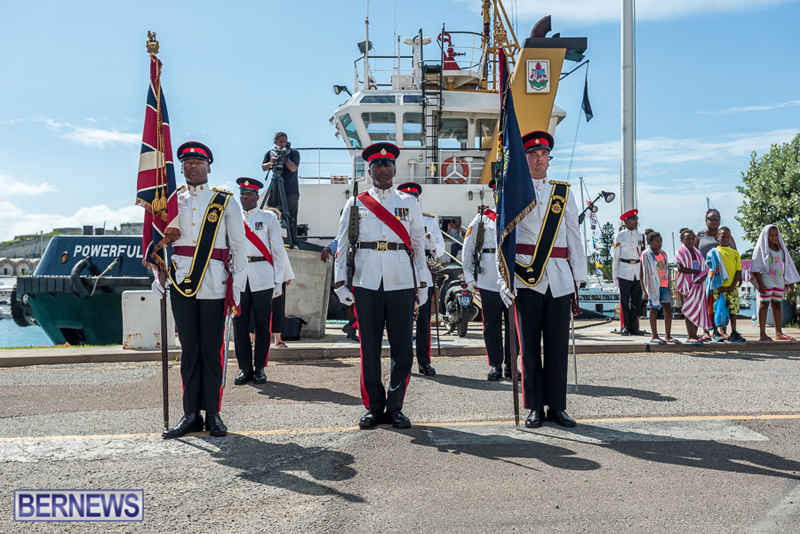 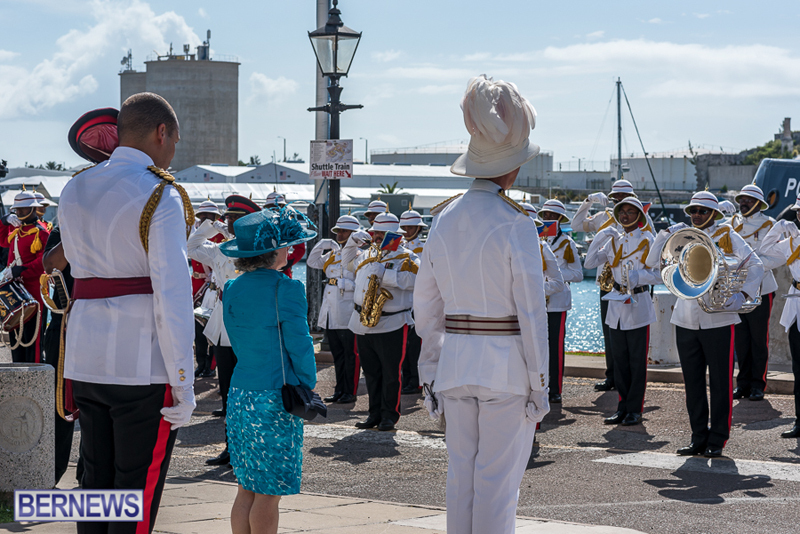 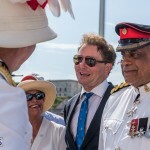 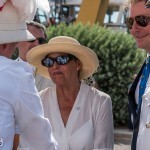 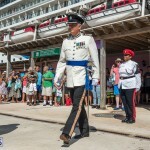 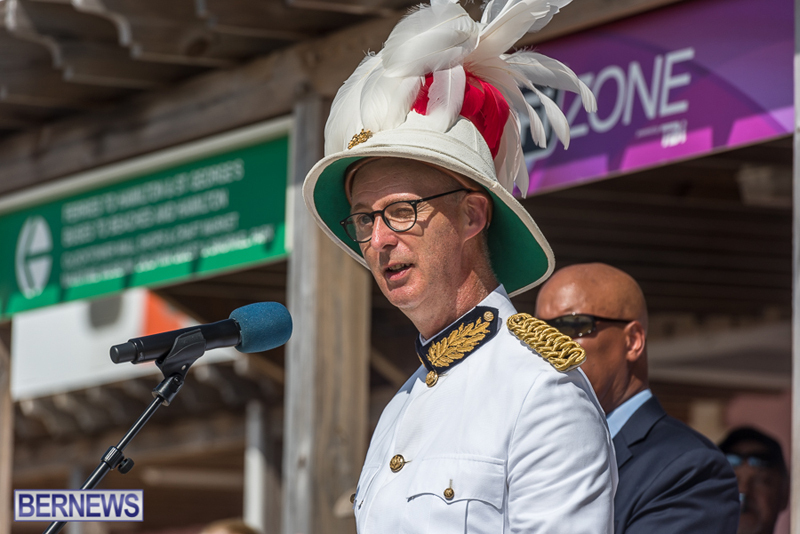 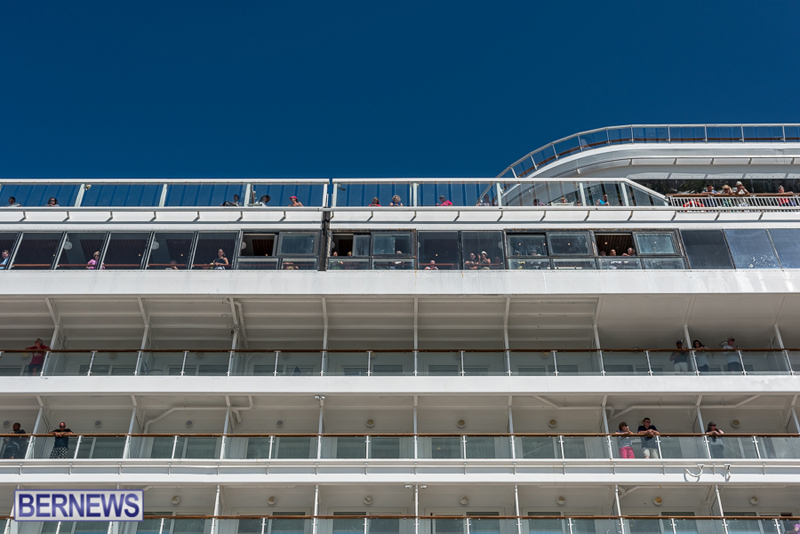 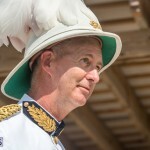 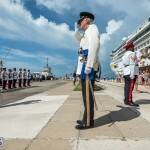 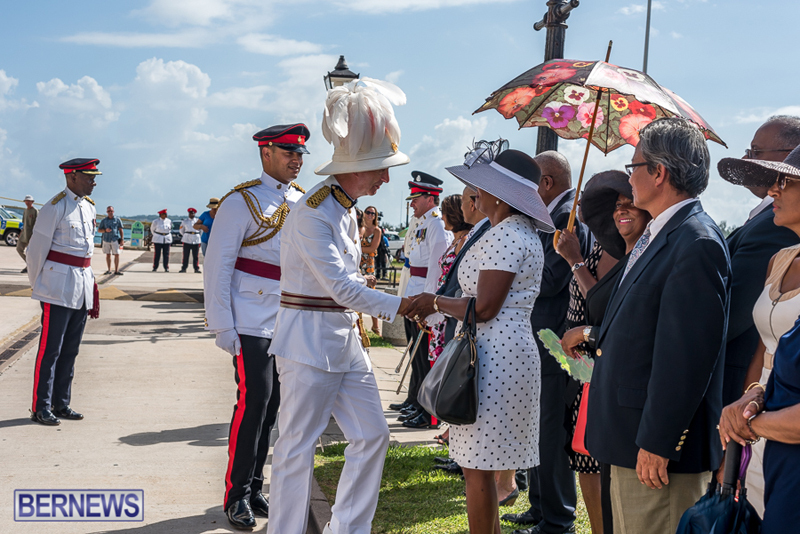 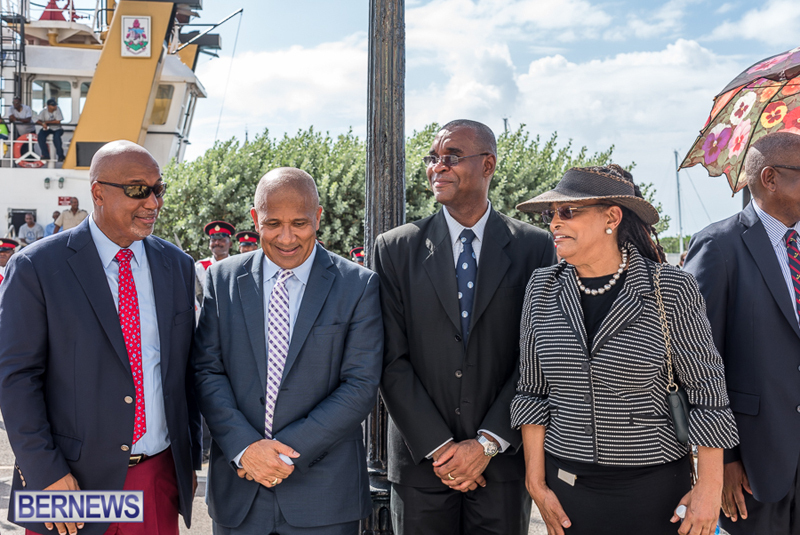 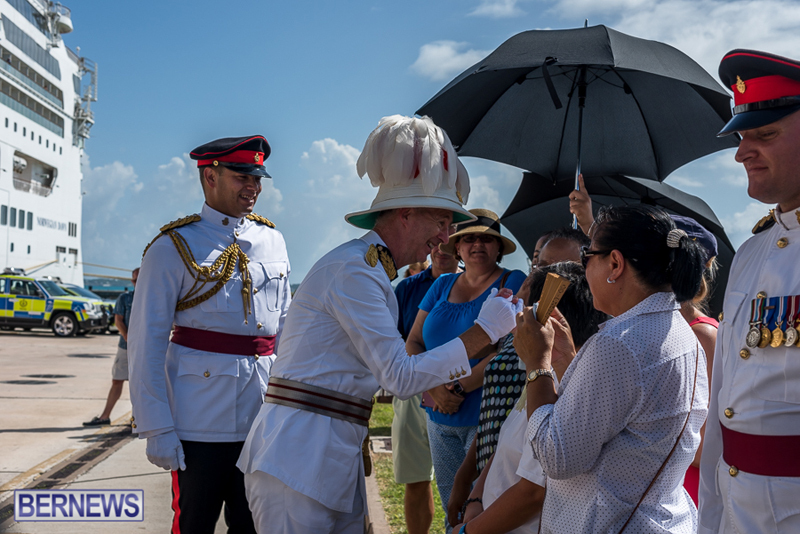 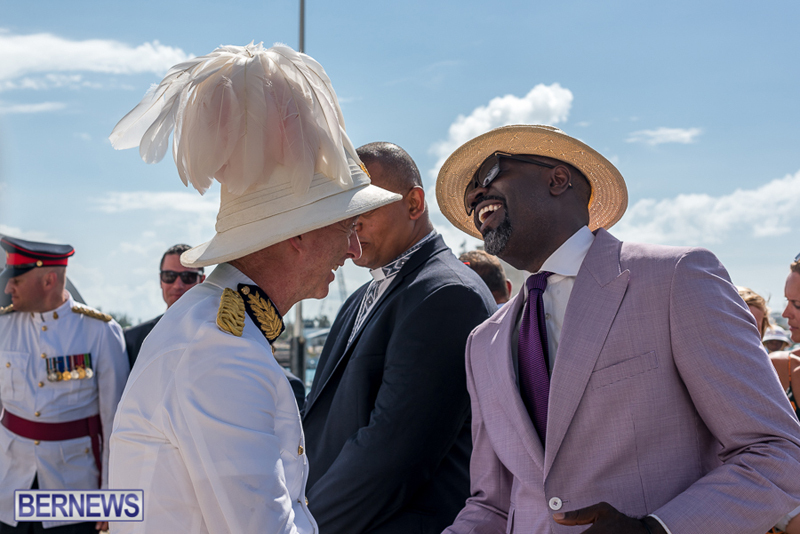 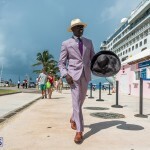 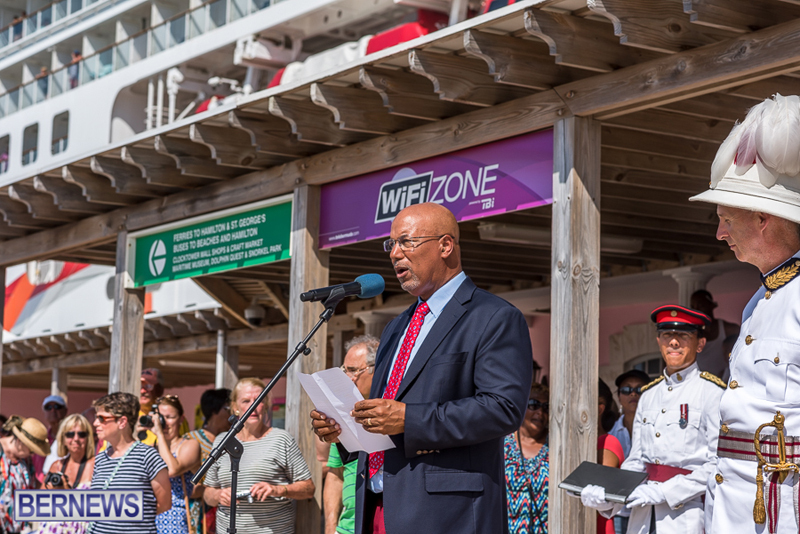 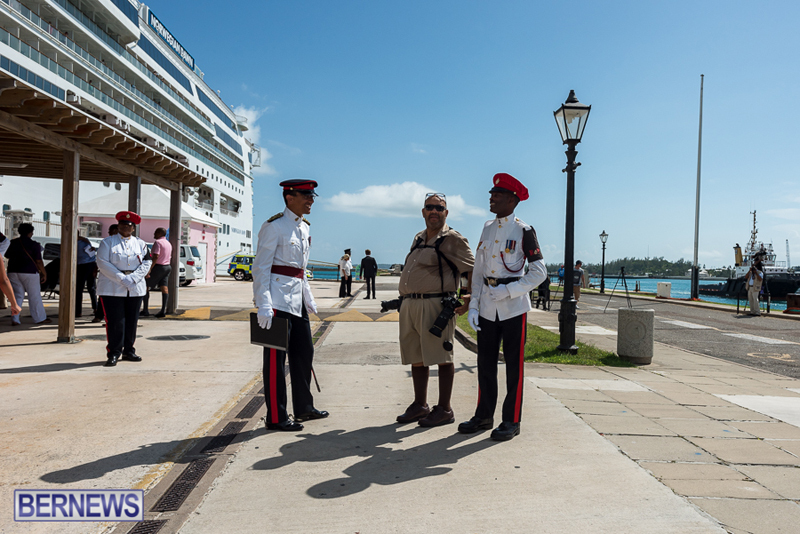 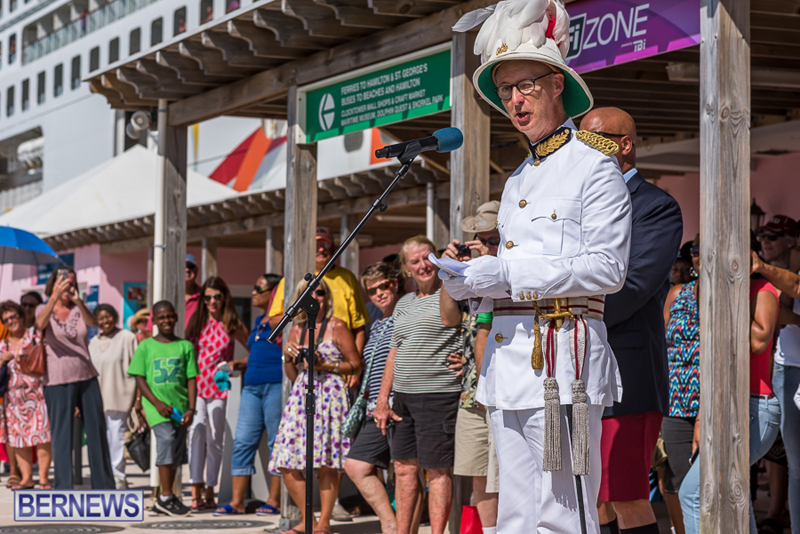 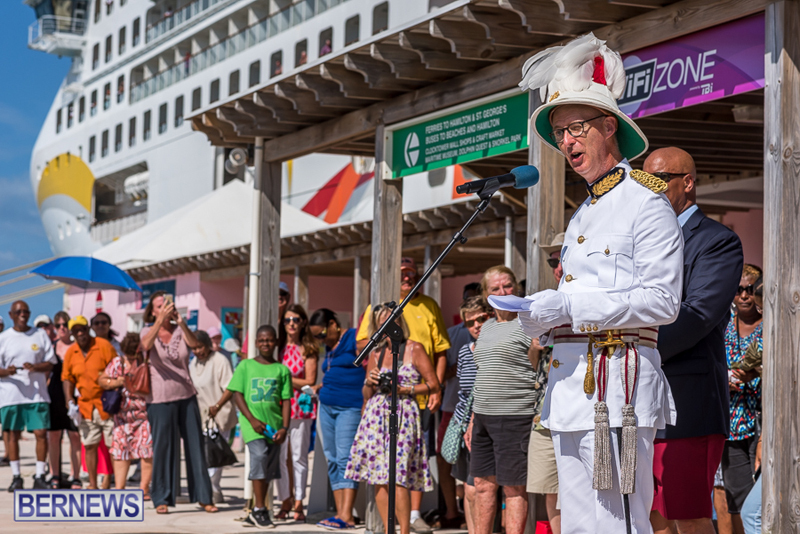 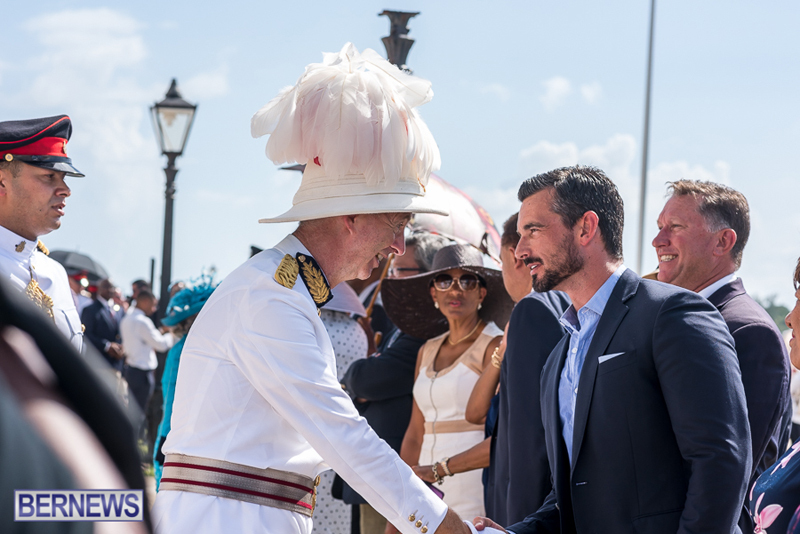 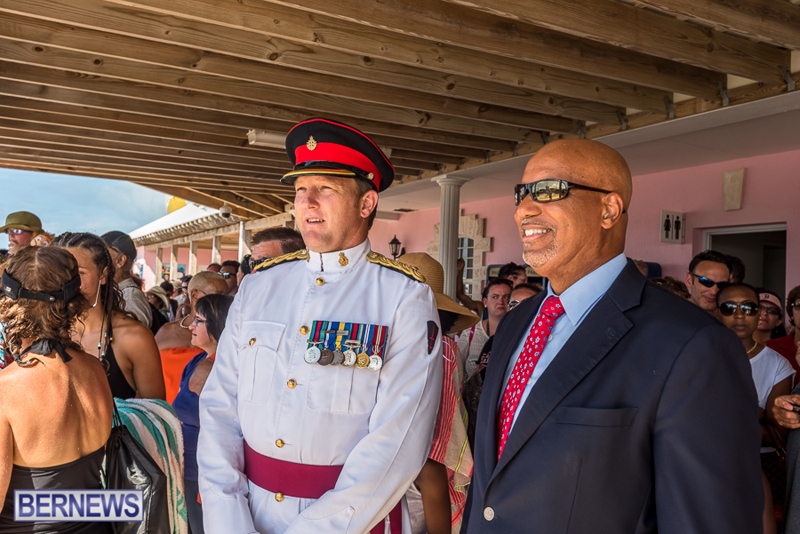 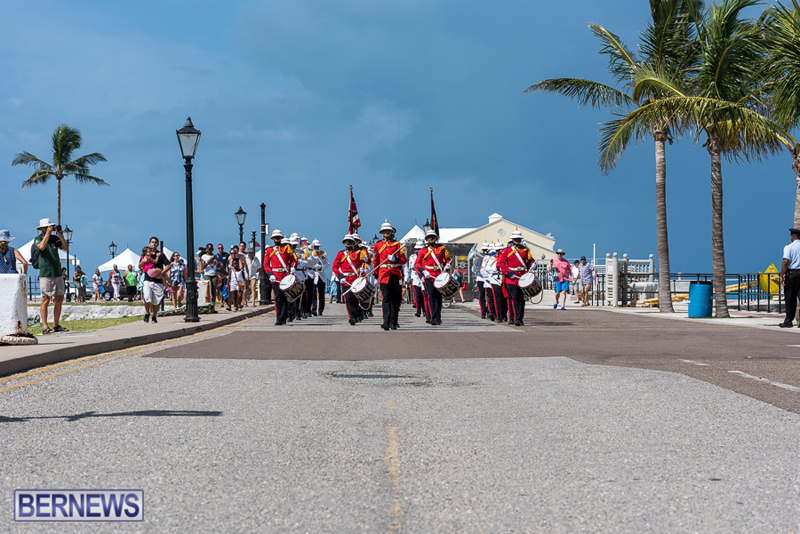 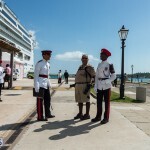 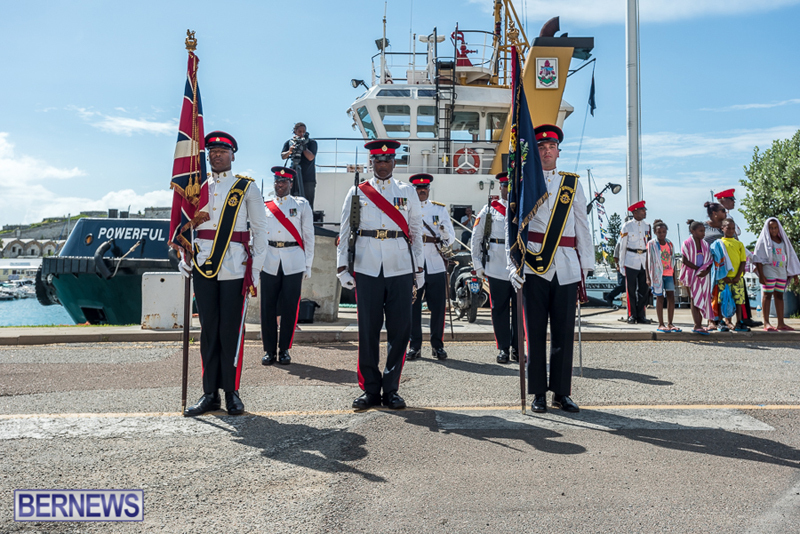 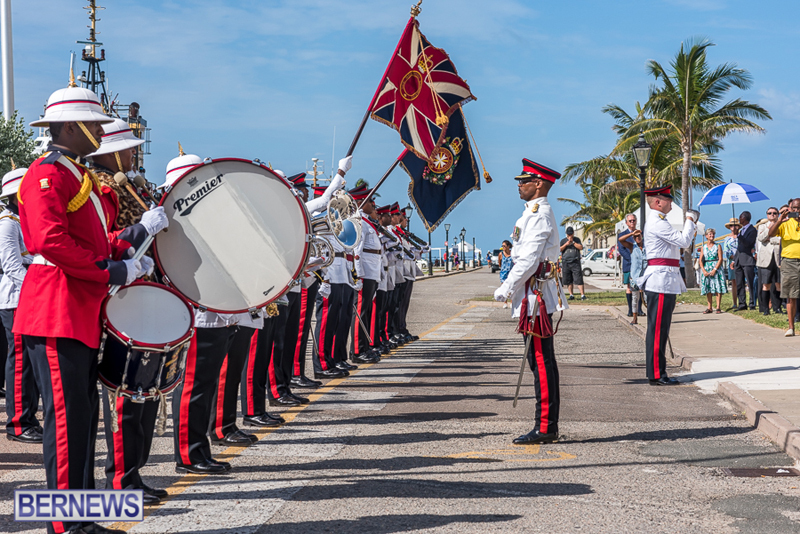 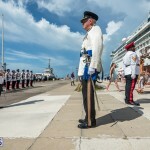 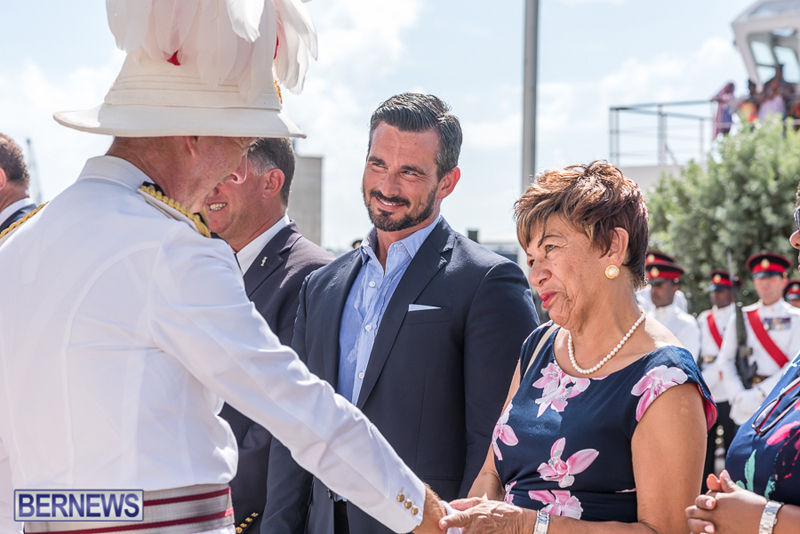 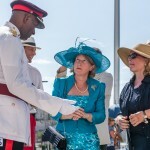 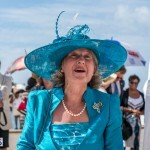 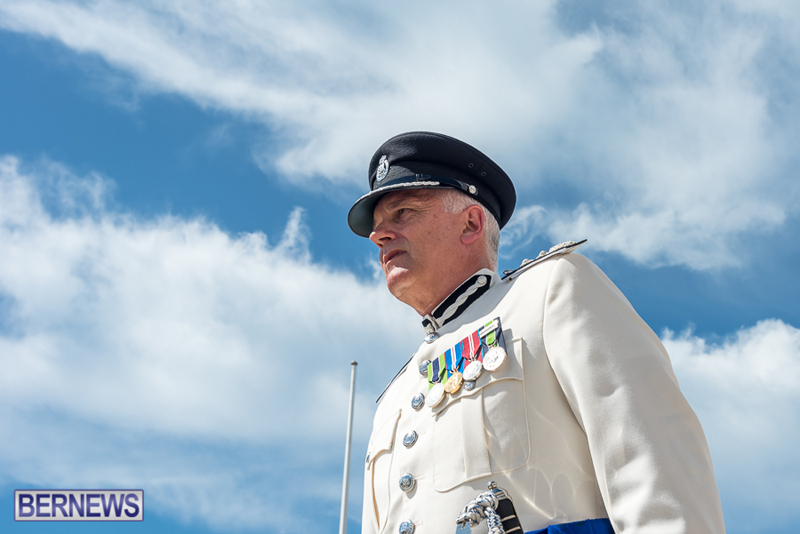 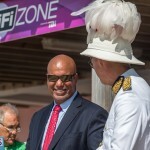 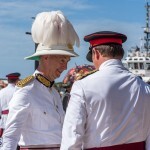 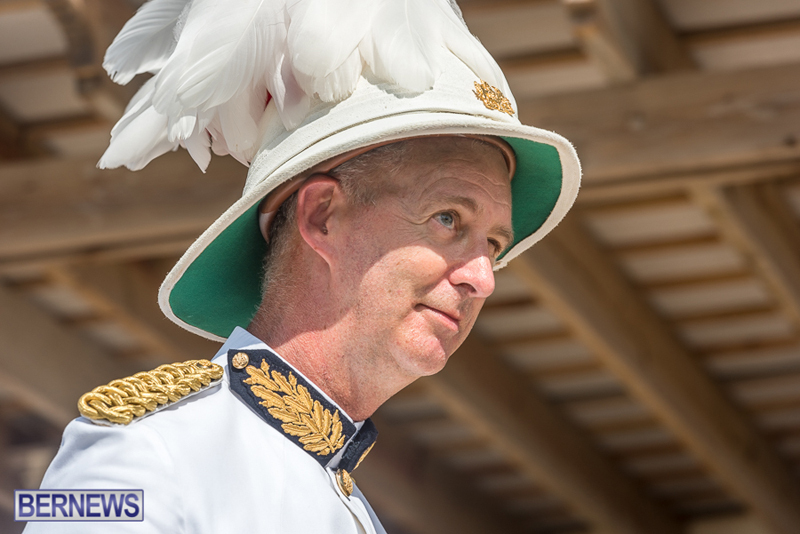 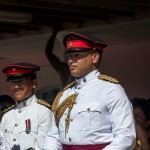 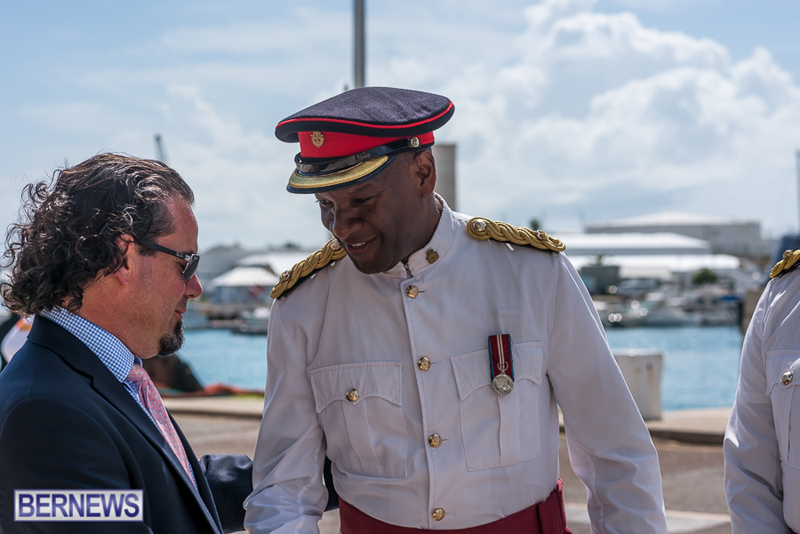 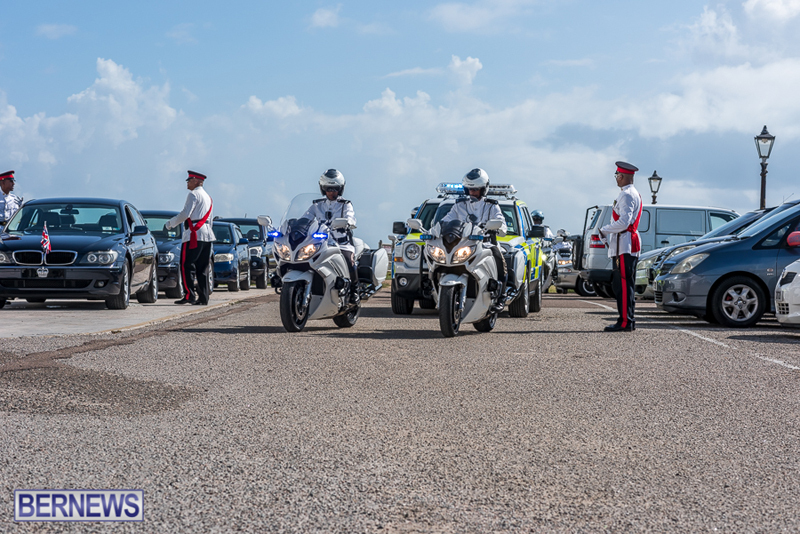 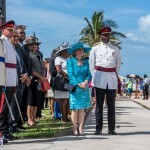 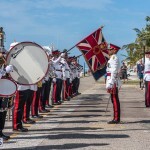 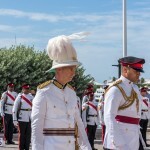 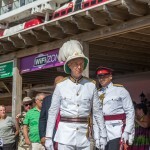 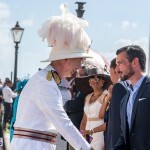 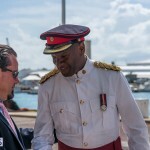 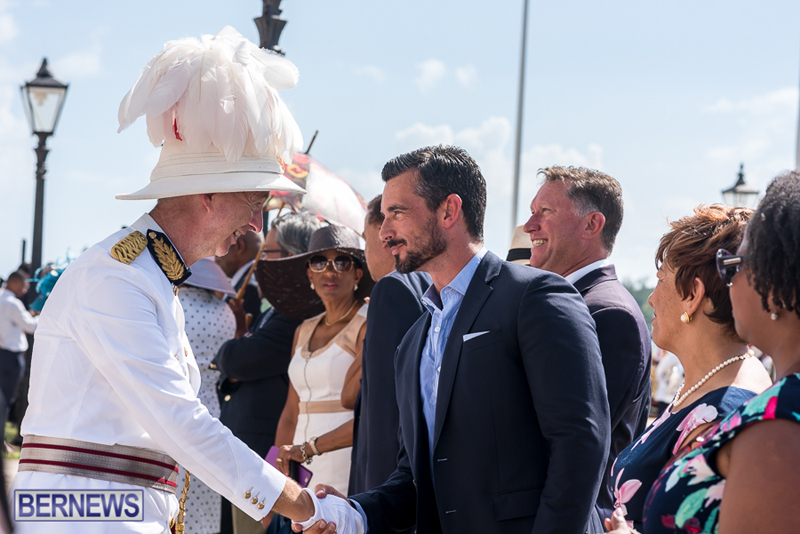 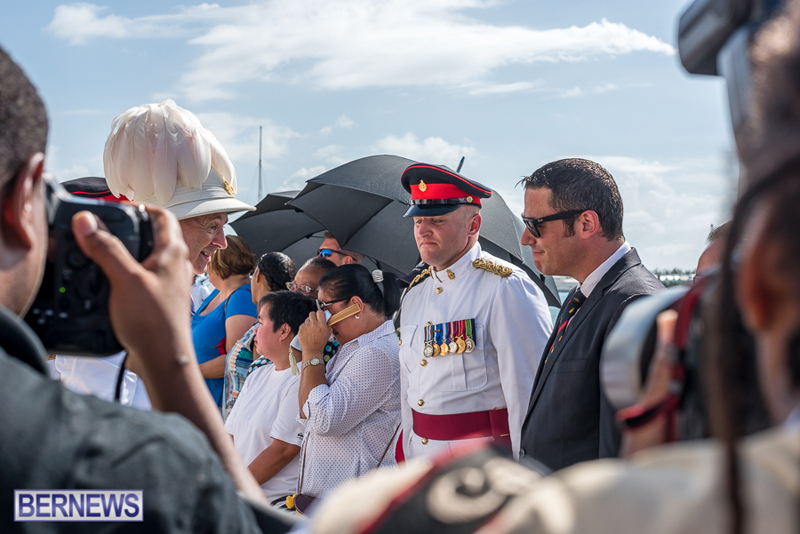 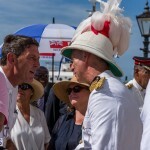 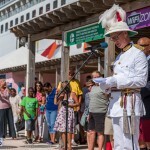 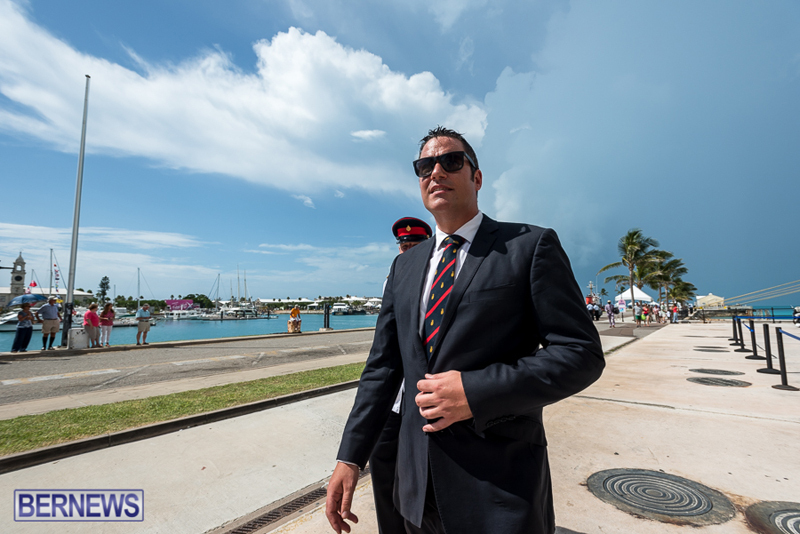 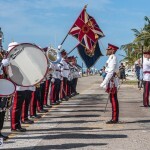 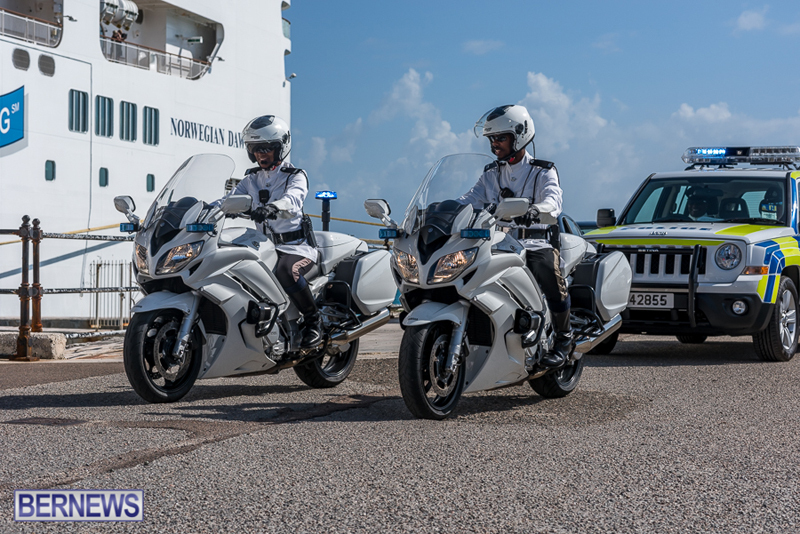 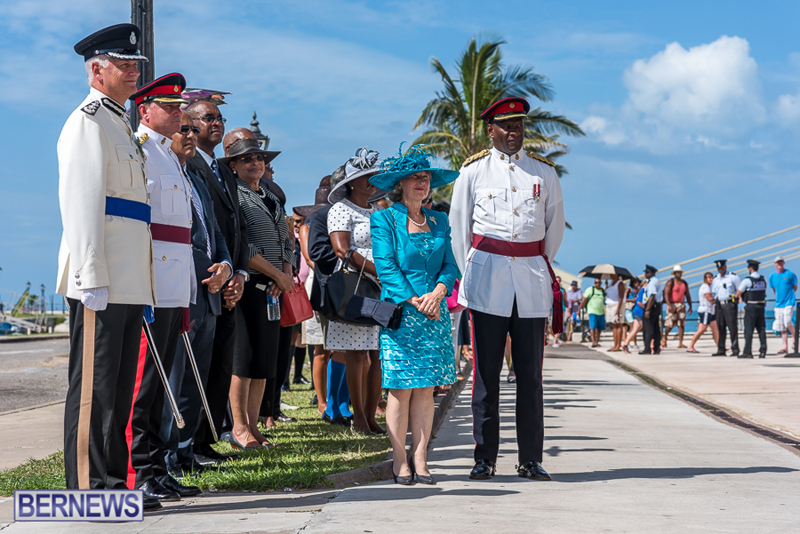 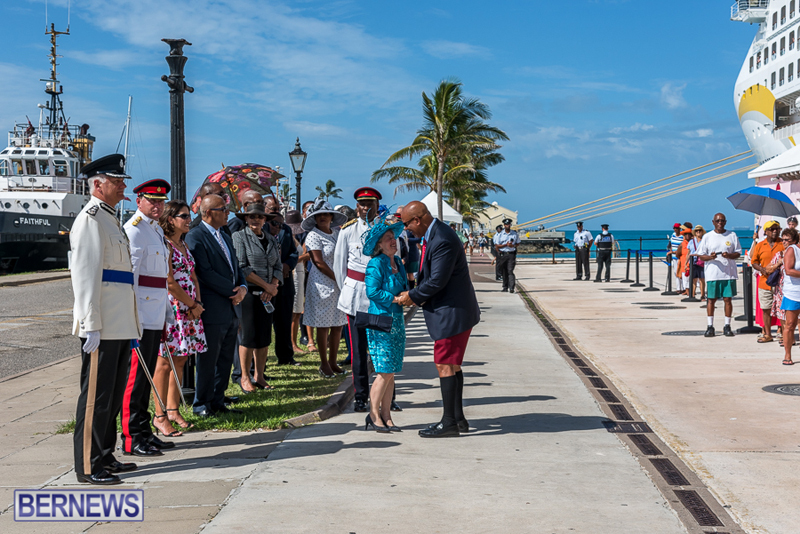 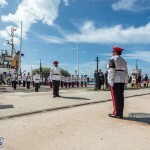 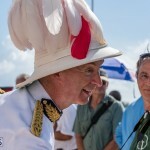 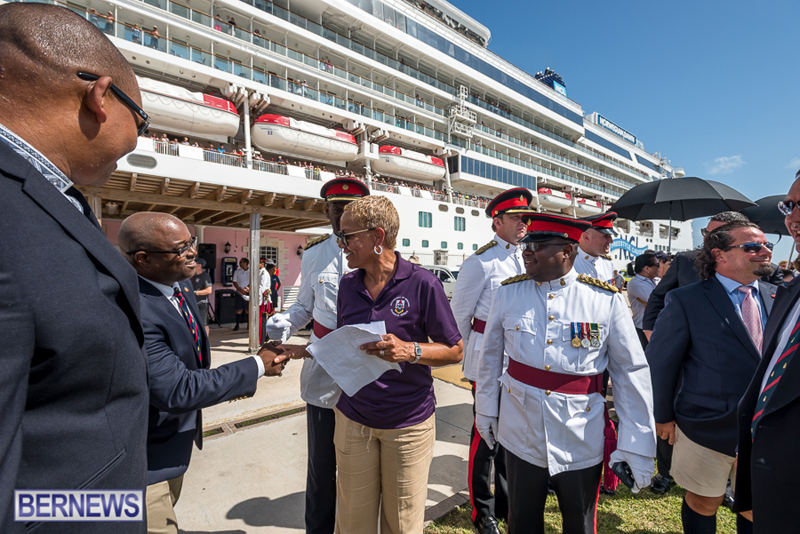 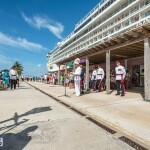 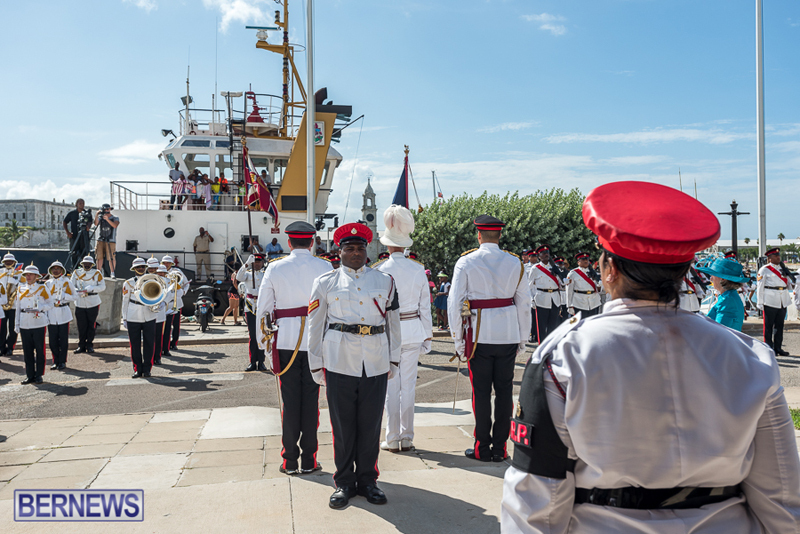 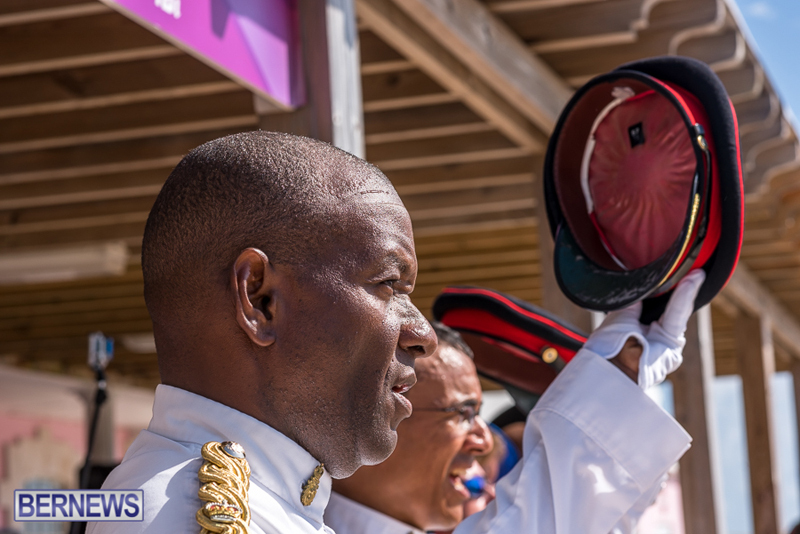 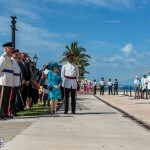 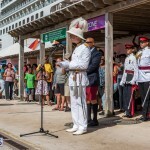 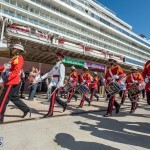 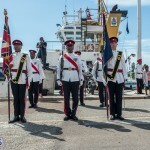 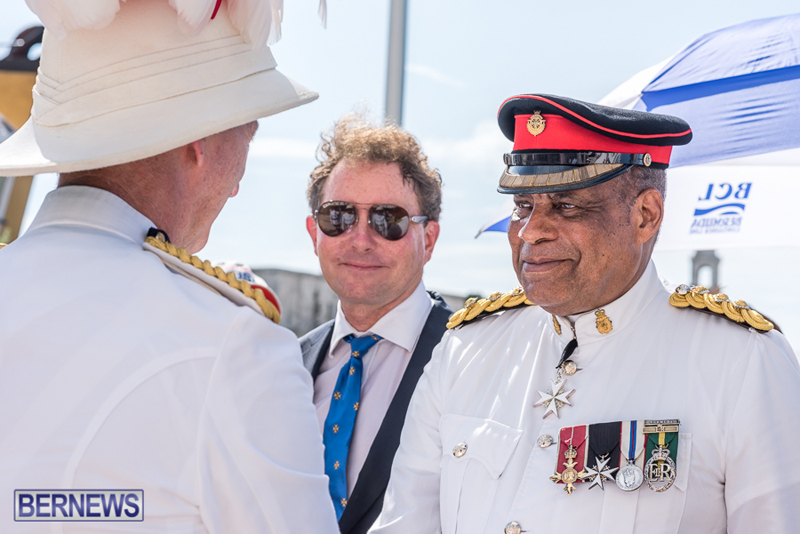 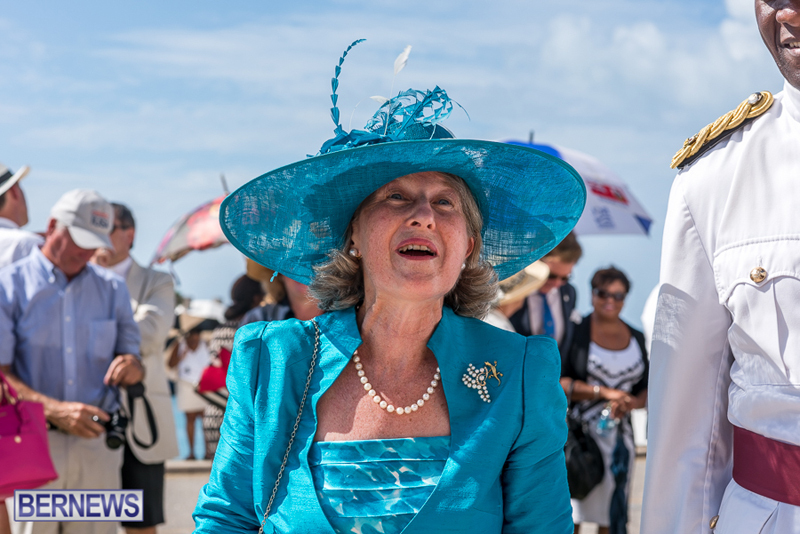 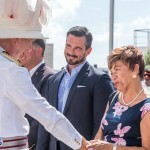 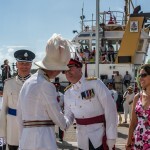 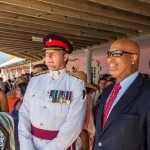 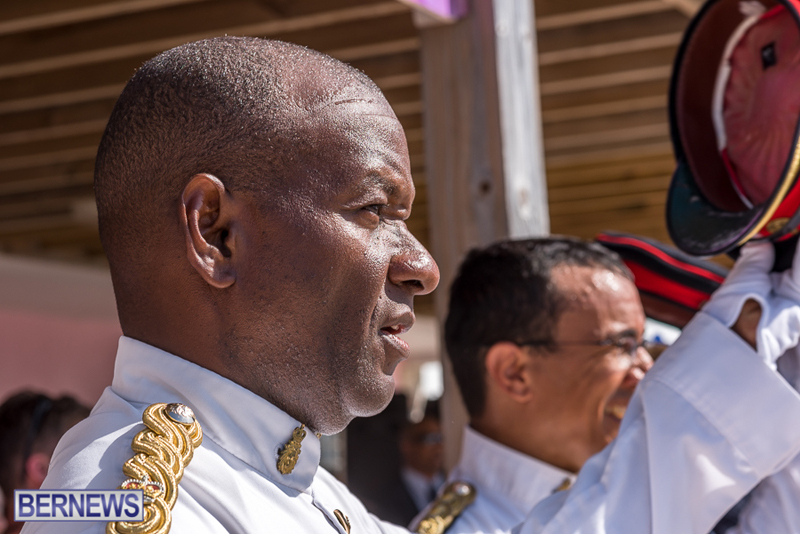 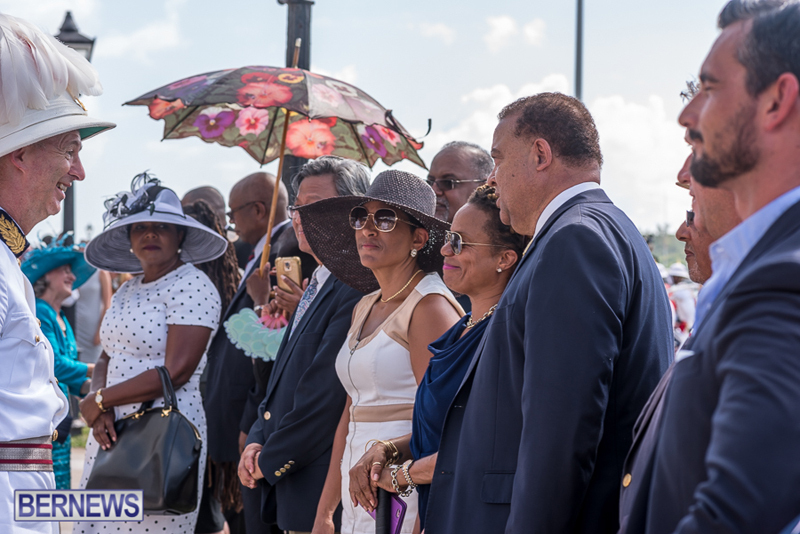 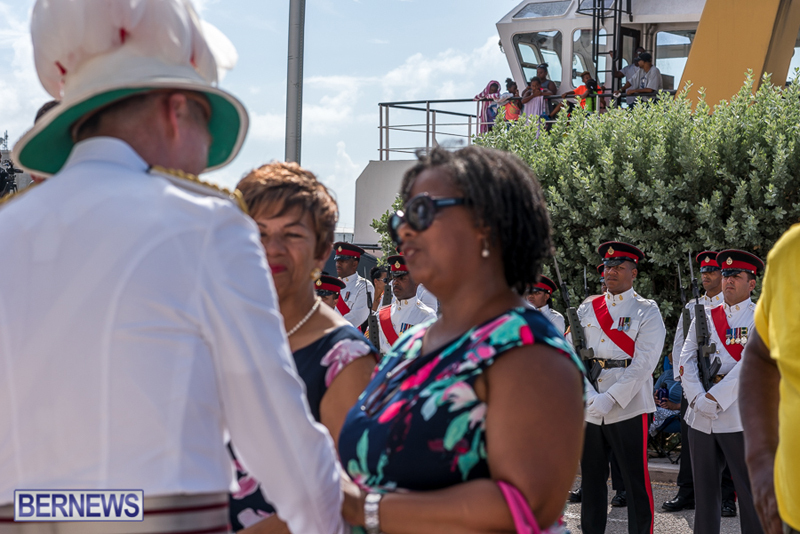 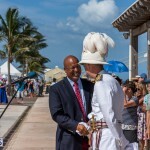 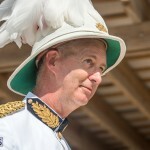 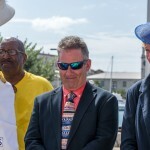 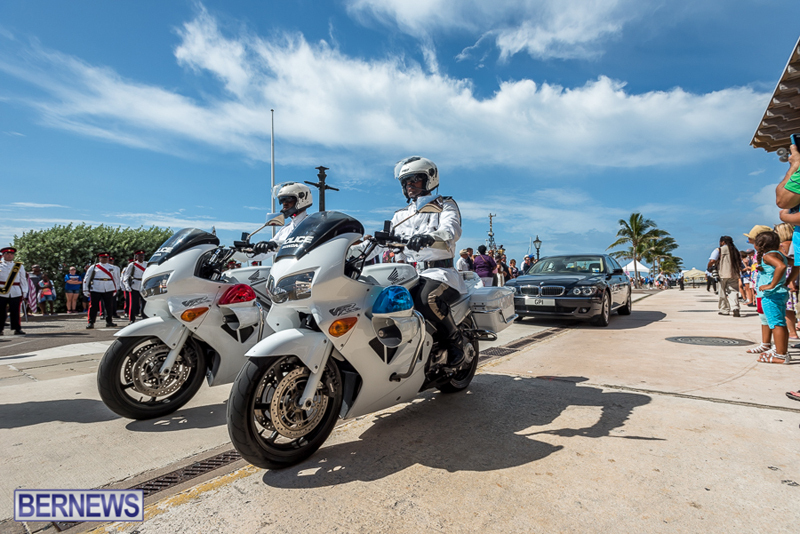 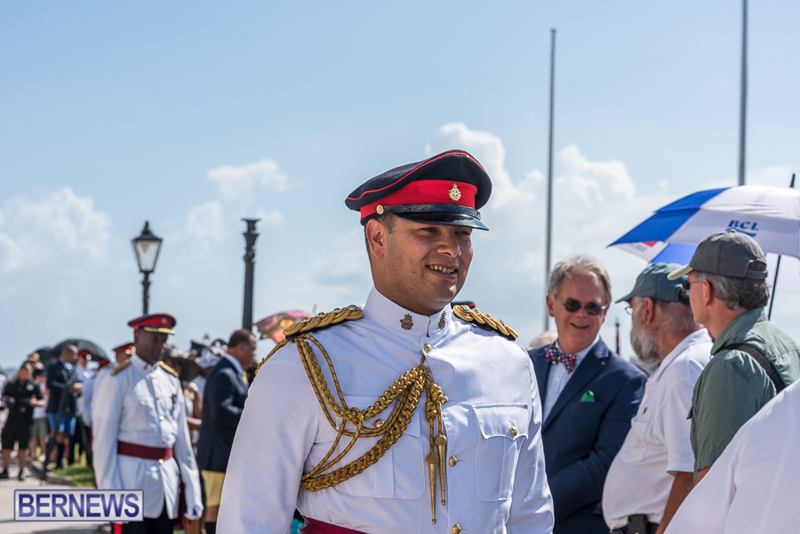 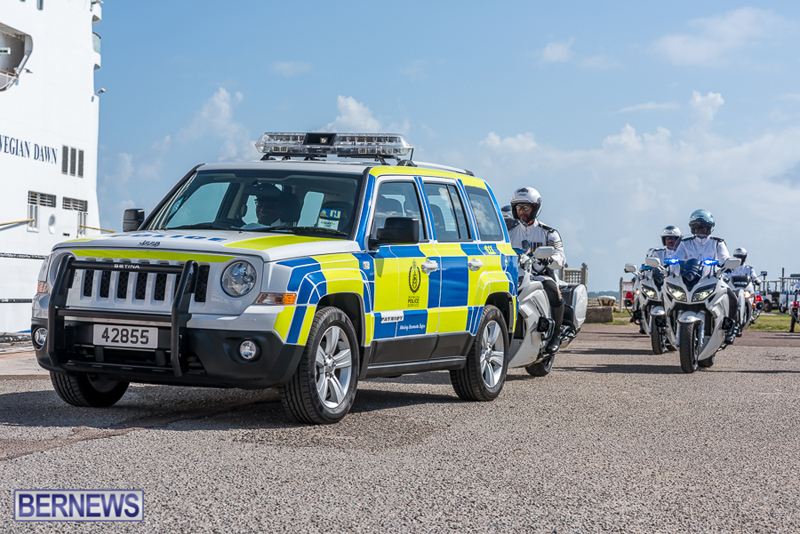 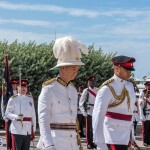 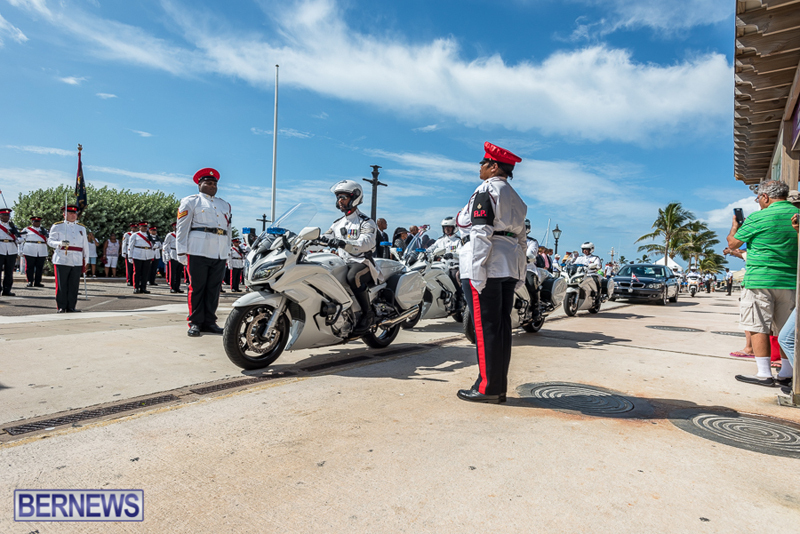 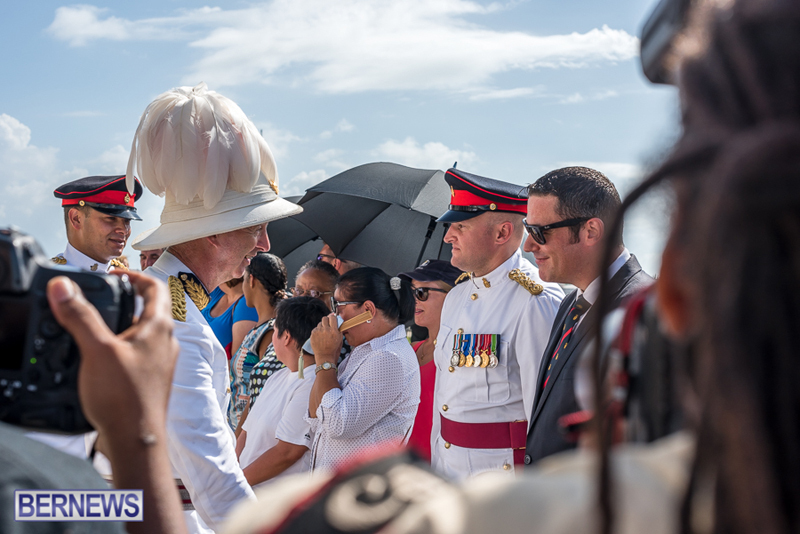 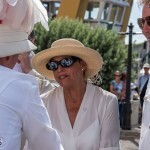 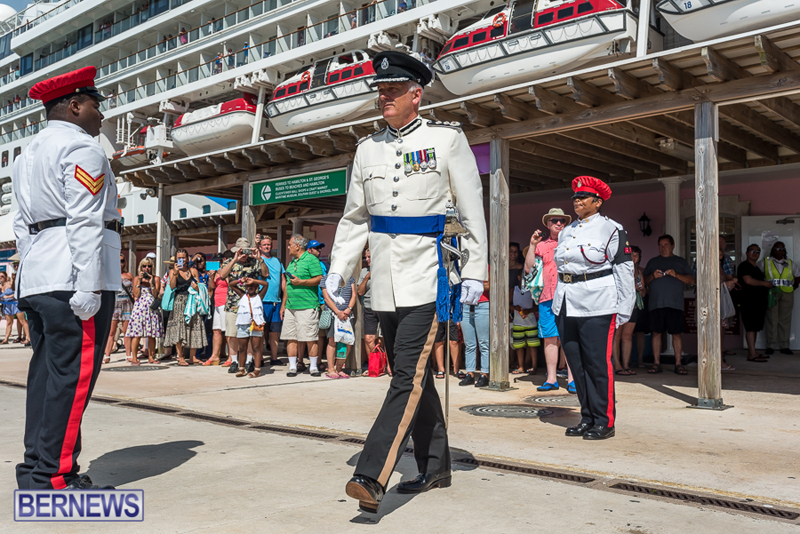 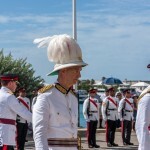 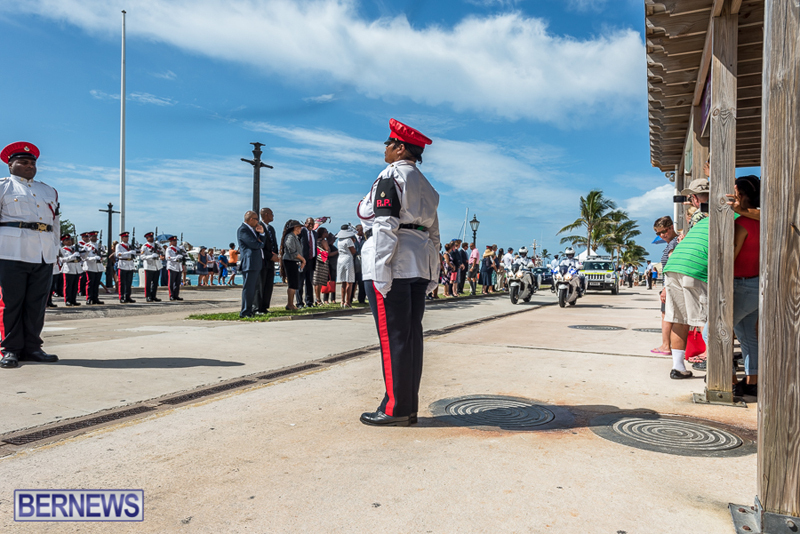 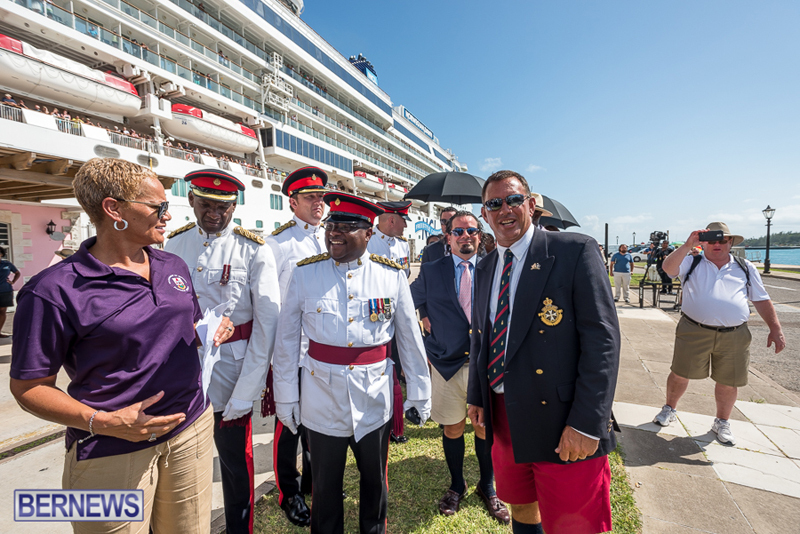 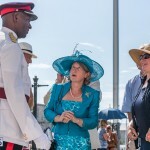 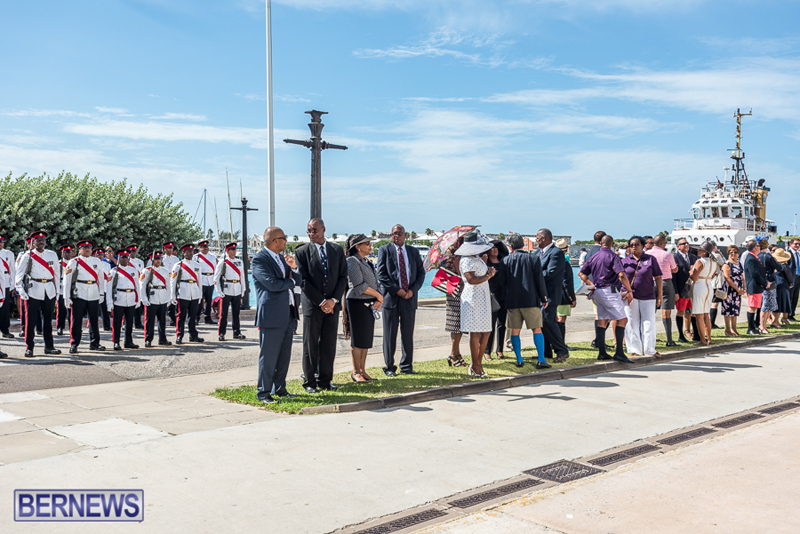 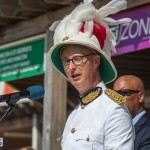 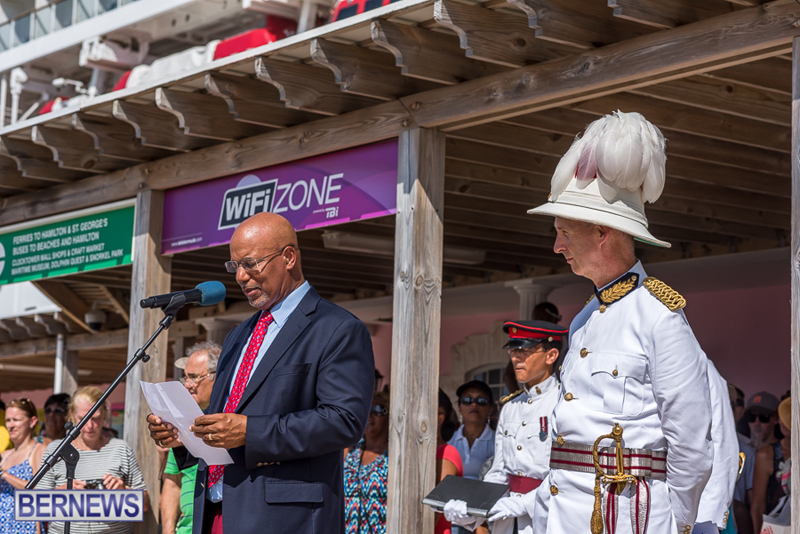 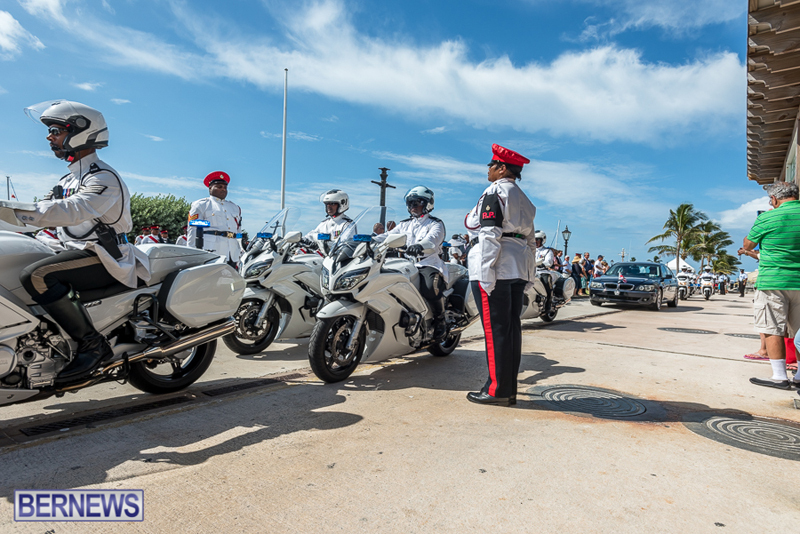 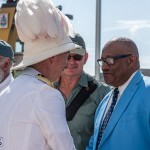 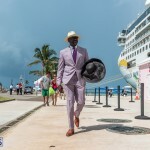 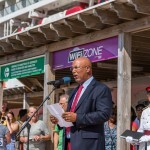 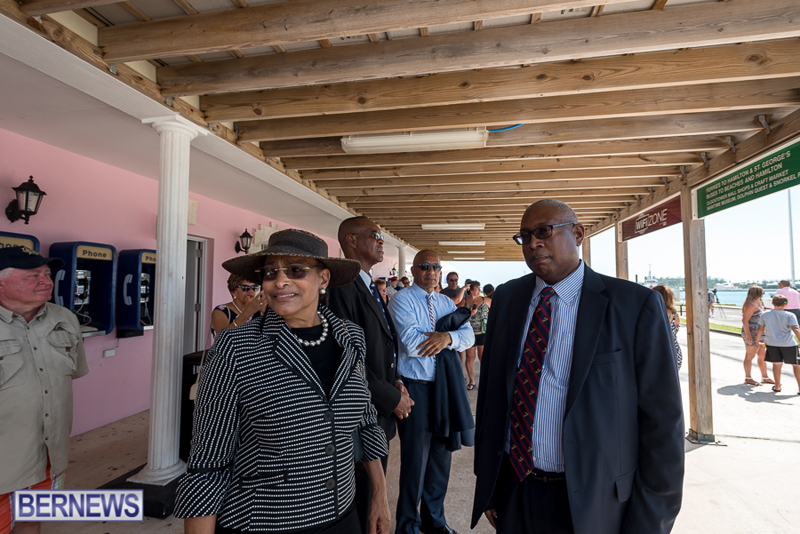 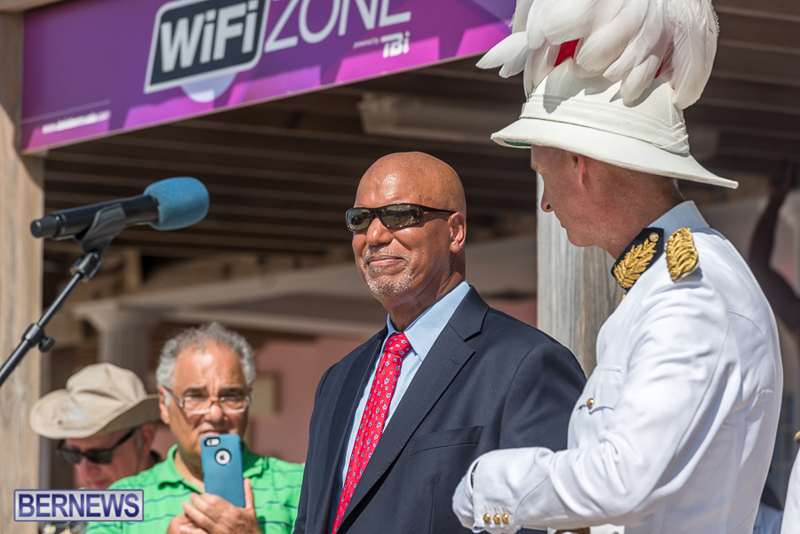 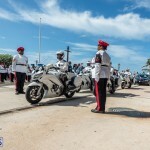 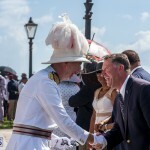 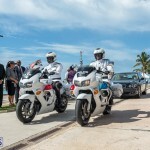 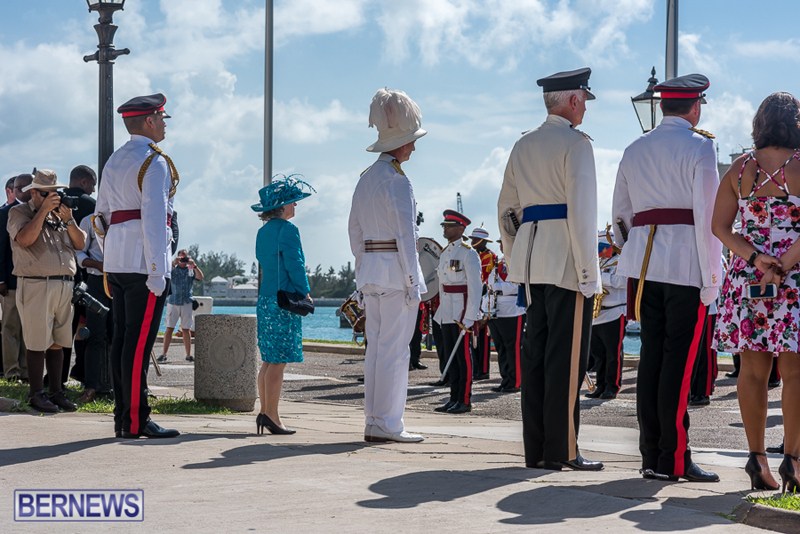 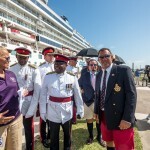 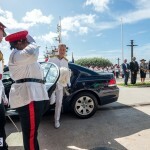 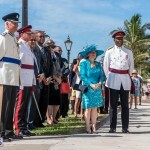 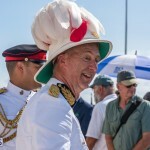 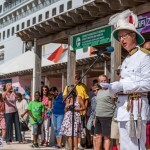 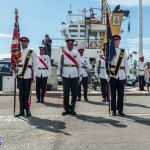 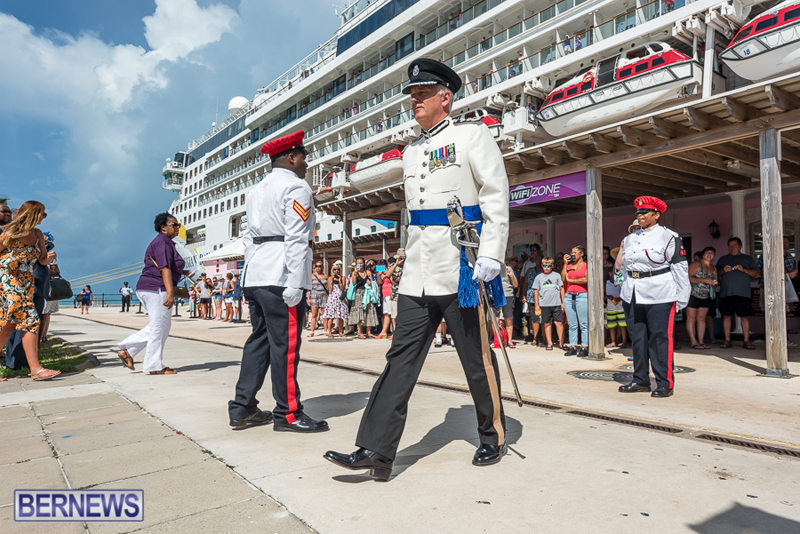 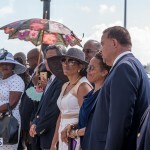 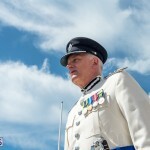 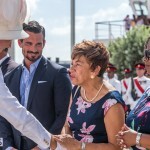 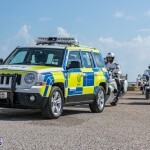 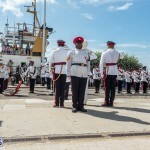 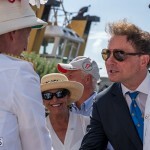 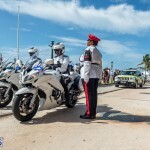 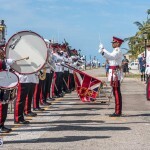 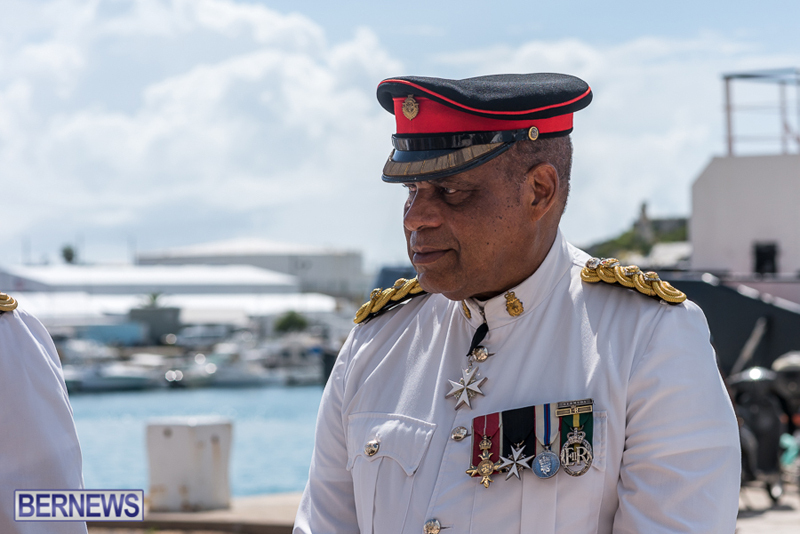 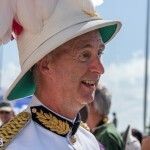 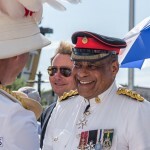 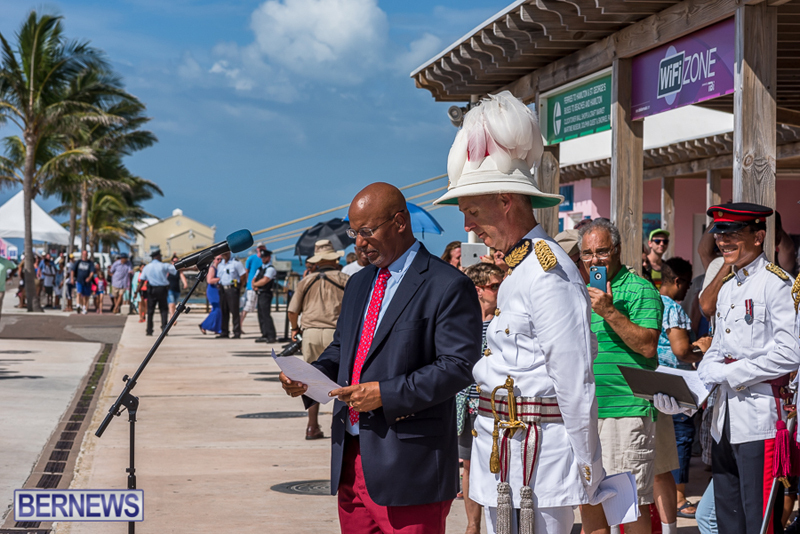 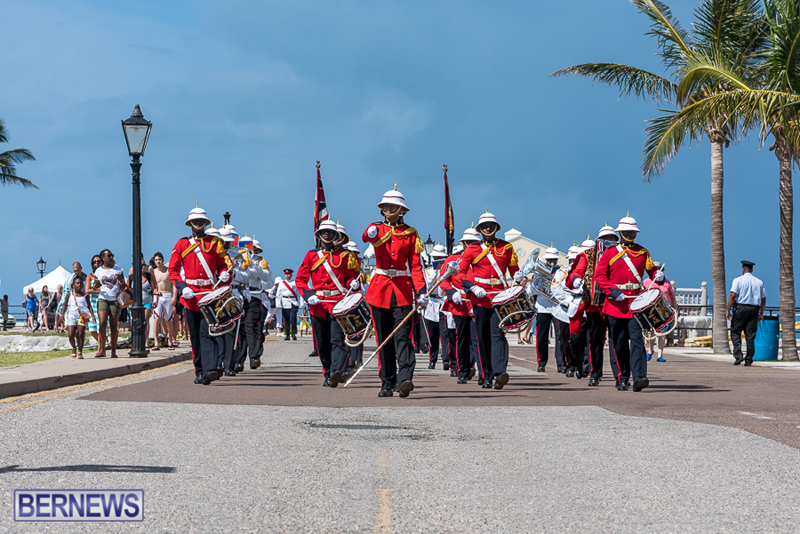 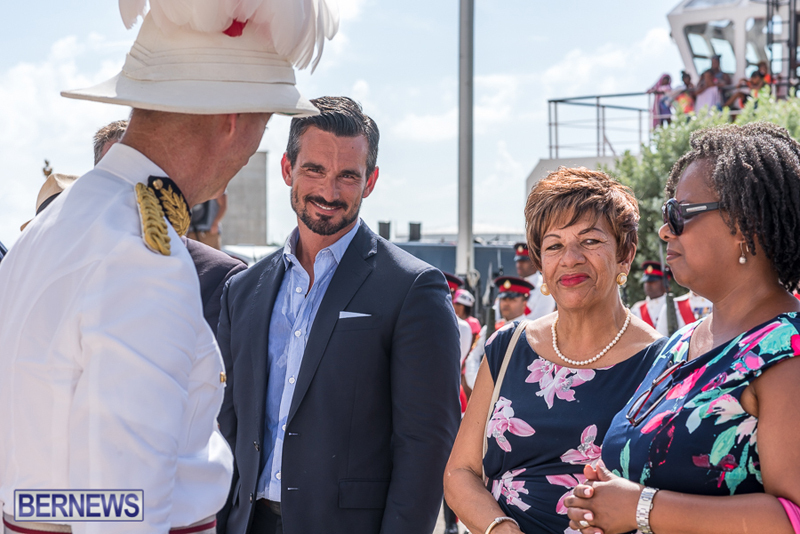 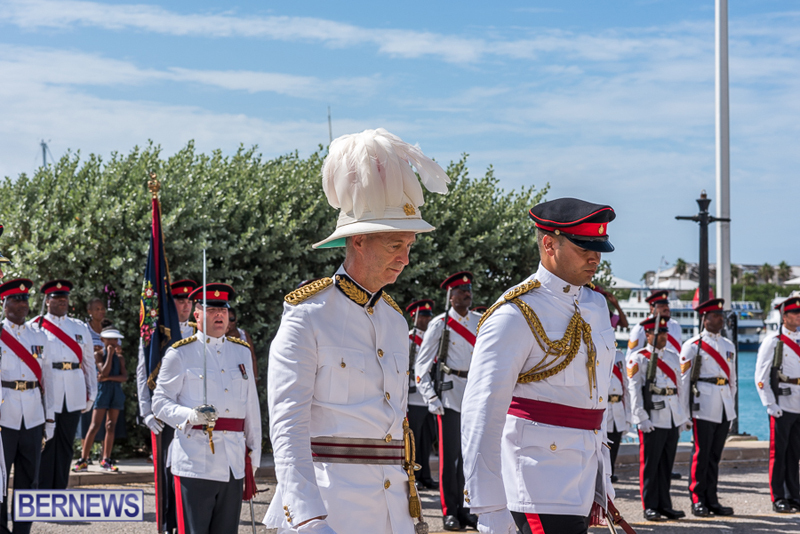 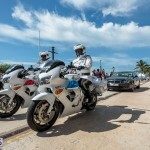 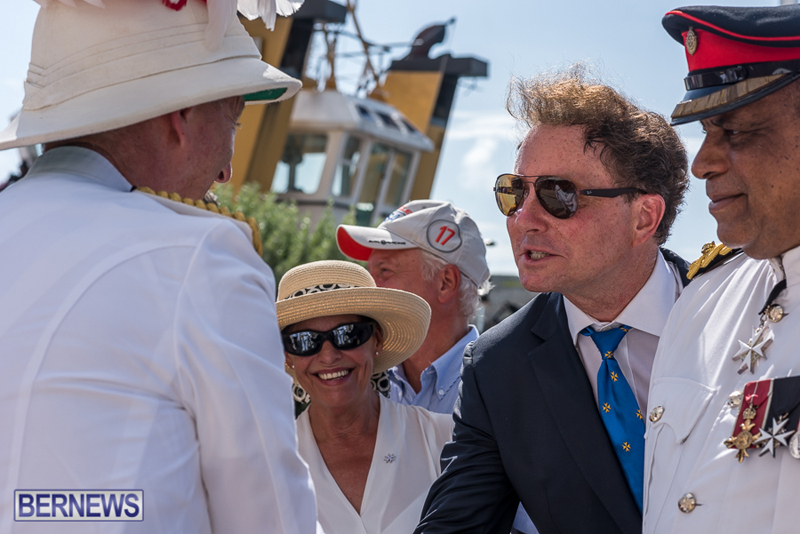 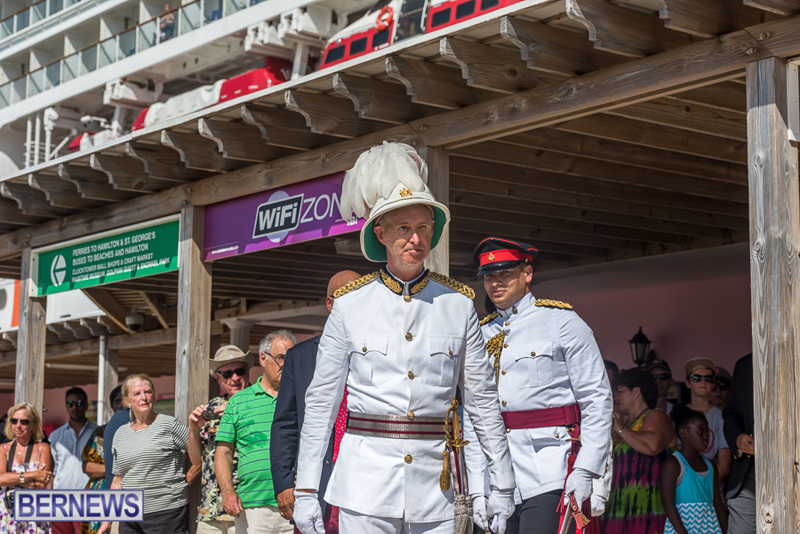 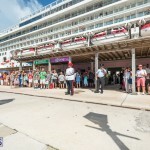 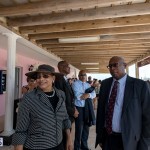 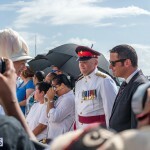 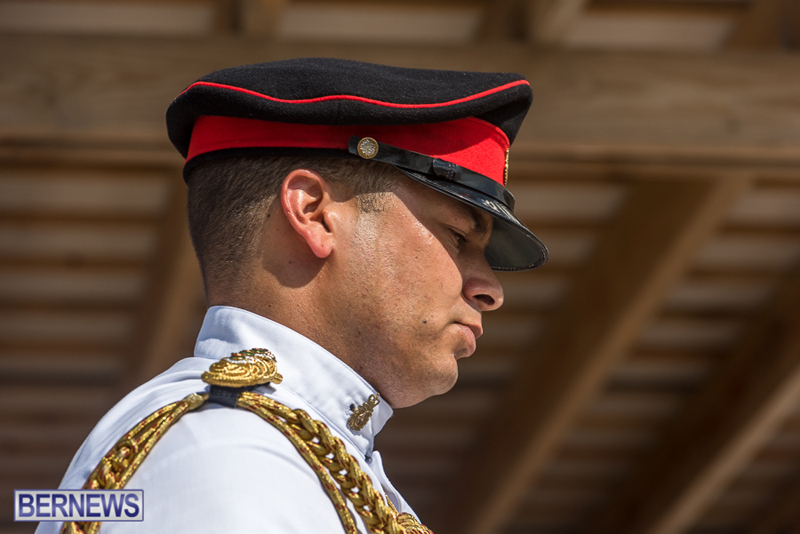 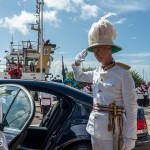 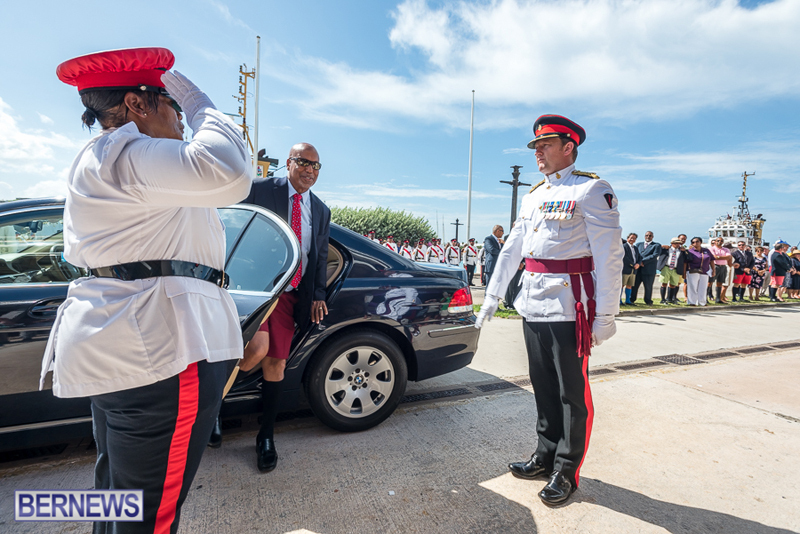 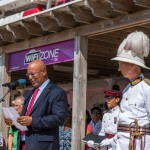 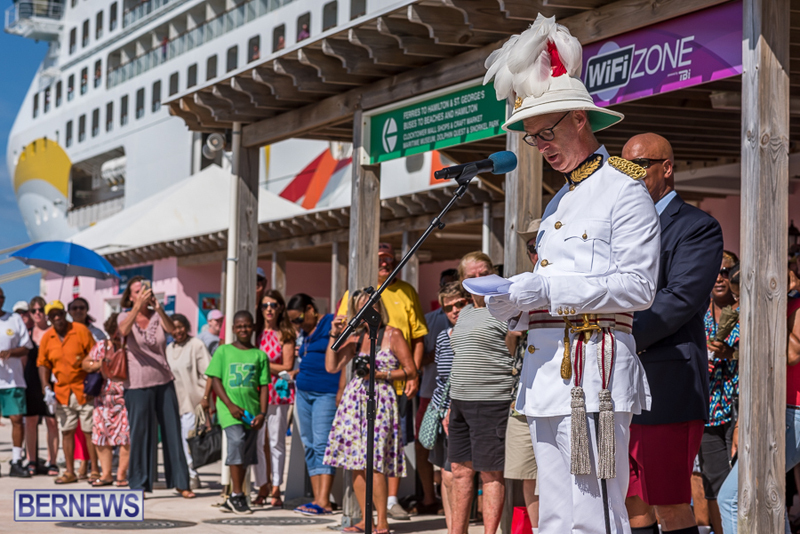 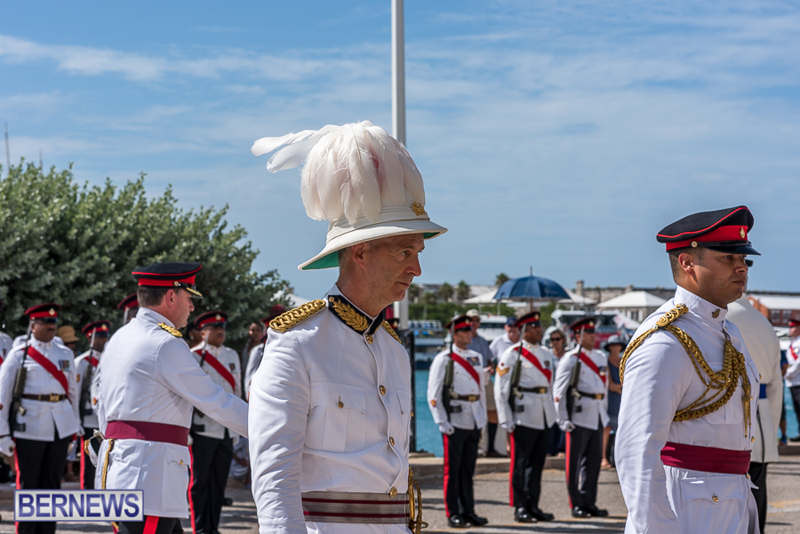 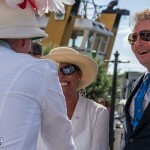 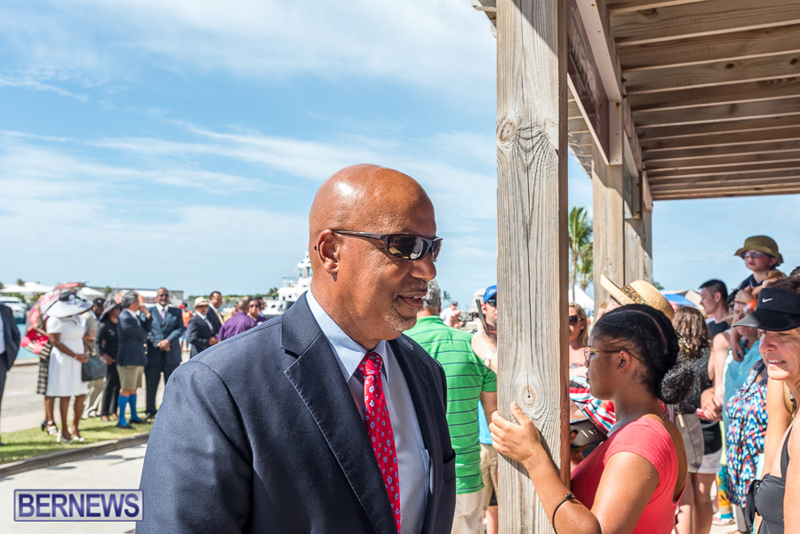 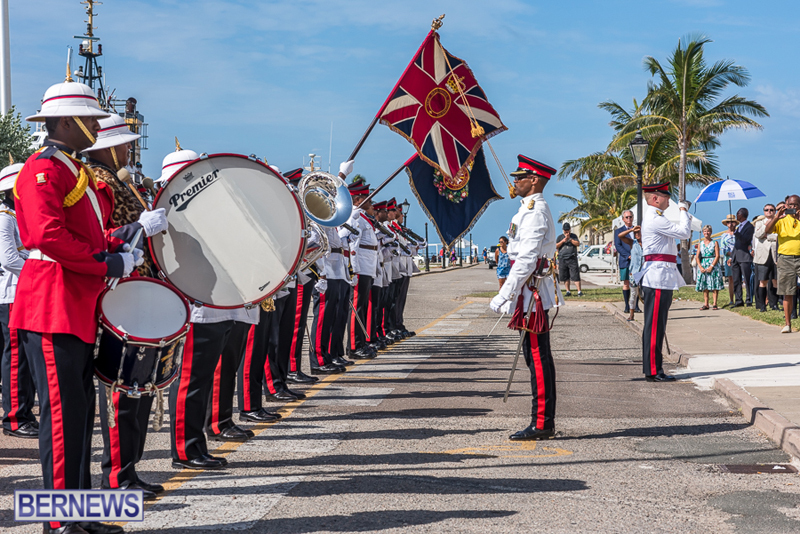 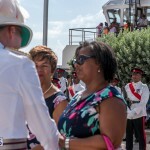 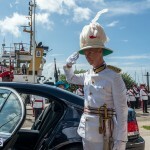 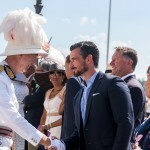 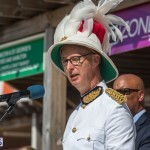 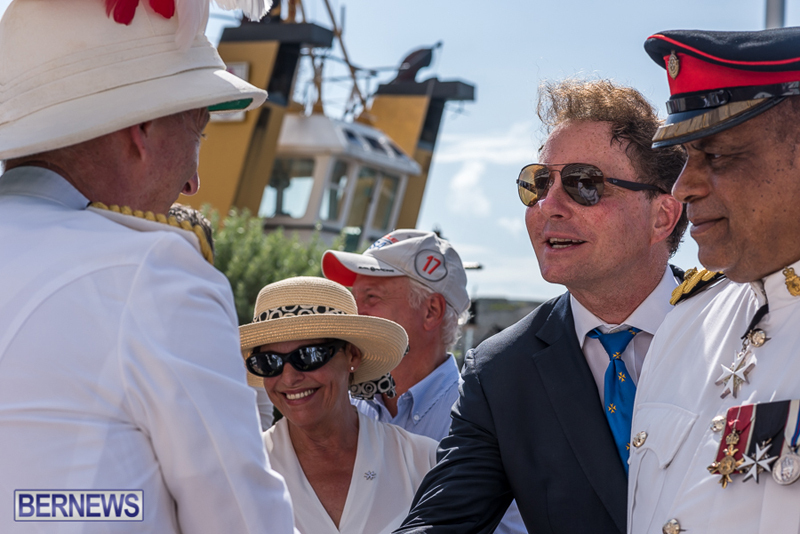 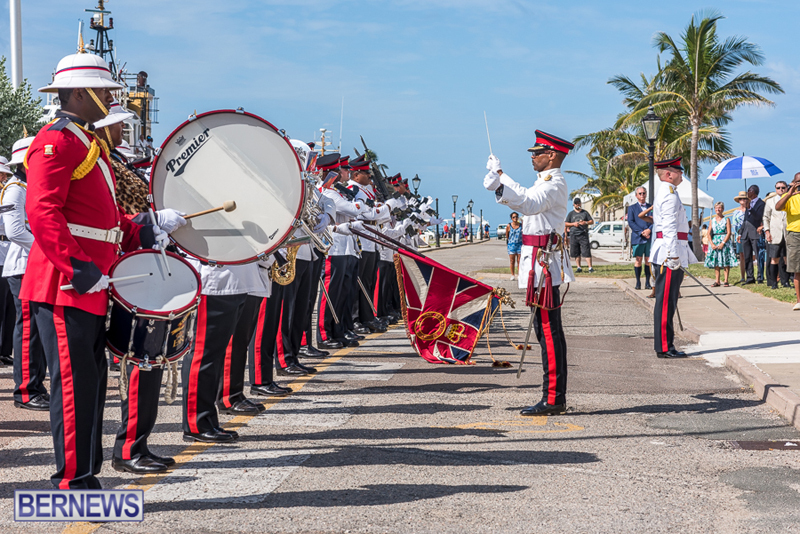 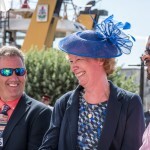 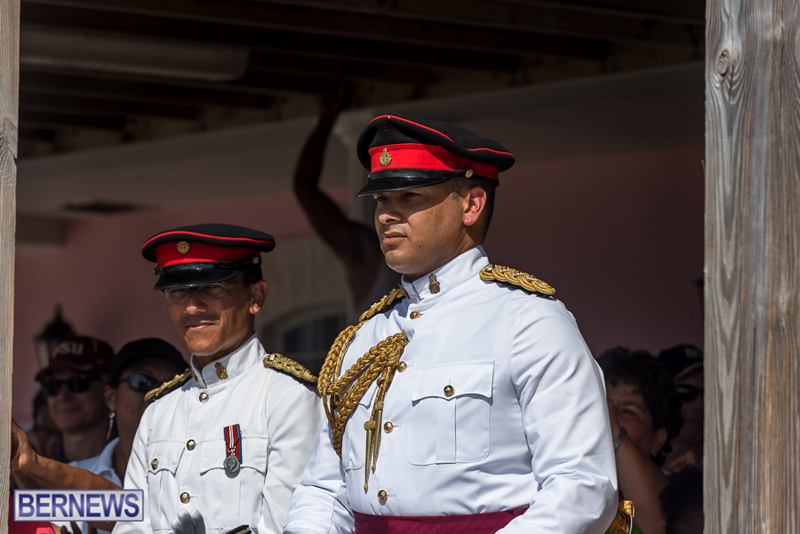 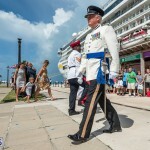 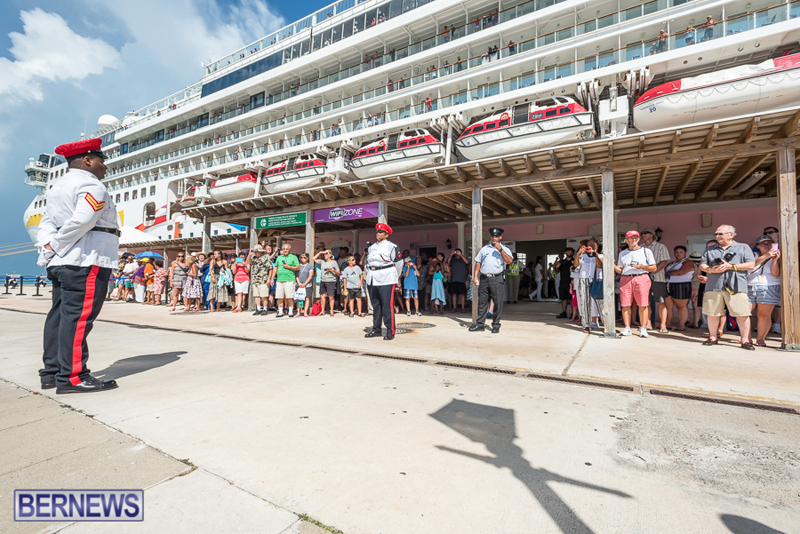 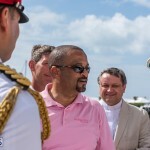 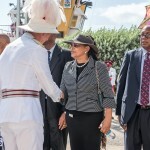 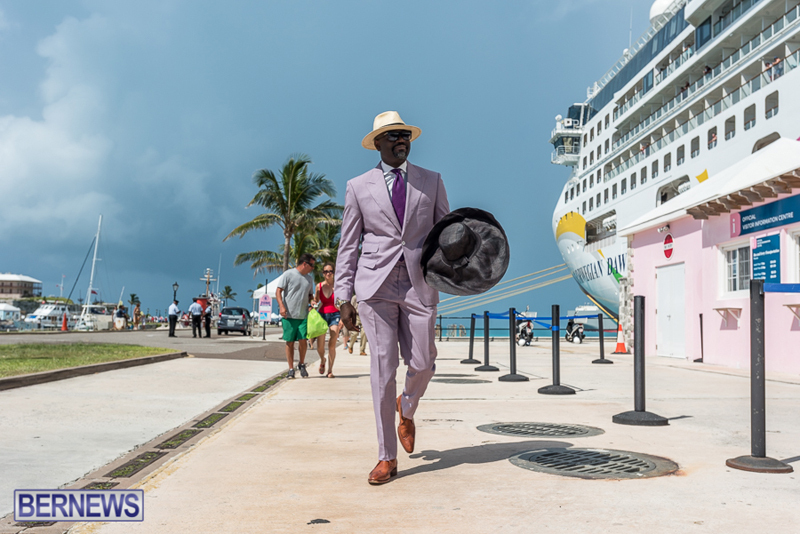 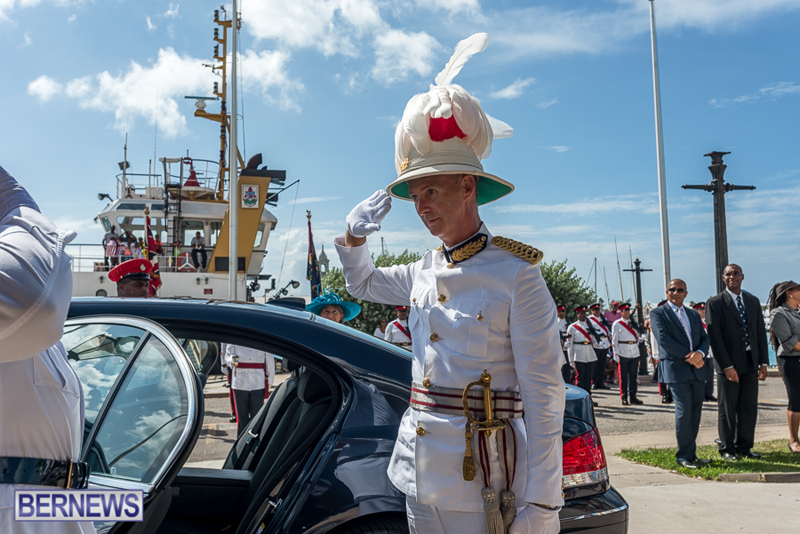 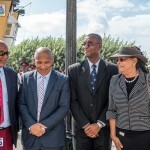 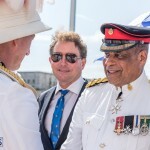 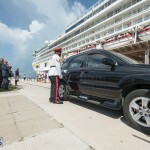 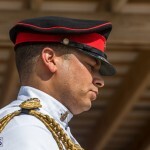 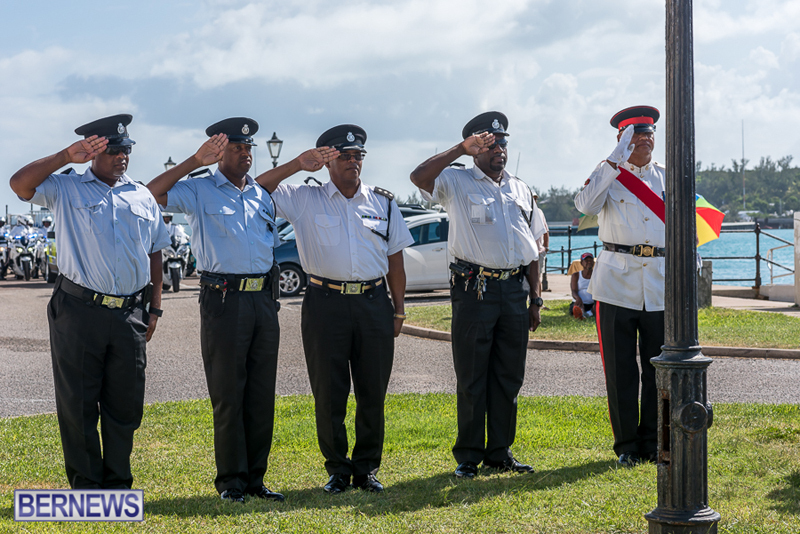 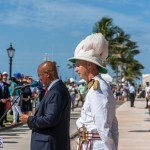 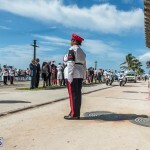 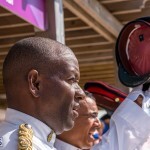 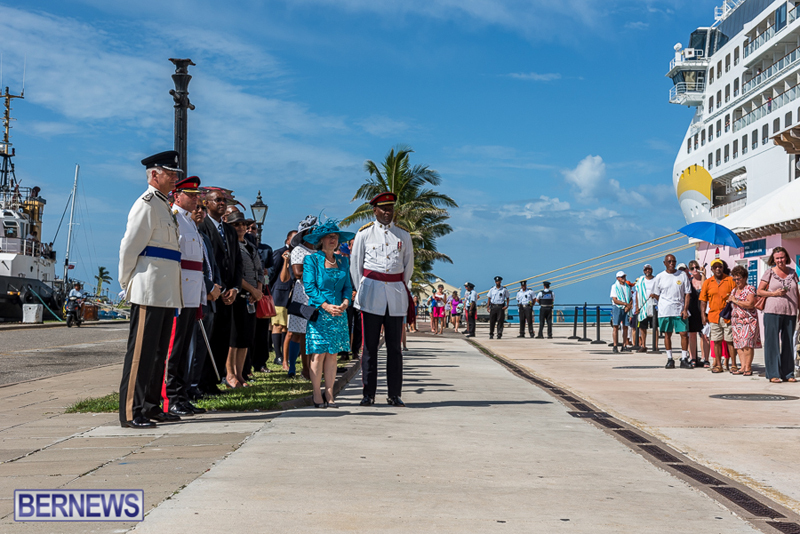 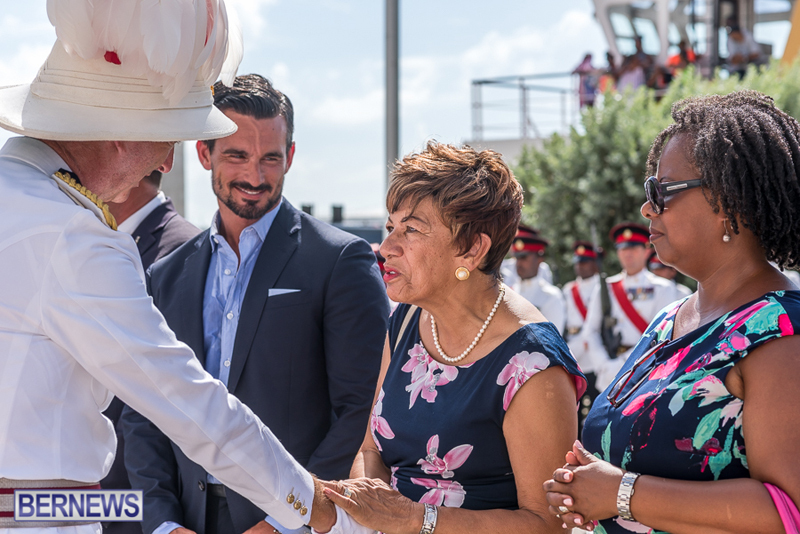 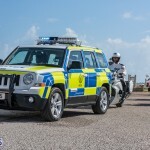 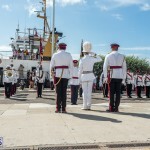 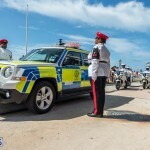 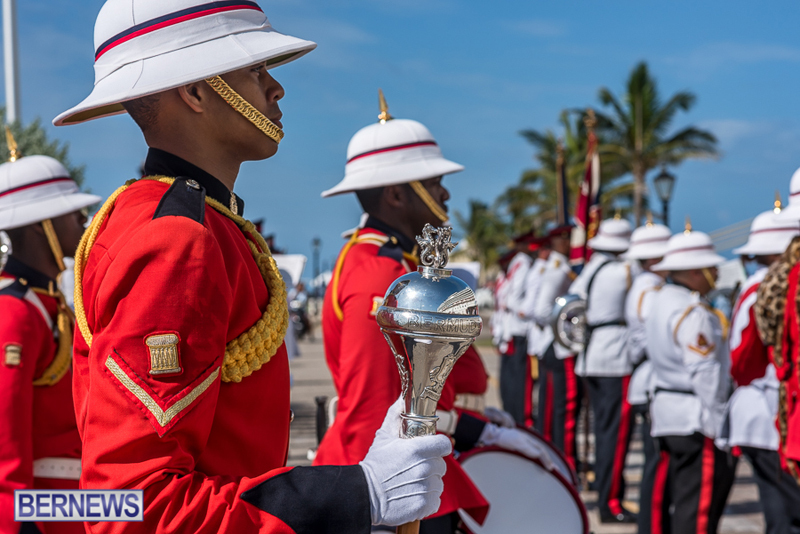 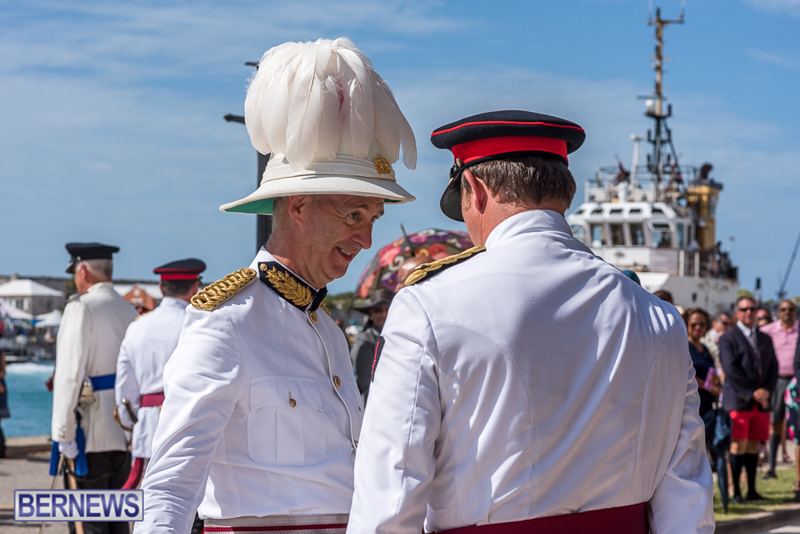 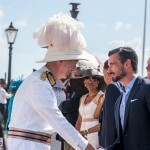 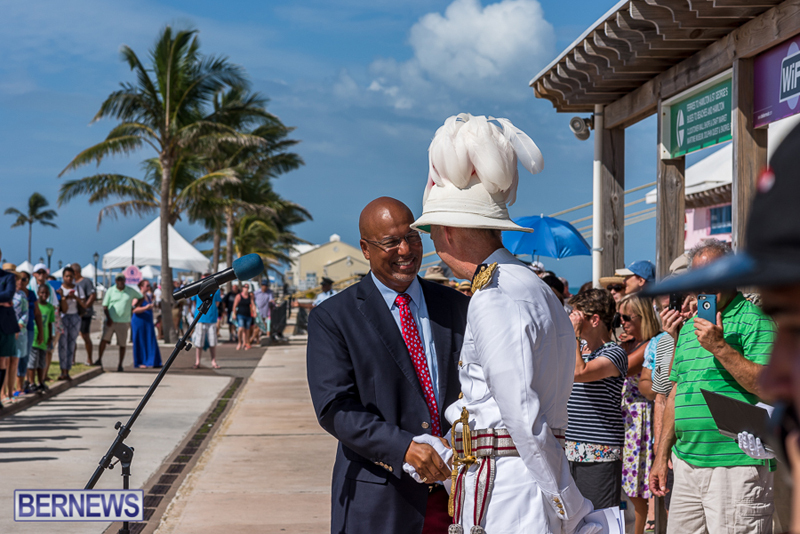 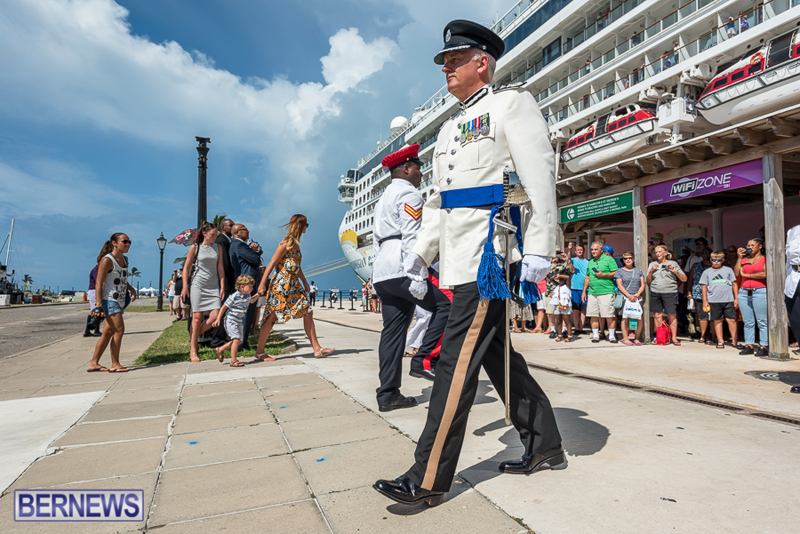 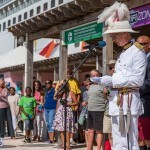 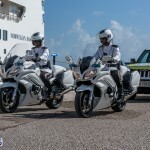 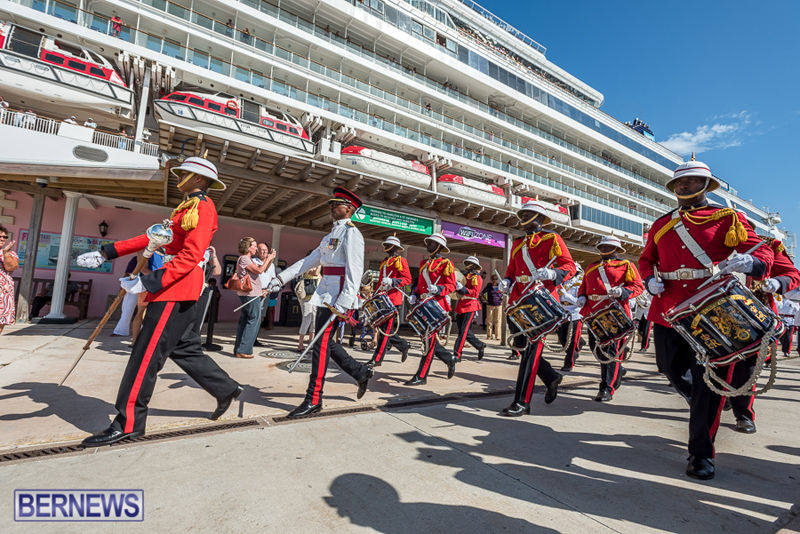 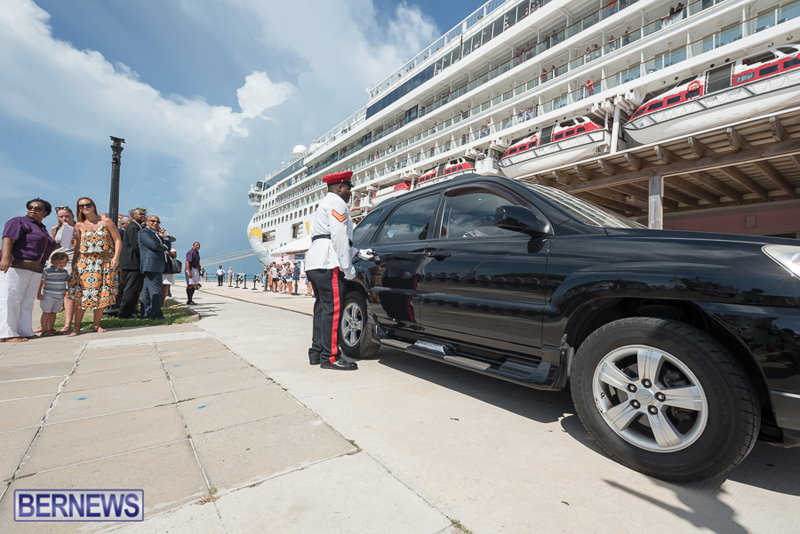 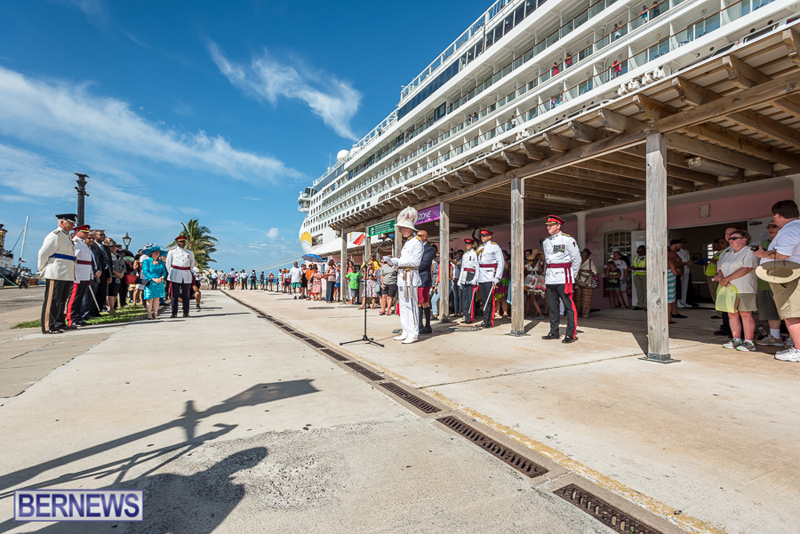 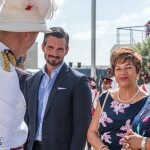 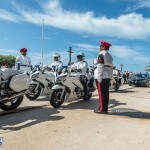 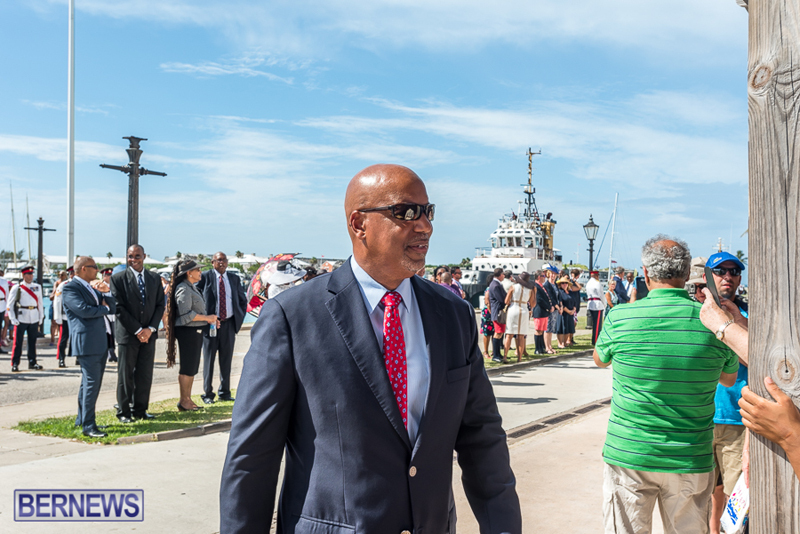 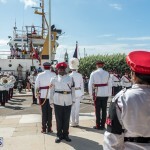 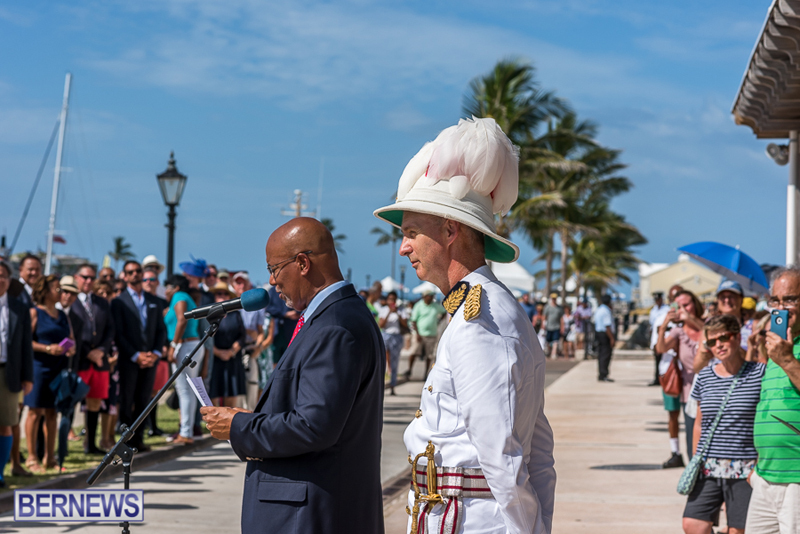 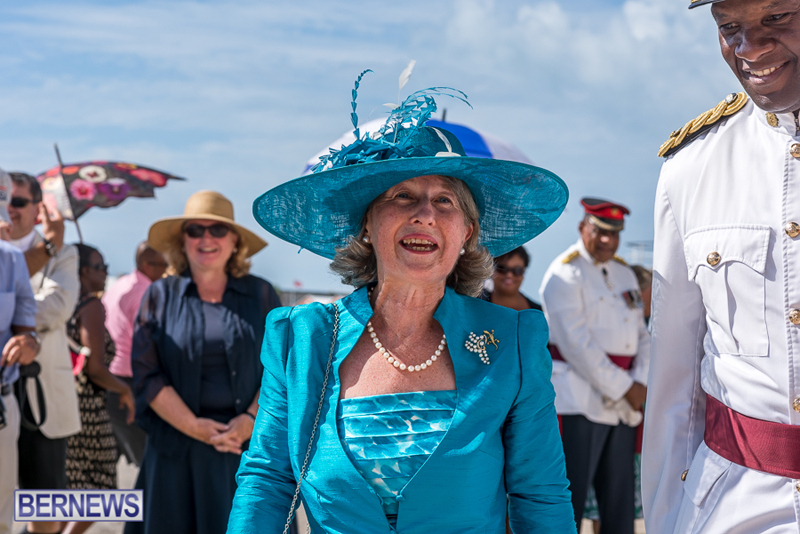 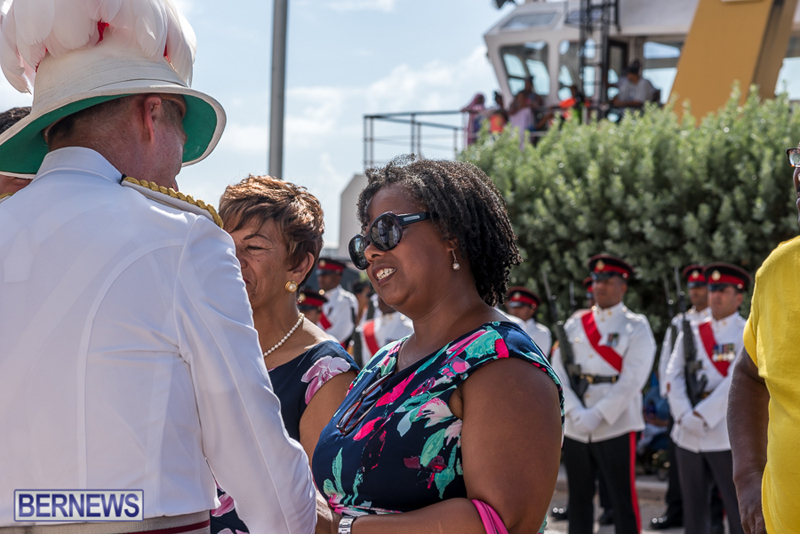 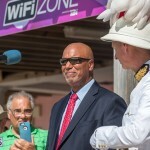 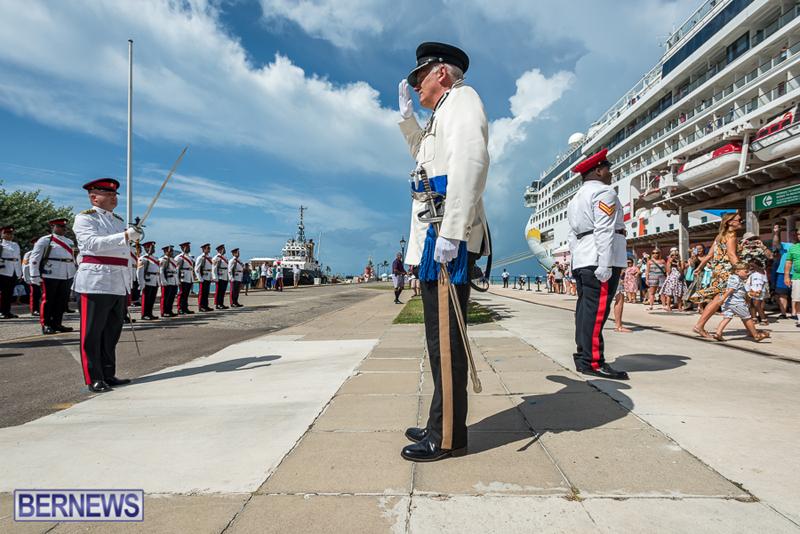 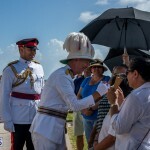 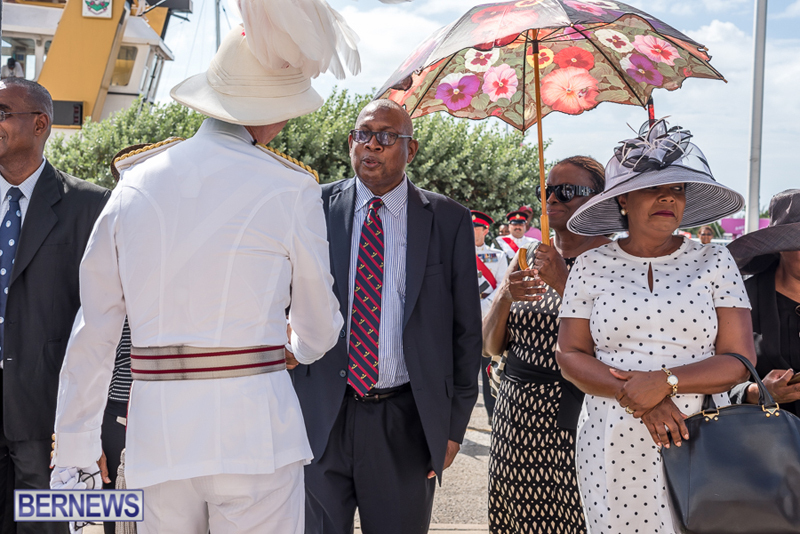 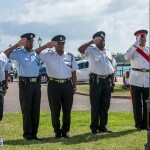 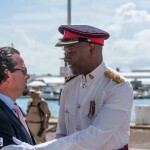 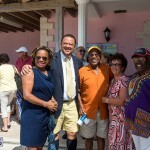 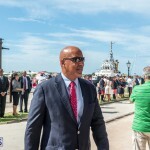 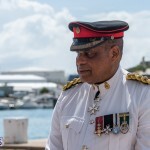 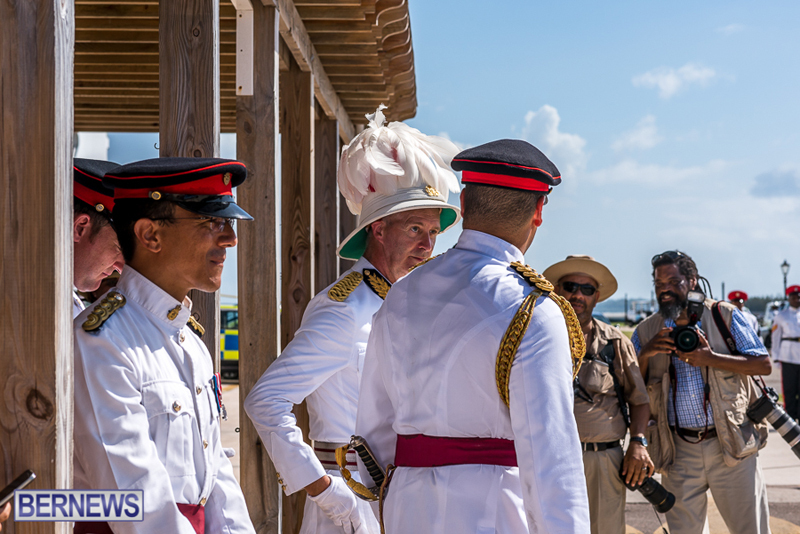 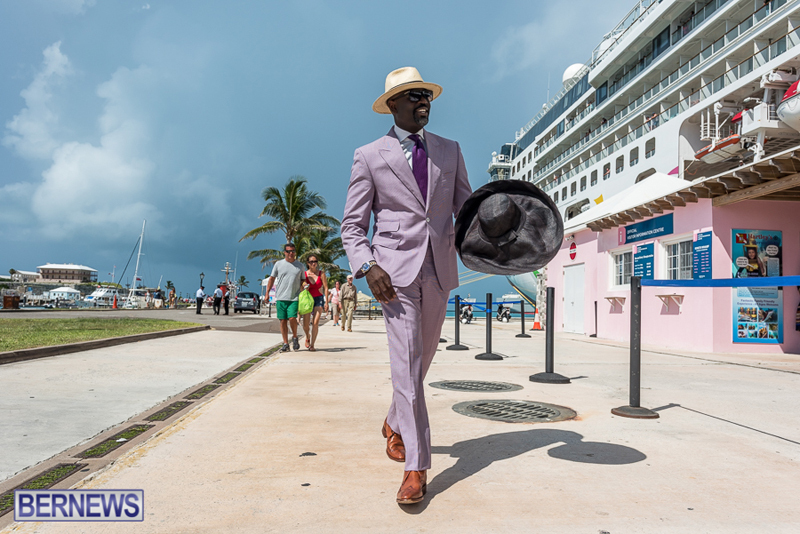 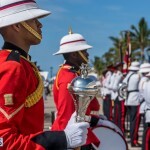 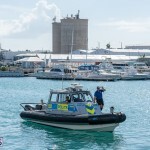 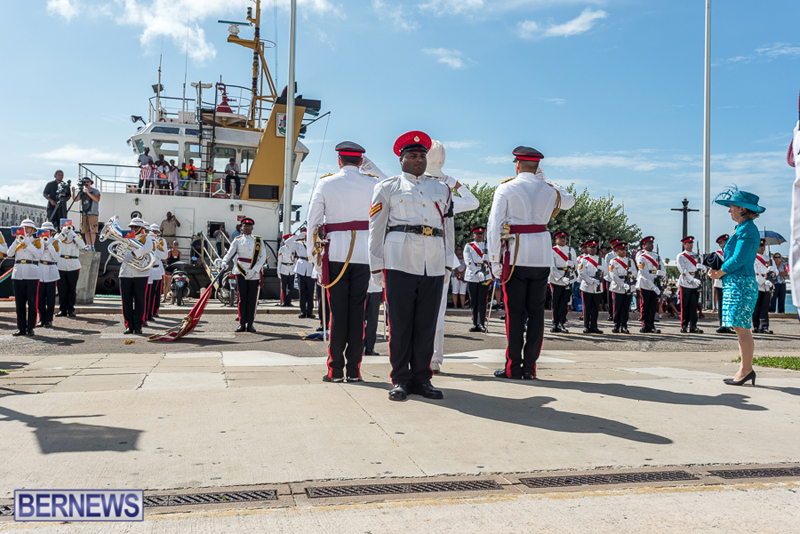 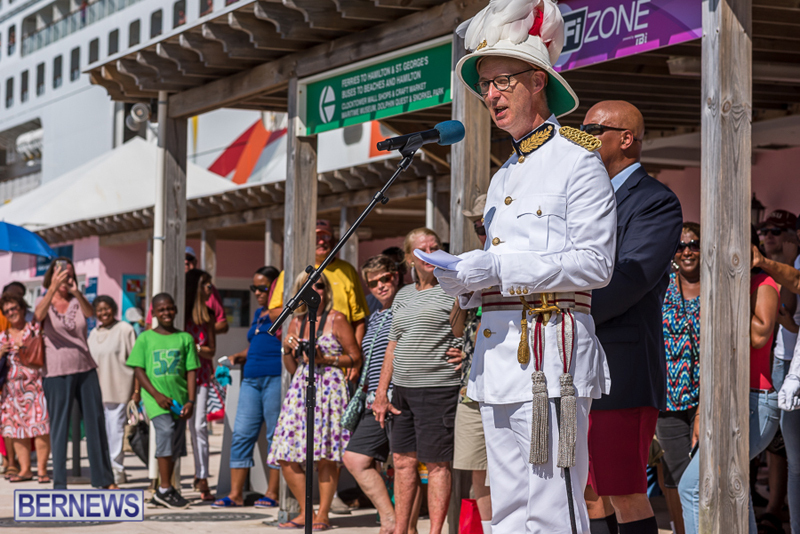 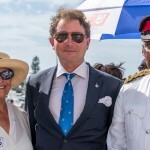 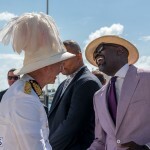 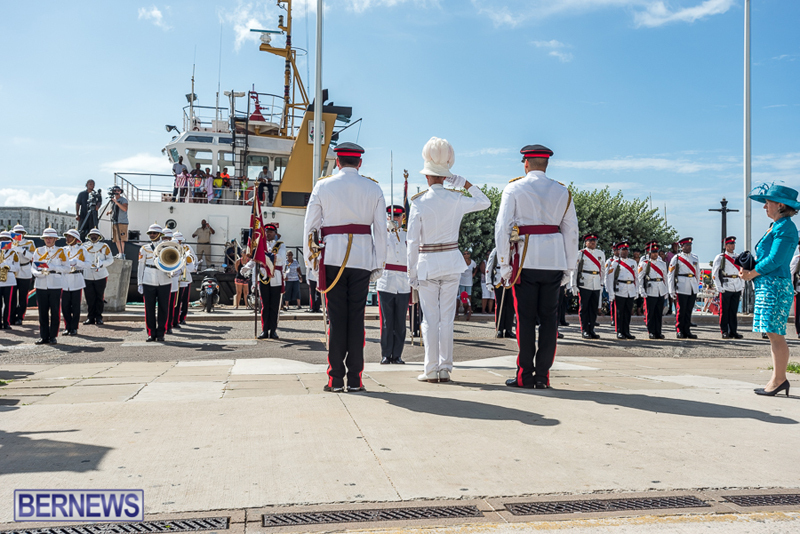 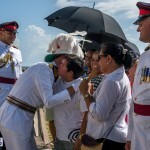 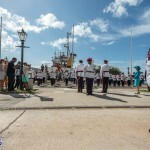 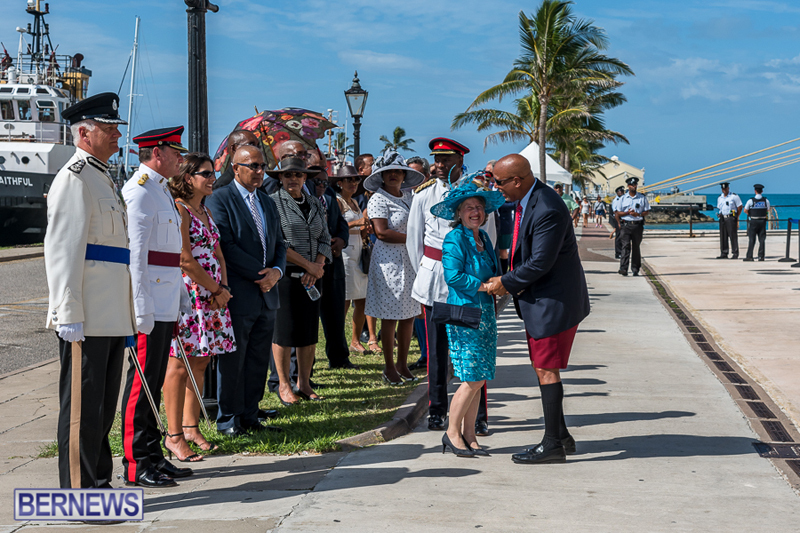 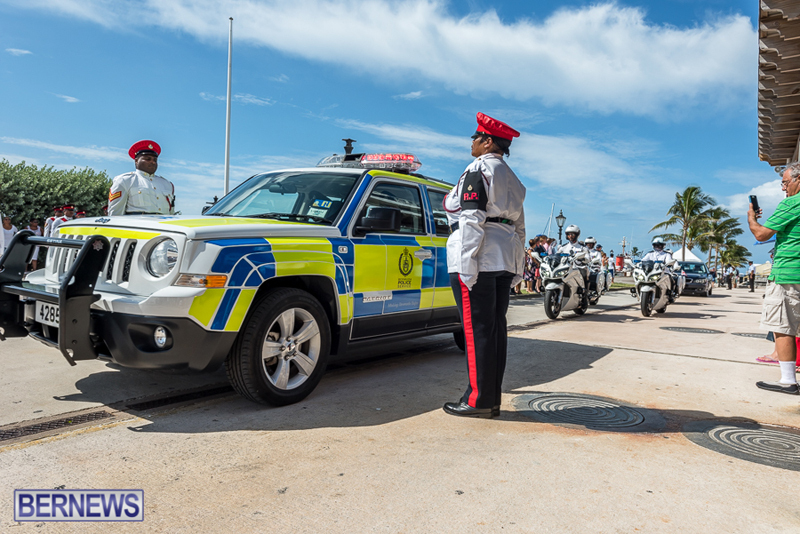 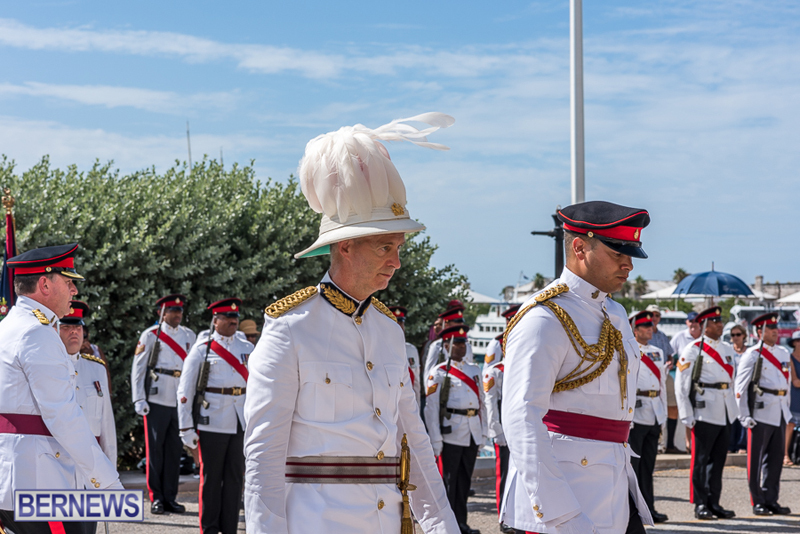 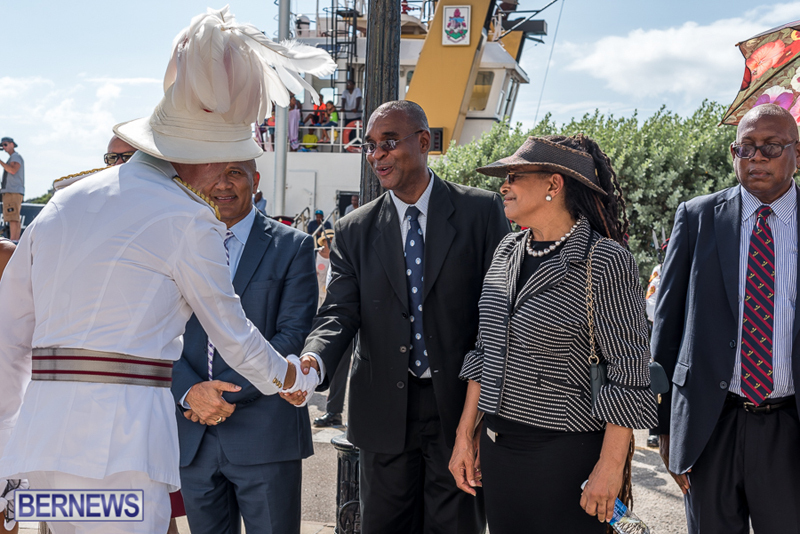 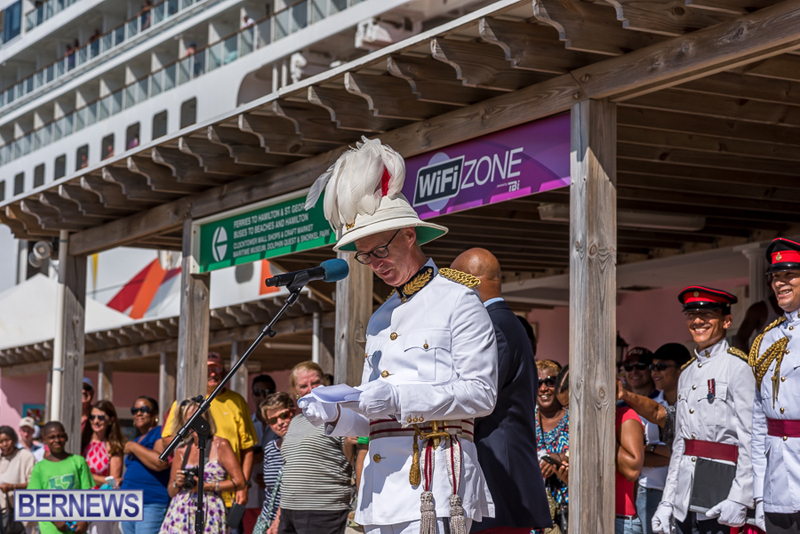 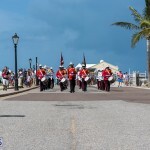 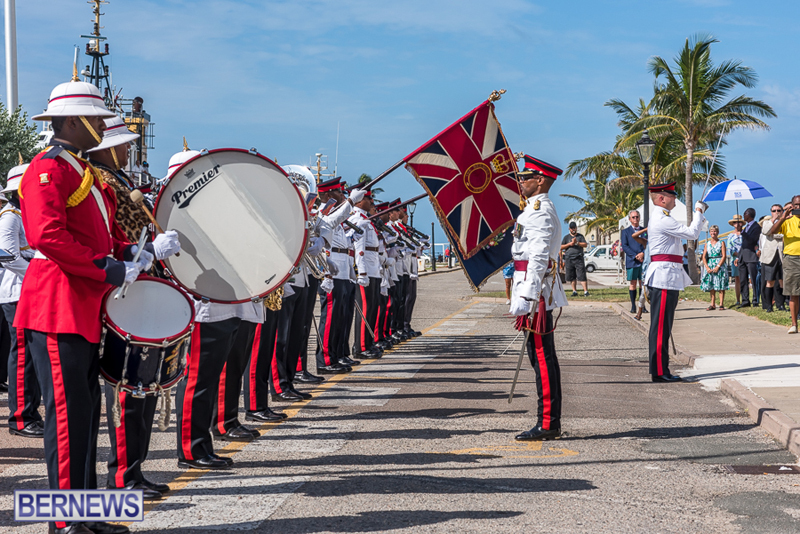 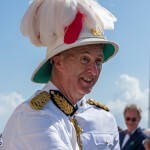 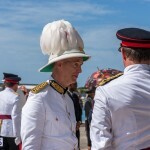 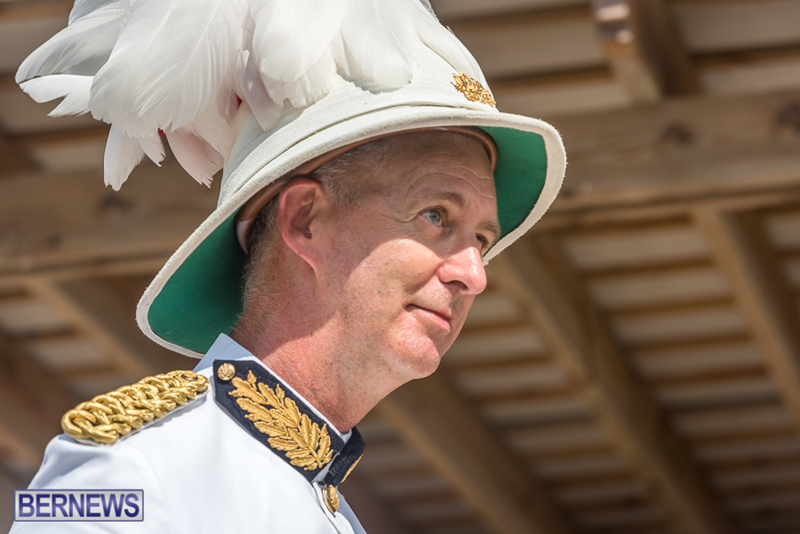 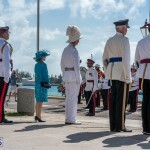 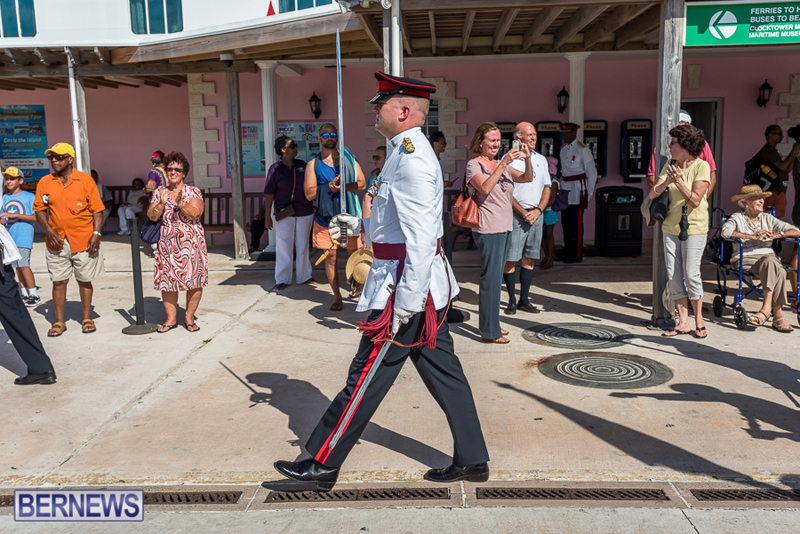 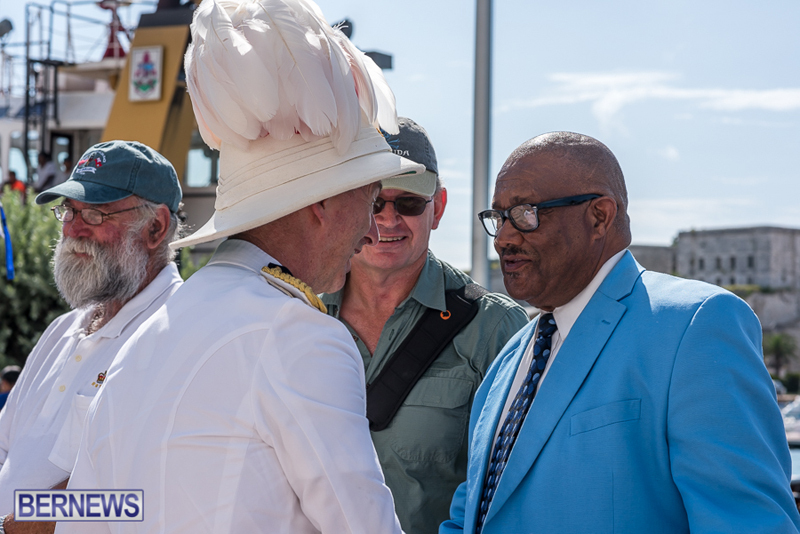 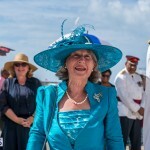 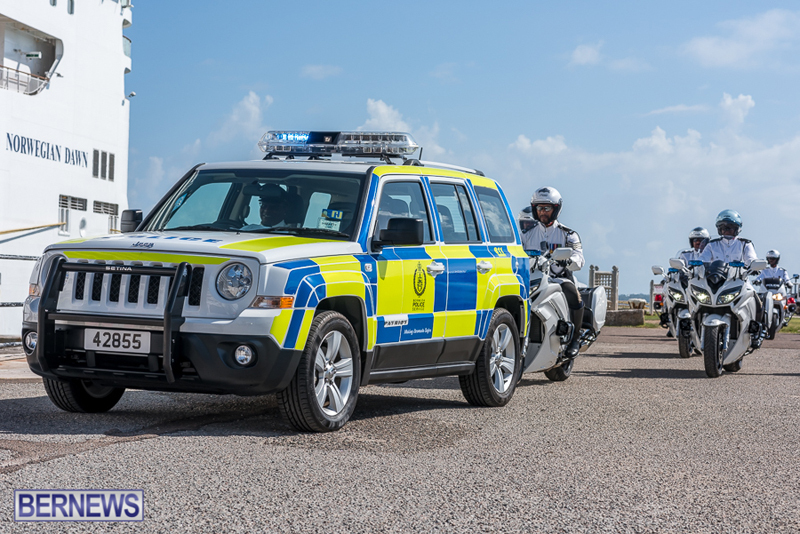 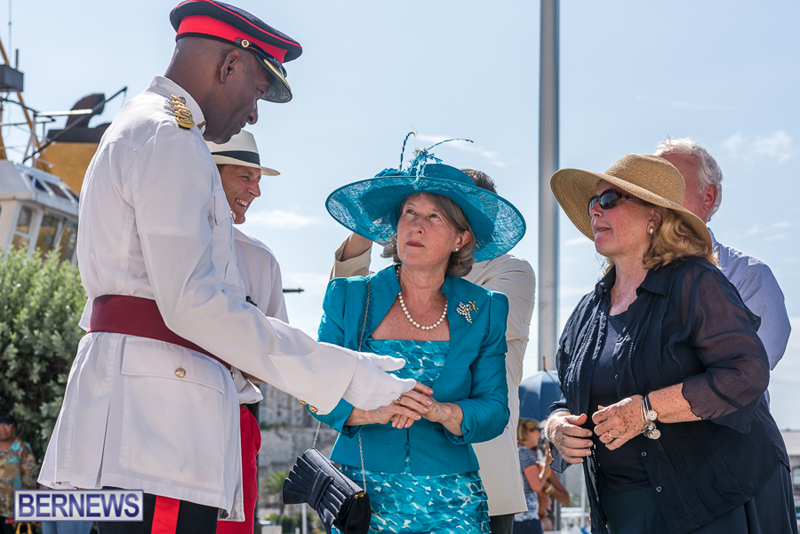 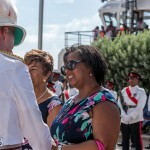 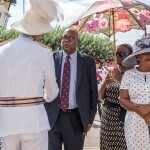 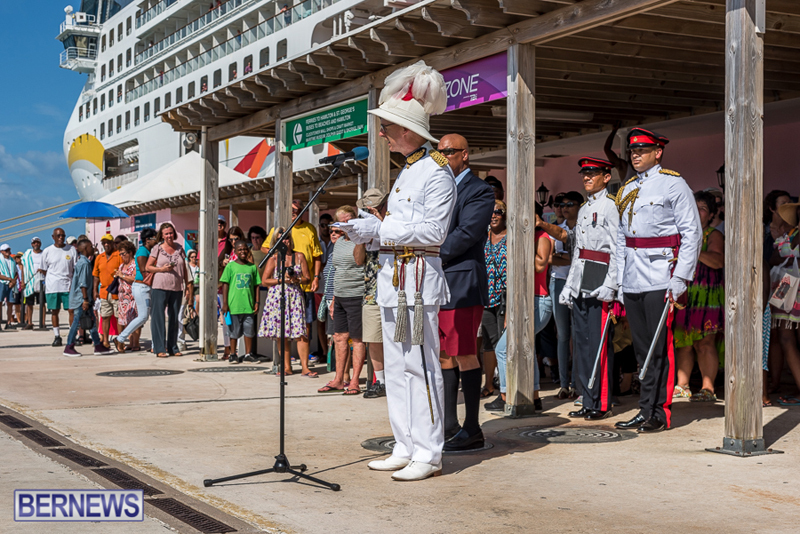 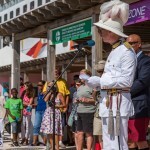 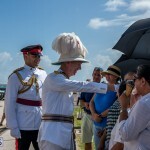 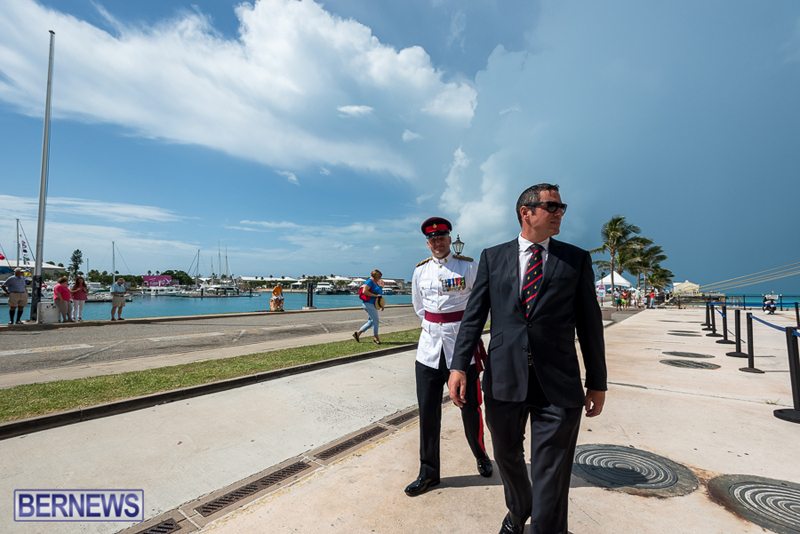 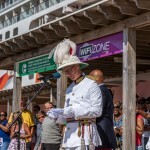 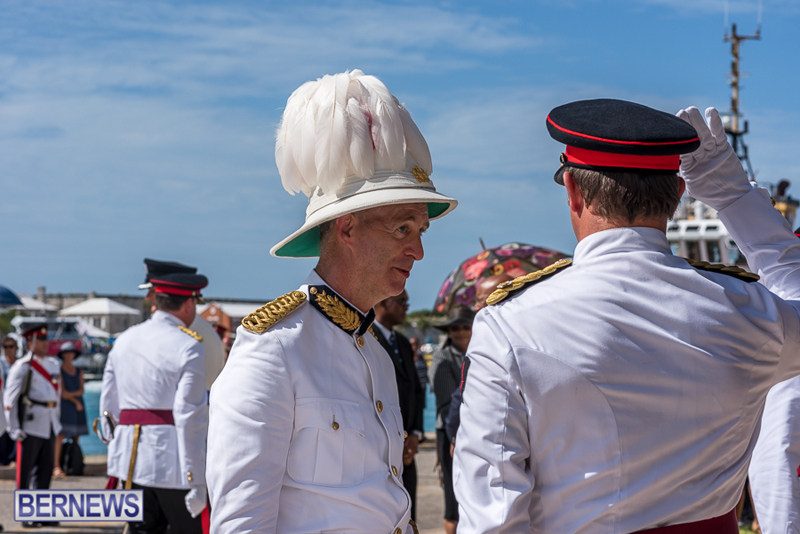 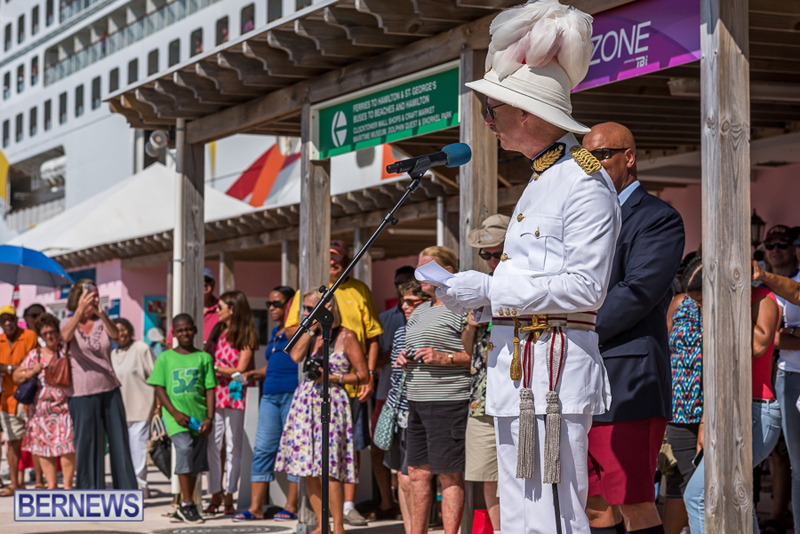 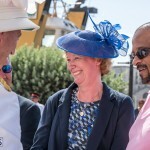 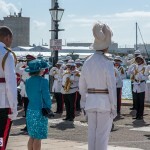 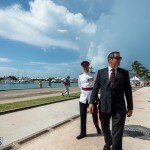 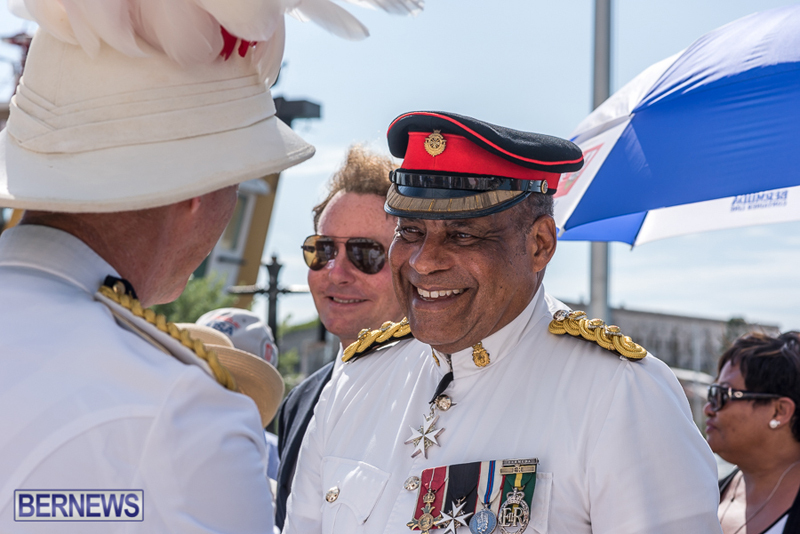 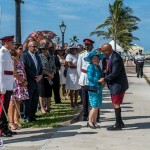 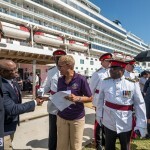 The ceremony incorporated a parade, and saw a long list of people in attendance, with the Governor providing a speech that expressed his feelings for the island and its people.